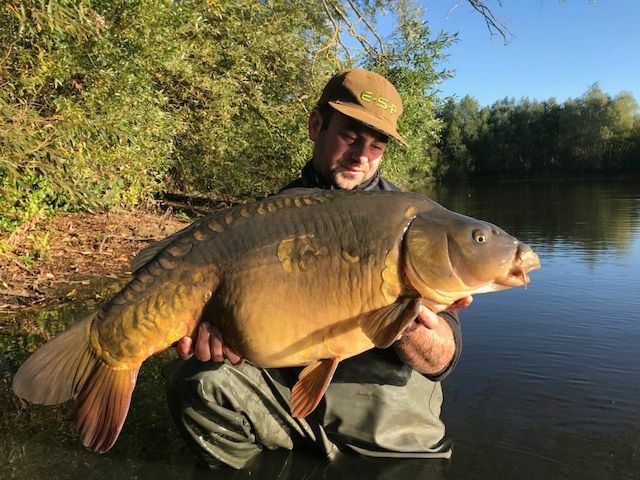 7th March Trevor Cook lands a 40lb 02oz Mirror from Mallard using Dynamites "The Crave"
26th April Steve Parrotte lands a 36lb Mirror from Kingfisher on his first visit. 20th April Trevor Cook lands 15 fish including a 30lb 05oz Common and a 31lb Mirror from Mallard using spotted fin. There is now a burger van operating at Fridays and weekends oustide the Bluebell shop. 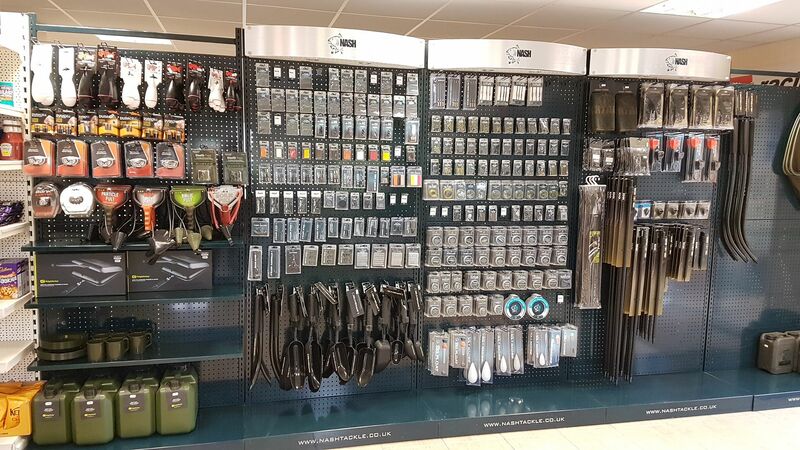 Our onsite tackle shop is now nearly fully re-stocked with a full range of terminal tackle from Korda, Nash, ESP and Fox. 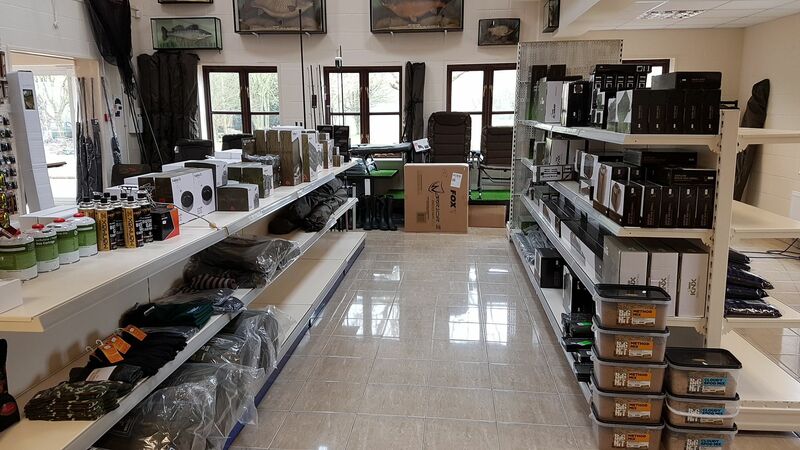 A big selection of Mainline and Sticky along with a range of luggage, chair, beds etc. 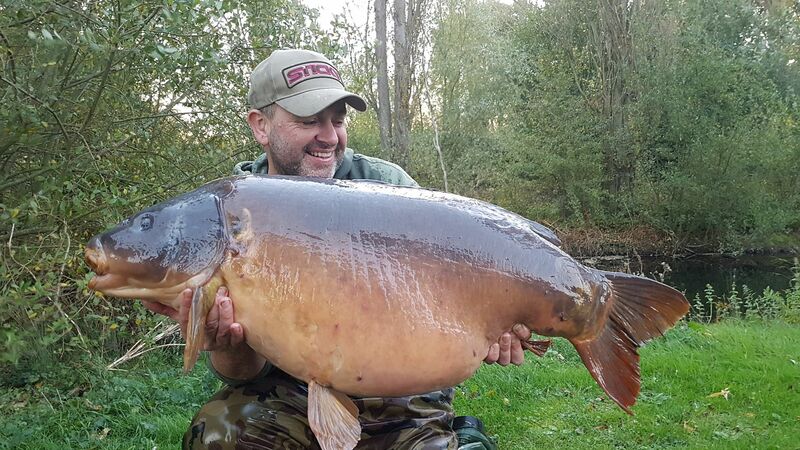 17th October Carl Beresford lands the Z Fish at 55lb from Swan, Bluebell Lakes 5th different 50 this year. 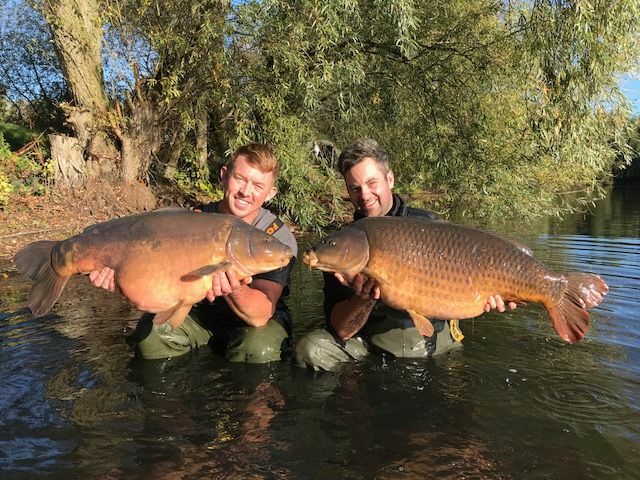 30th September Some pictures of the 24 fish Geoff Price caught if 3 consecutive visits to Swan lake, including 53lb, 48lb, 41lb, 37lb, 35lb, 30lb, 35lb, 31lb and a 33lb. 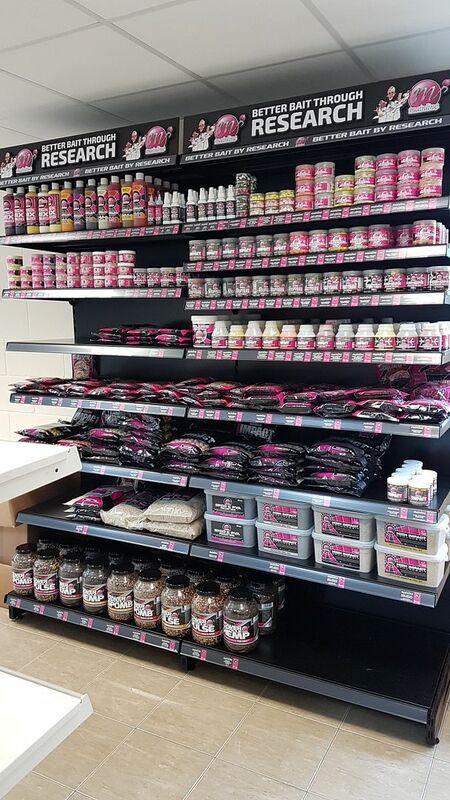 We have just started to restock the shop with bait and essentials. We are able to take card payments once again. Showers and toilets are back up and running. 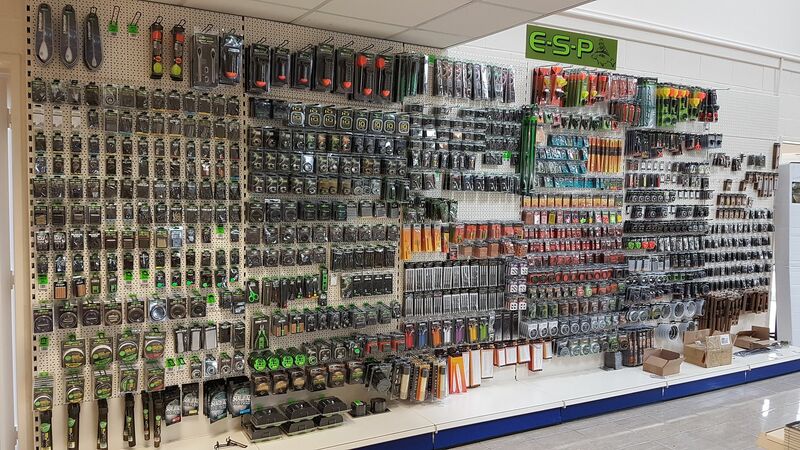 Unfortunately due to a fire, we have lost all stock in the tackle shop. We have a tempory office set up in the corner of the building. We are currently unable to take card payments. 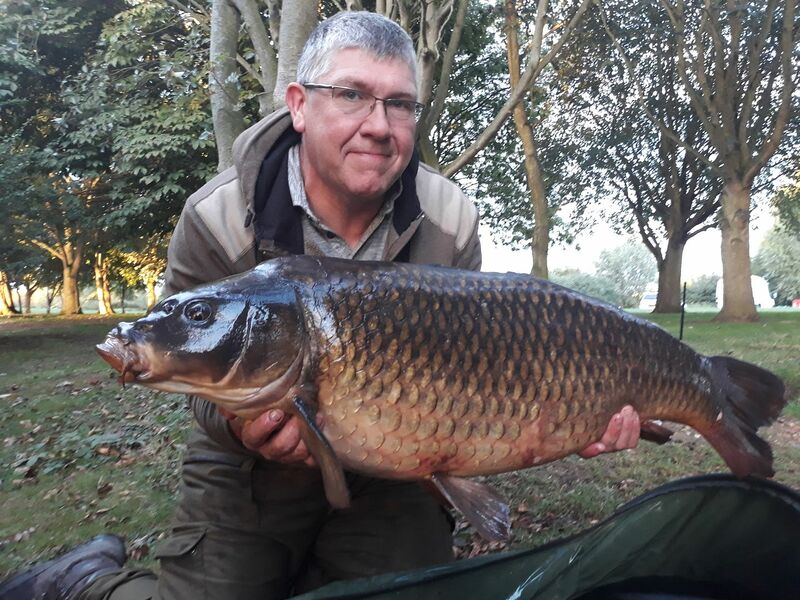 1st October Trevor Cook lands a 30lb 04oz Common from Mallard usin Urban Baits boilie. 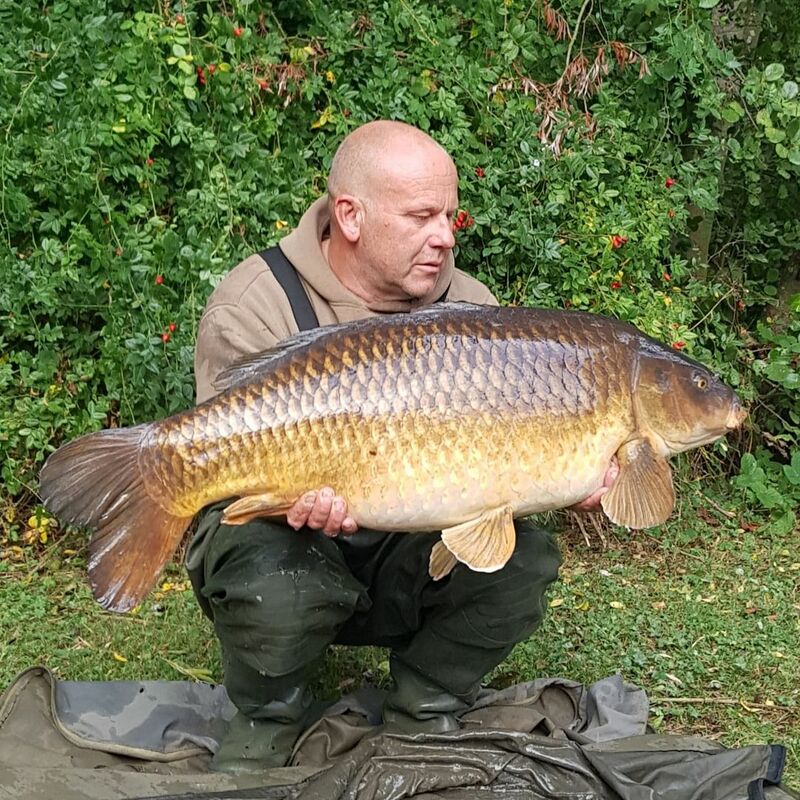 14th September Unknown Angler lands a 40lb + Common from Kingfisher. 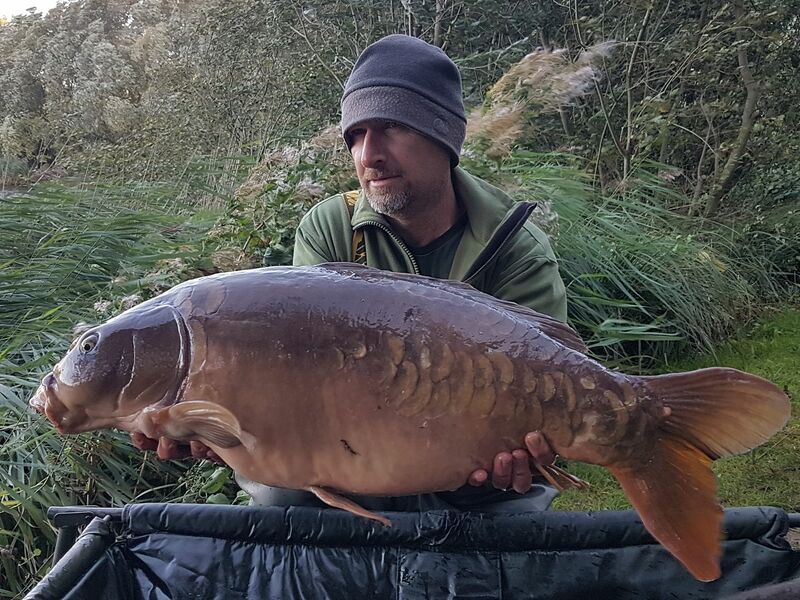 13th September Gary Denniss lands a 5 Carp to 35lb 04oz from Kingfisher. 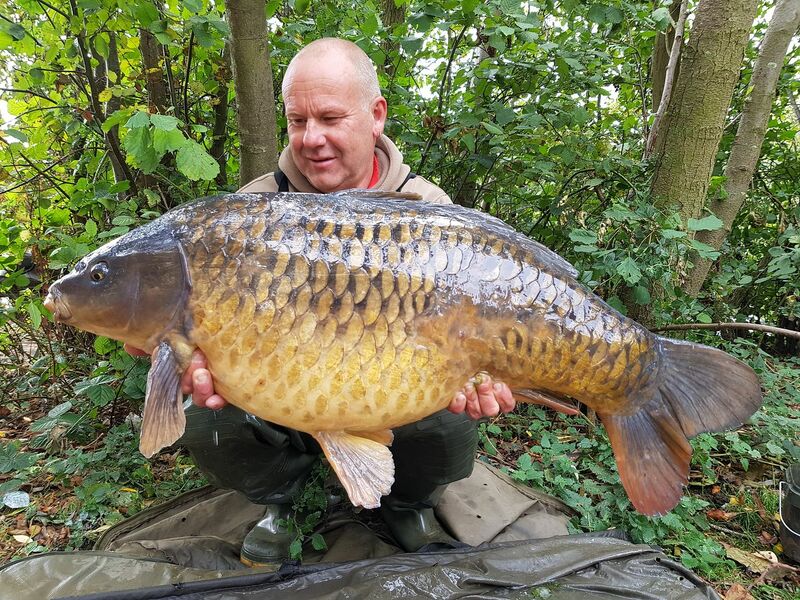 12th September Gary Mason lands a 43lb Common from Swan. 11th September Paul Borg lands a 31lb 10oz Mirror from Kingfisher. 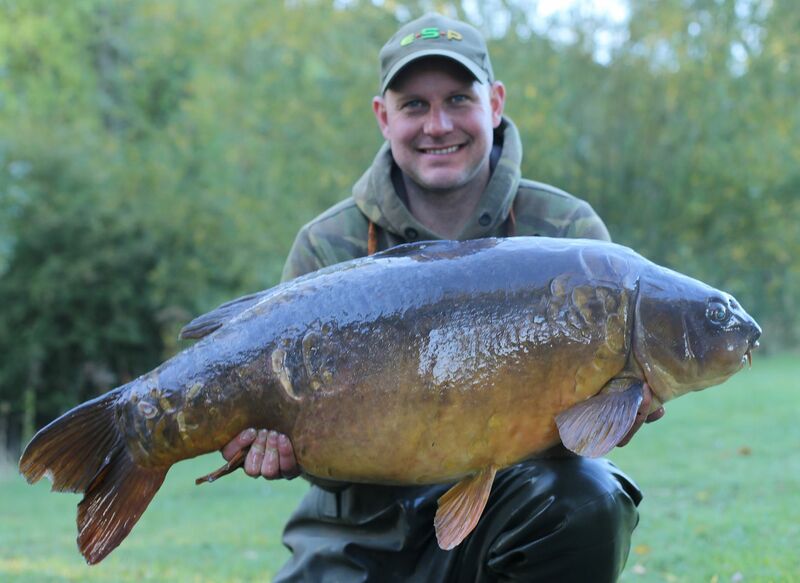 11th September Simon Harris lands a 40lb 01oz Mirror from Kingfisher. 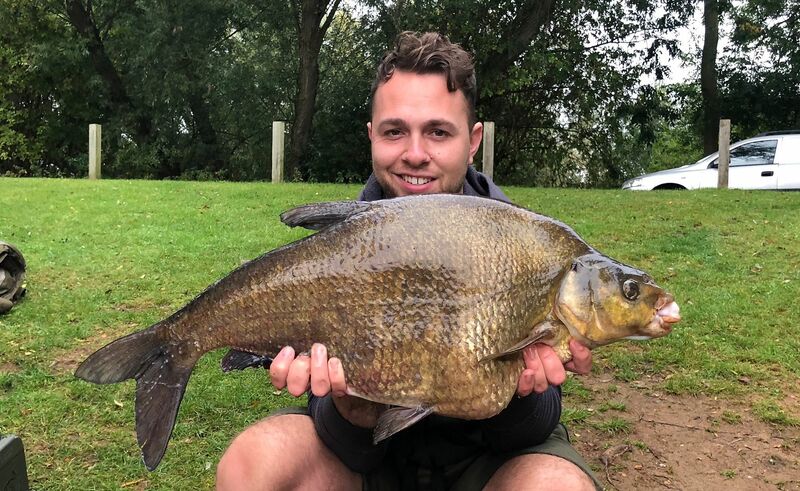 10th September Connor Hardy lands a 16, 20 and a 25 from Bluebell. 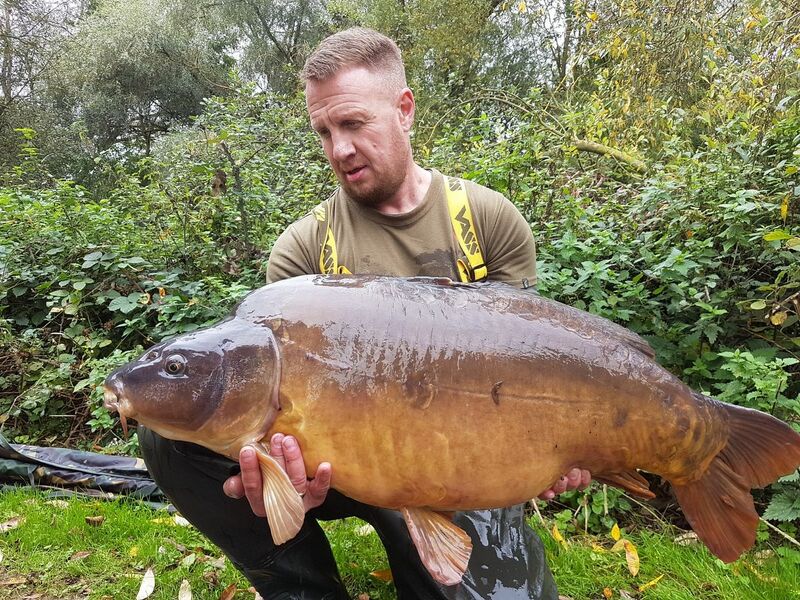 10th September Unknown Angler lands a 34 from Swan. 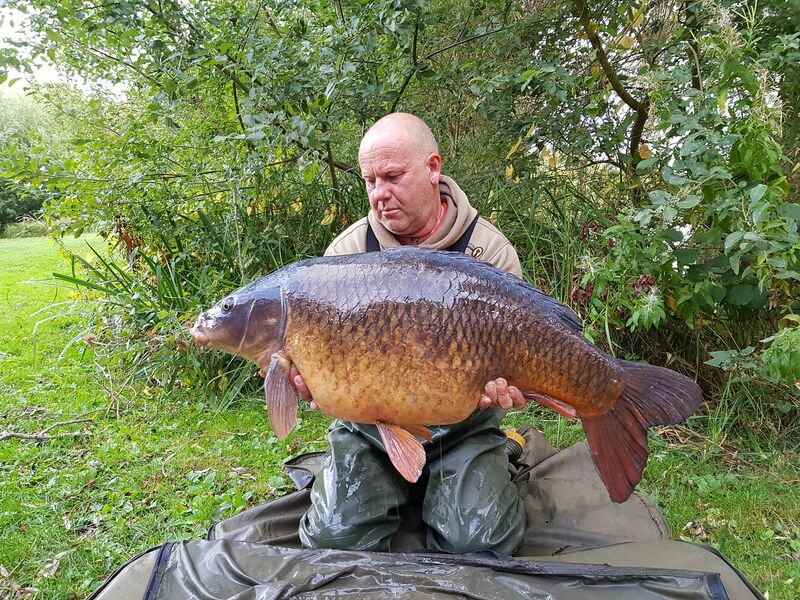 7th September Paul Spencer lands a 33lb 08oz Common and a 25lb Common from Bluebell. 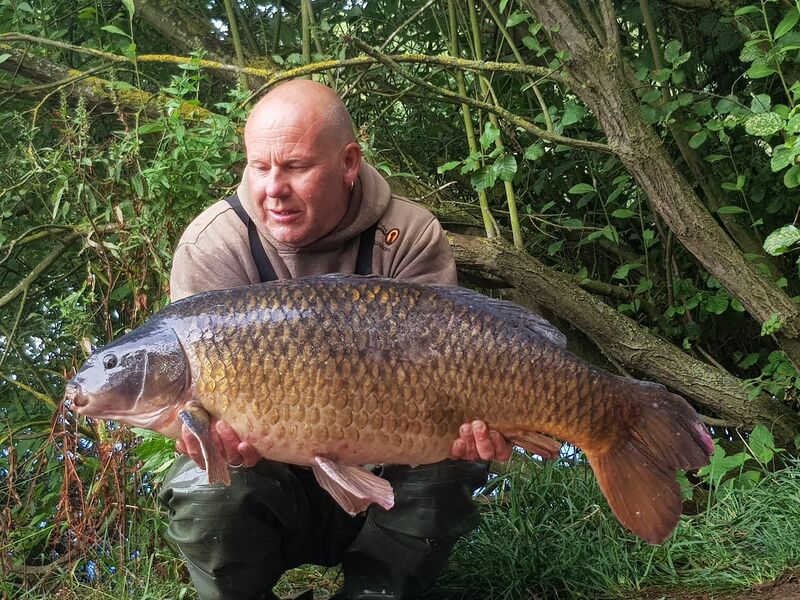 7th September John Piercy lands a 34lb 04oz Common and 5 others from Mallard. 4th September Unknown Angler lands a 37 from Kingfisher. 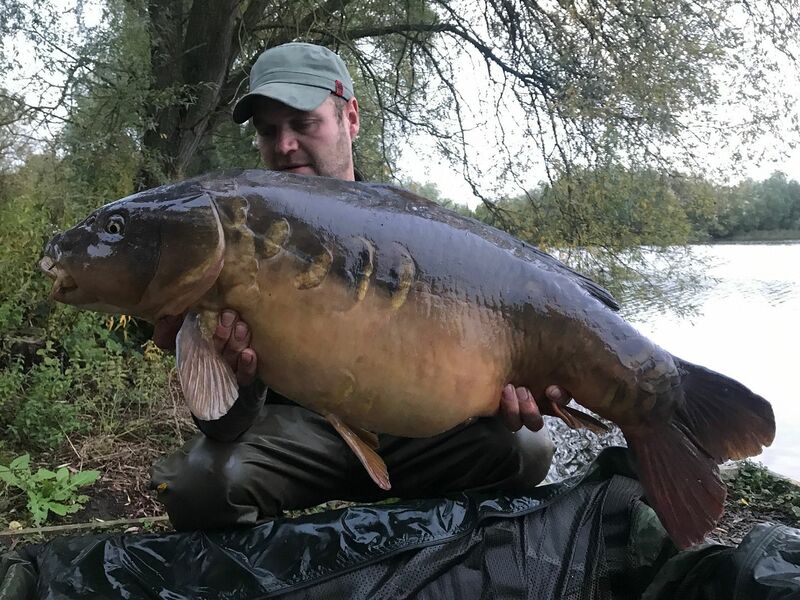 4th September Unknown Angler lands a 30 from Mallard. 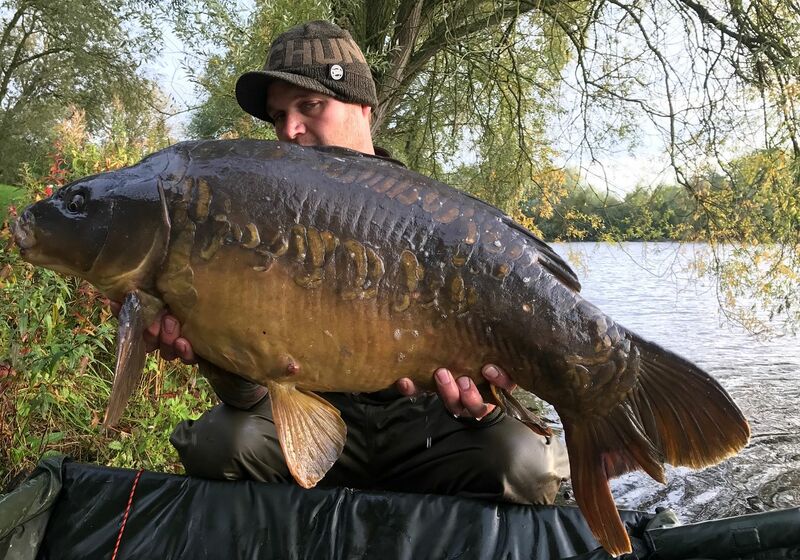 4th September Alistar Farmer lands a 39lb Mirror from Swan. 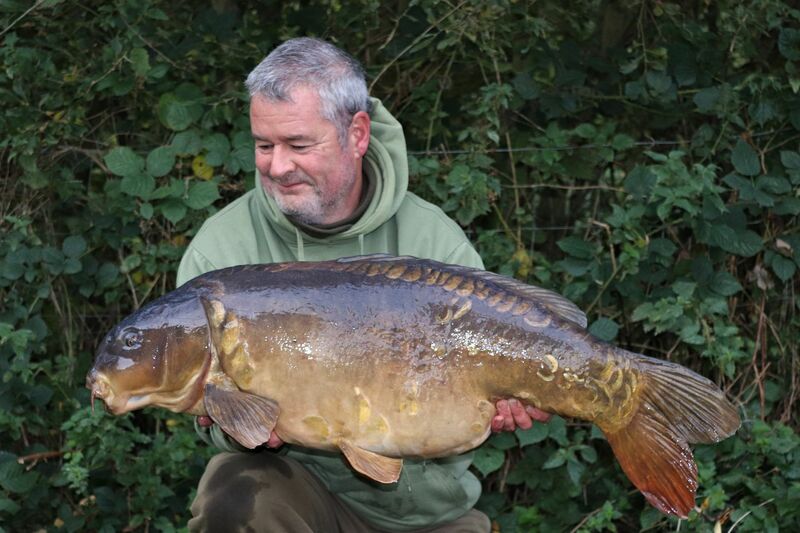 4th September Jeff Aldridge lands a 32lb Mirror from Mallard. 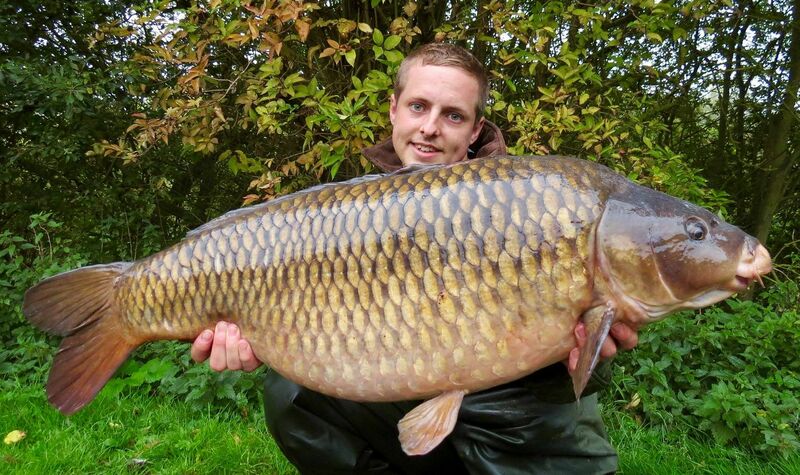 3rd September James Kemp lands a 37lb 08oz Common from Kingfisher. 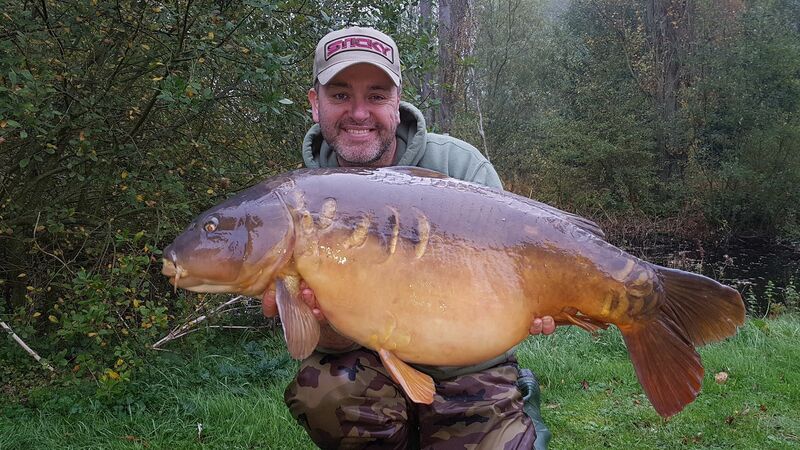 3rd September Lee Fitzgerald lands a 31lb Mirror from Kingfisher. 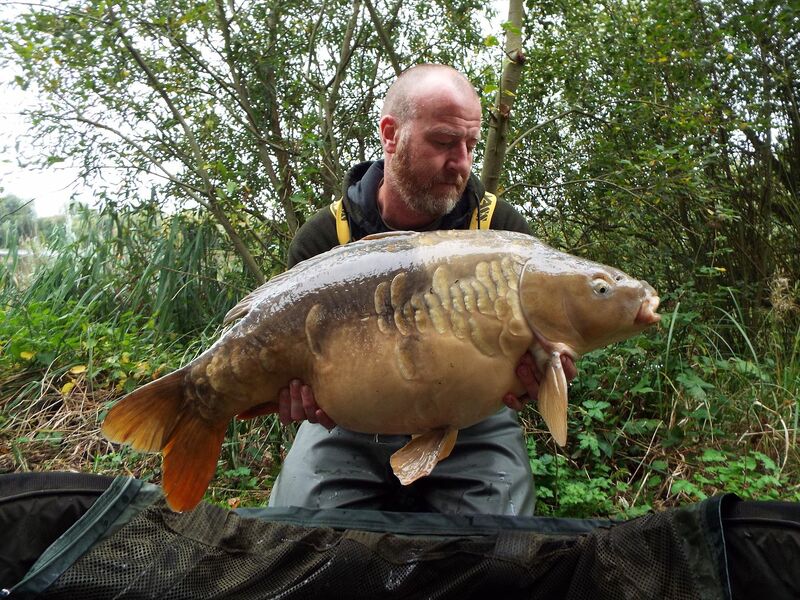 3rd September Graham Heslop lands a 32lb Mirror from Kingfisher. 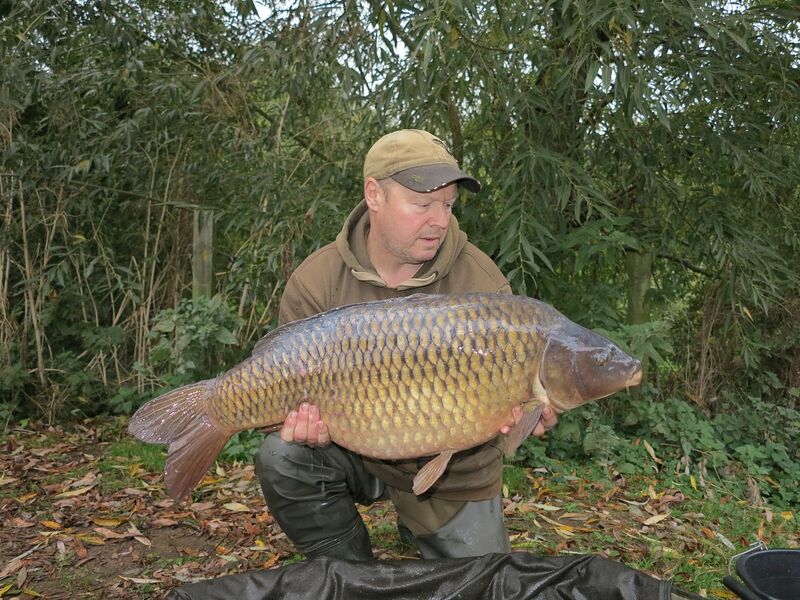 2nd September Mark Hallam lands a 35lb 05oz Common from Mallard. 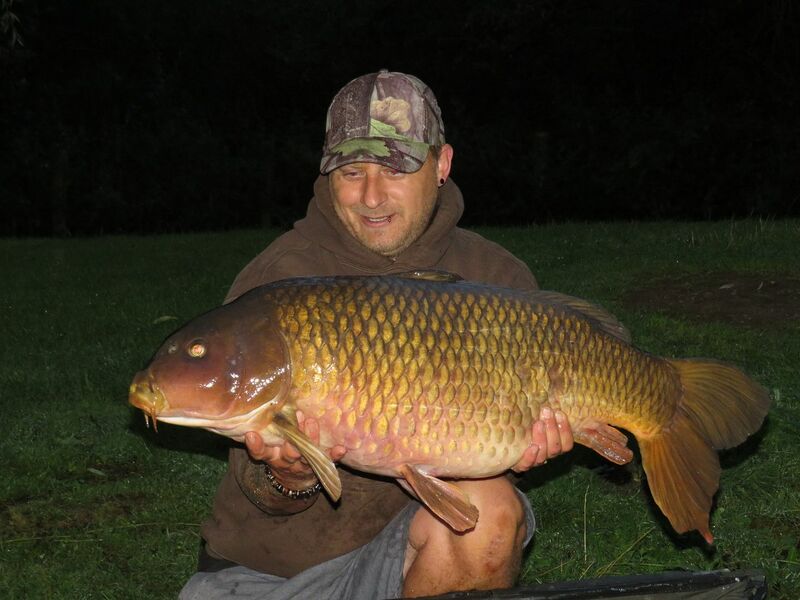 30th August Gary Denniss lands 31lb 14oz Common along with a couple of 20's from Kingfisher. 28th August Greg lands a 30 from Kingfisher. 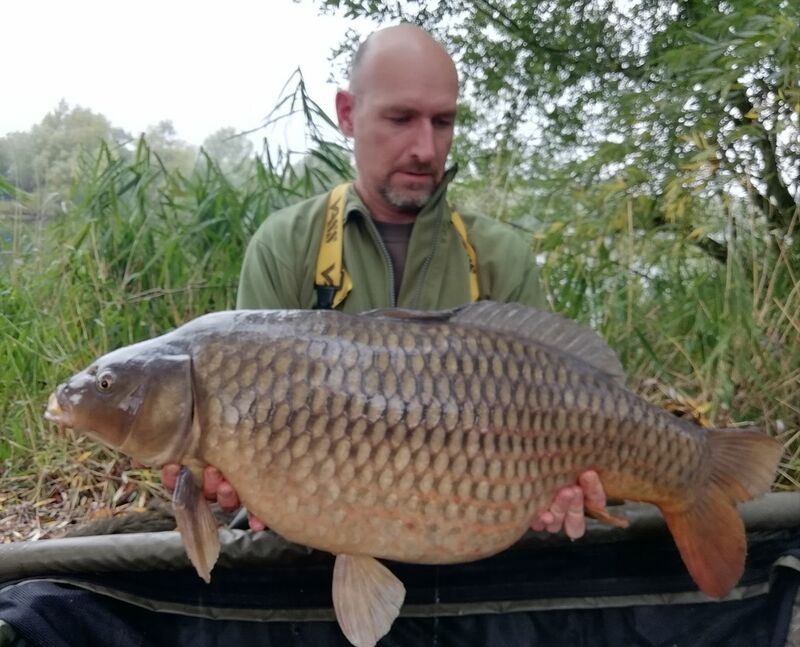 28th August Unknown angler lands a 30lb Common from Swan. 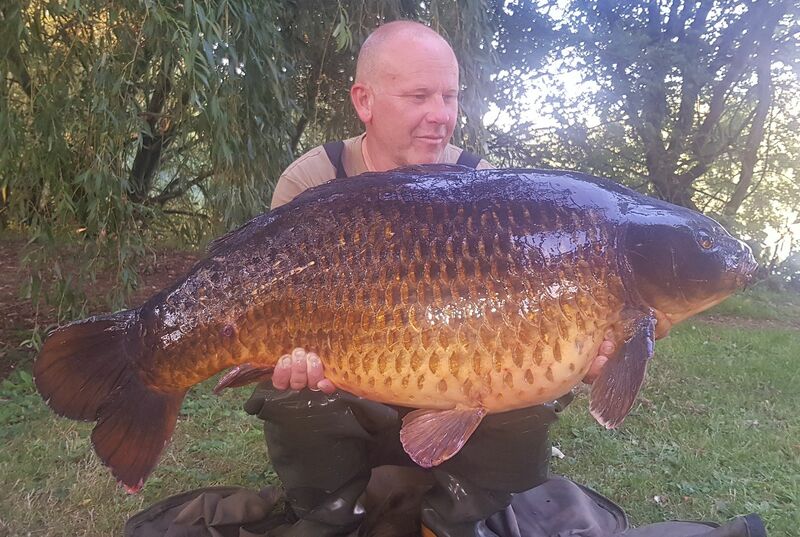 28th August Paul Waterfield lands a 41lb 15oz Common from Swan. 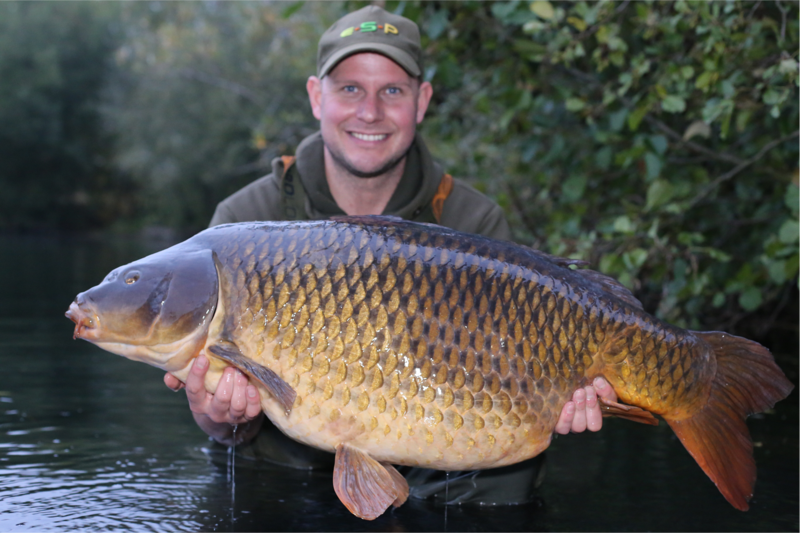 28th August Jason Holden lands a 40lb 08oz Common and a 30lb 02oz Common from Kingfisher. 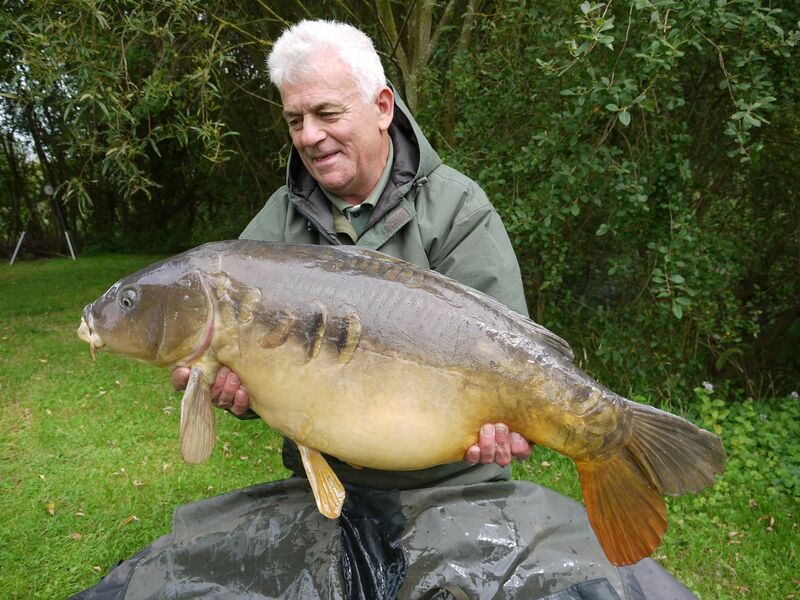 28th August Frank Shaw lands a 31lb Mirror from Swan. 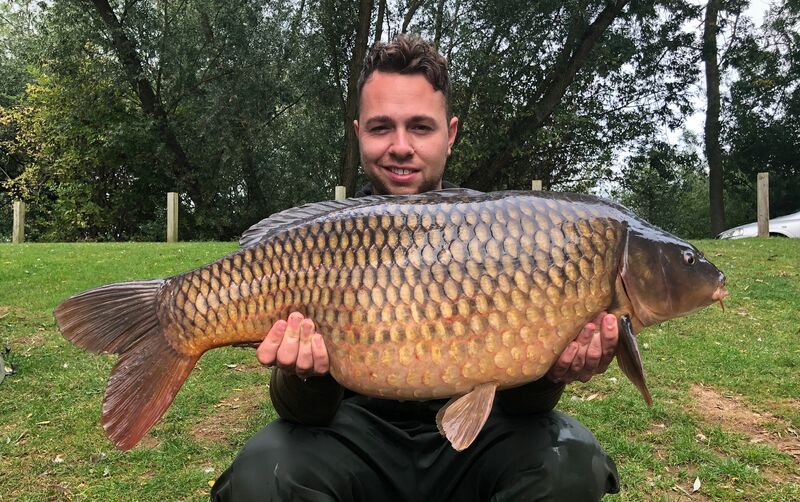 27th August James Claxton lands a 31lb Common from Swan. 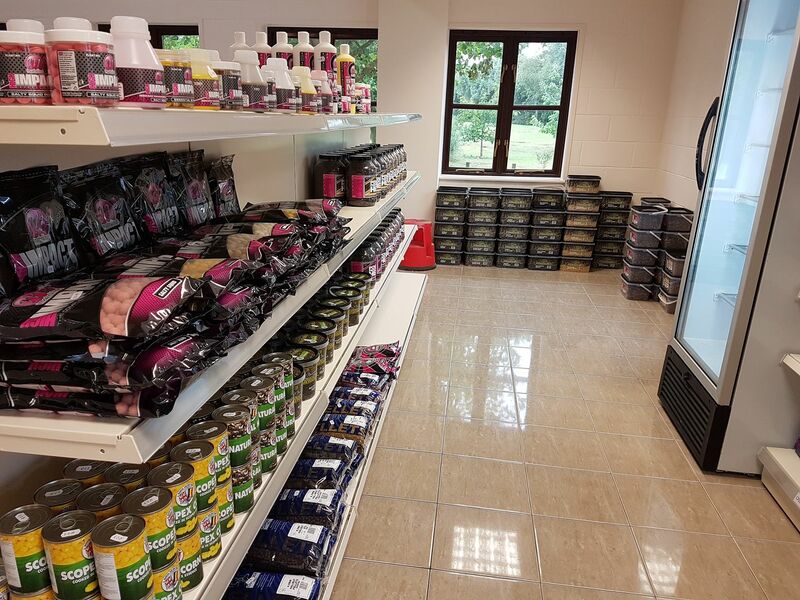 27th August Richard Ince lands a a 53lb Mirror and a 35lb Common from Swan. 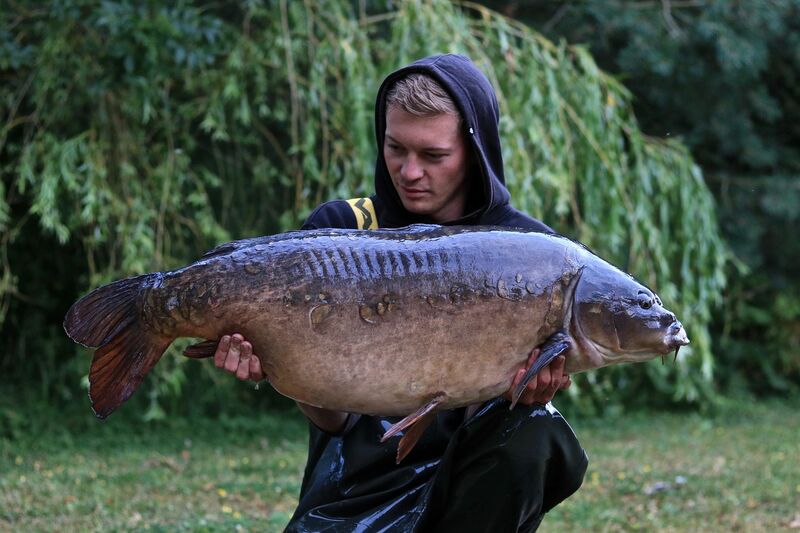 26th August Ben Stephens lands a 30lb 02oz Miror from Mallard. 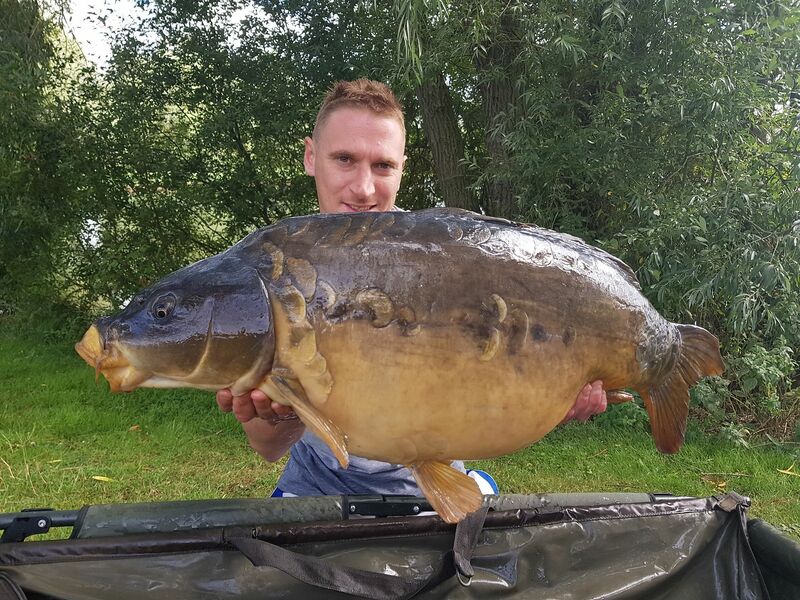 22nd August Ryan Damon lands a 37lb 10oz Mirror from Kingfisher. 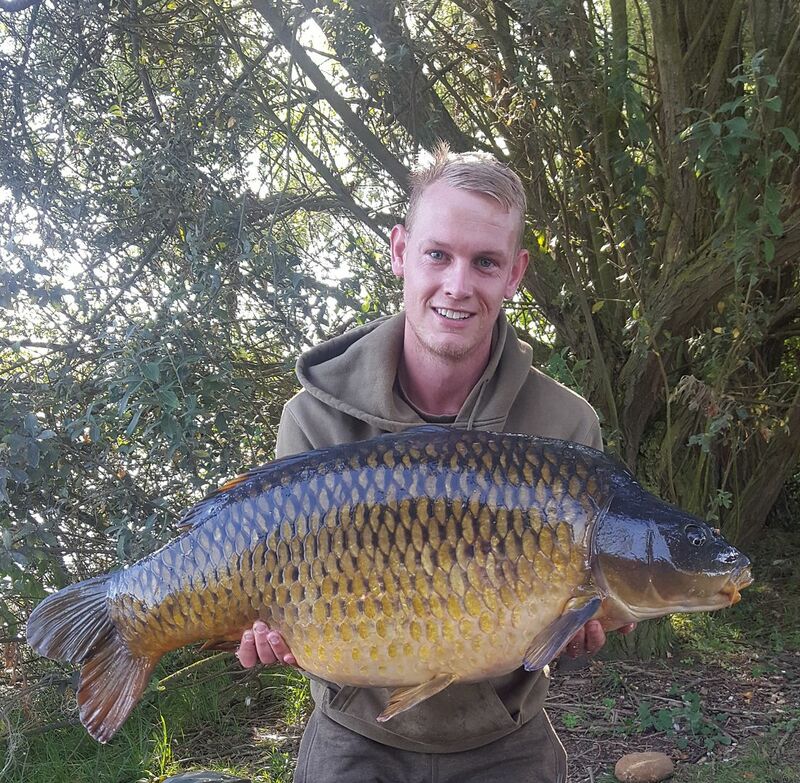 21st August Josh Swinfield lands a 31lb 10oz Common from Mallard. 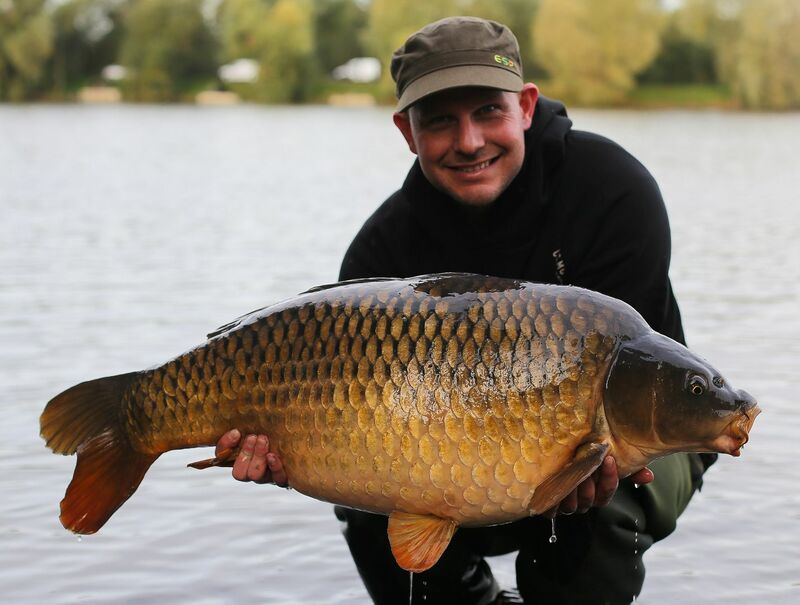 20th August Paul Talbot lands a 47lb Common and a 31 from Swan Lake. 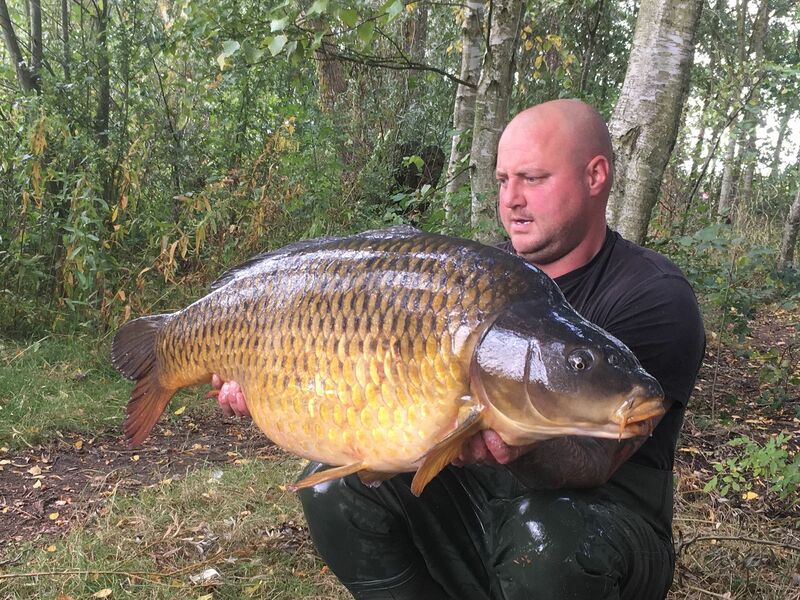 19th August Adam Aldred lands a 37lb Common from Sandmartin. 19th August Paul ellison lands a 31lb 04oz Common from Kingfisher. 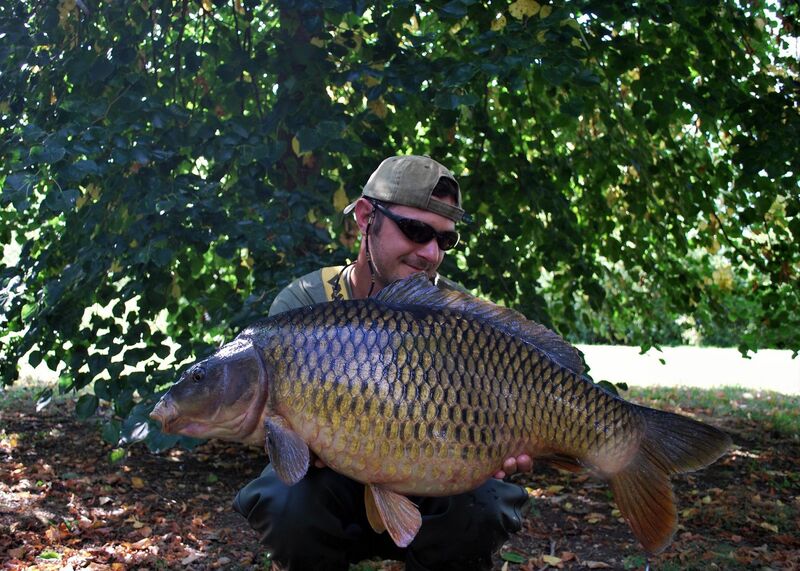 18th August Bradley Bowns lands a 32lb 07oz Common from Bluebell, Using 16mm boilie tipped with fake corn. 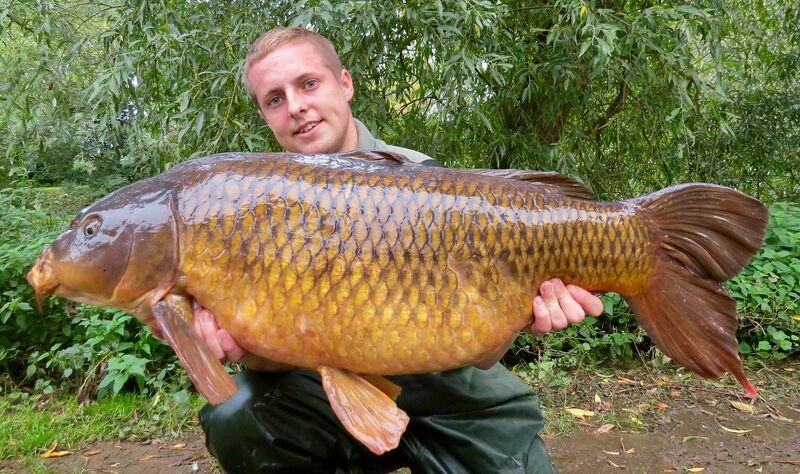 17th August David Hughs lands a 42lb 04oz Common from Kingfisher. 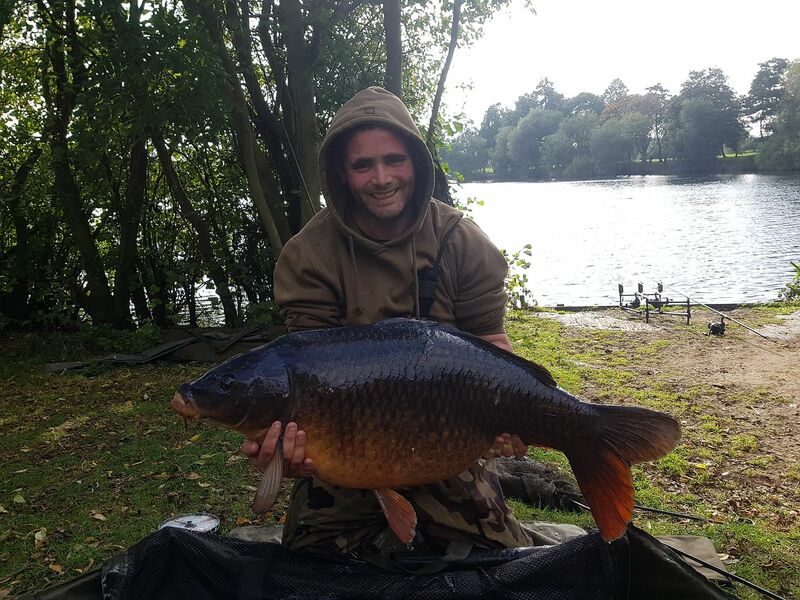 16th August Johnathon Barstow lands a 30lb Common from Mallard. 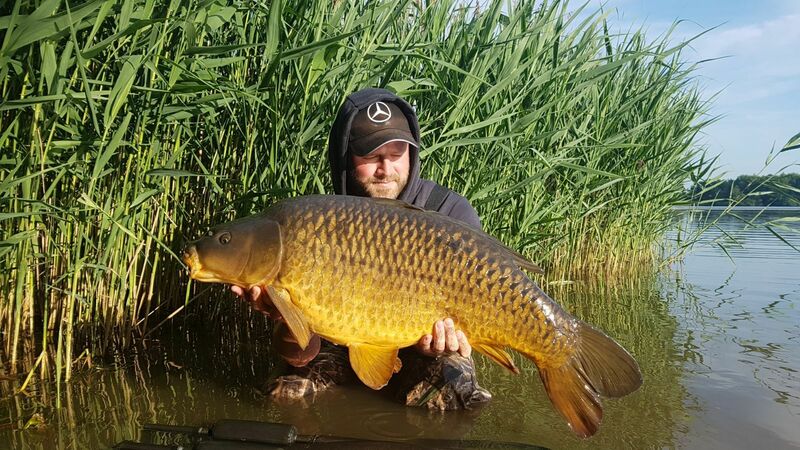 15th August Piotr's colleague lands a 32lb common from Bluebell. 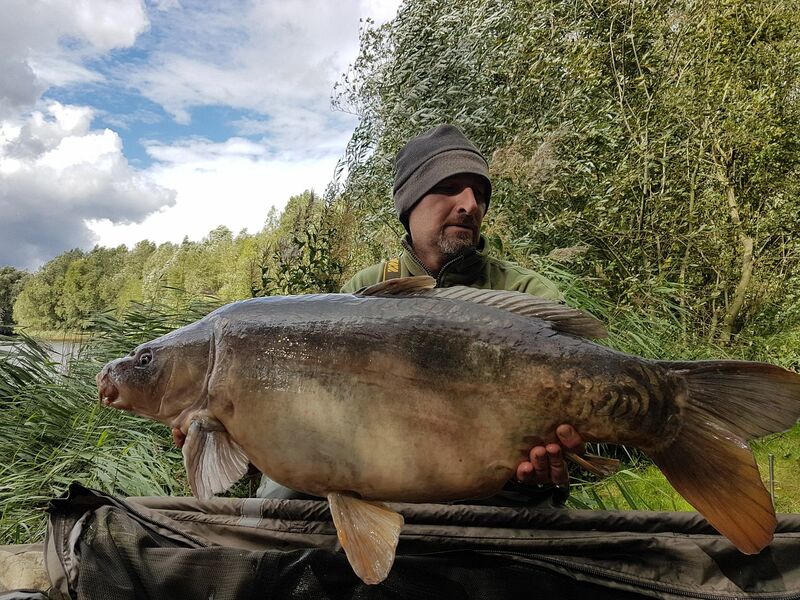 15th August Piotr Bafia lands a 5 Carp to 30lb 10oz from Bluebell. 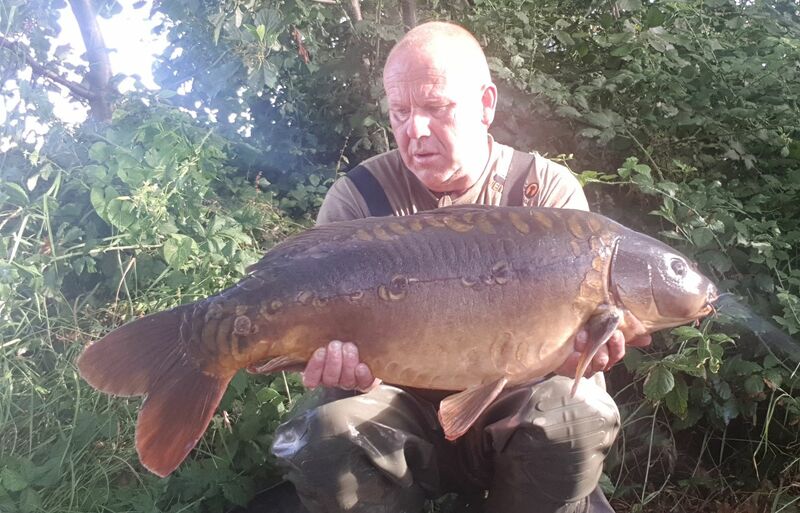 15th August Gray Denniss lands a 28lb 08oz Mirror from Kingfisher. 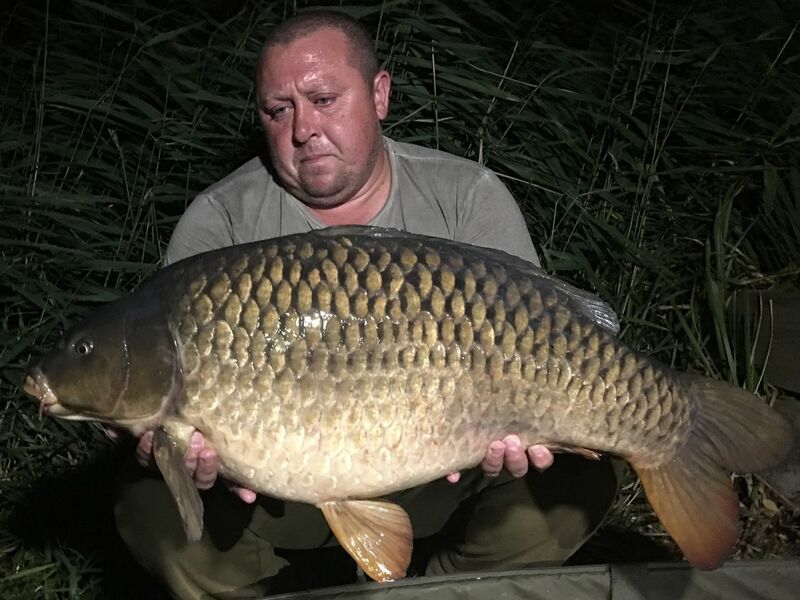 14th August Wayne Smith lands a 38lb 4oz Common from Swan. 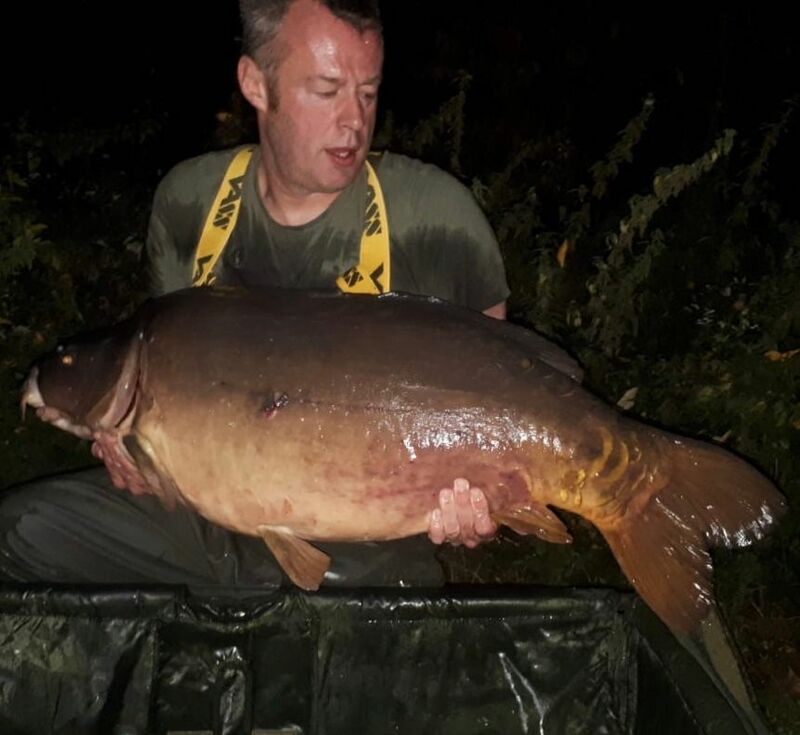 13th August Paul Blades lands a 33lb Mirror from Sandmartin. 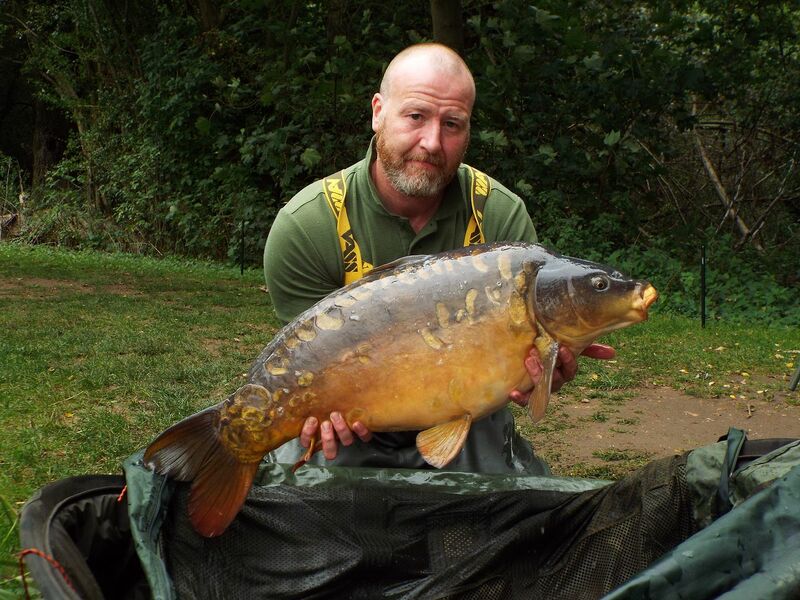 12th August Mark Brisley lands 11 Carp to 28lb 06oz over a session on Mallard. 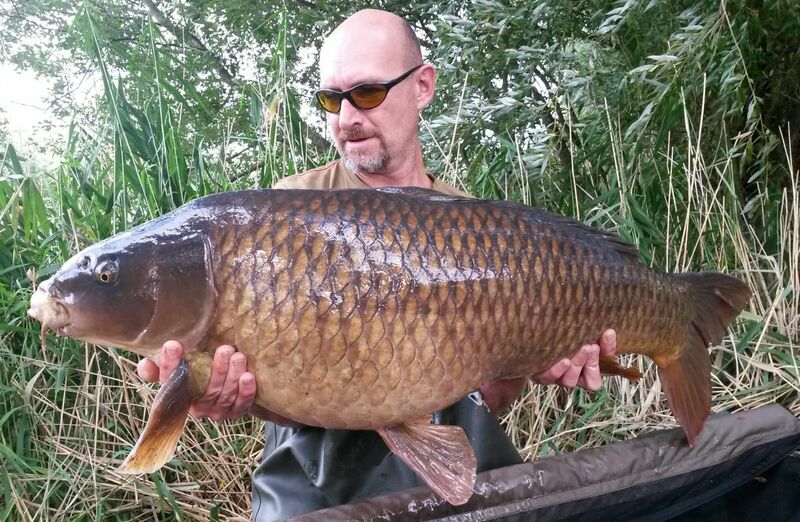 11th August Tony Gibson lands a 42lb 04oz Common from Swan. 10th August Unknown Angler lands a 39 from Kingfisher. 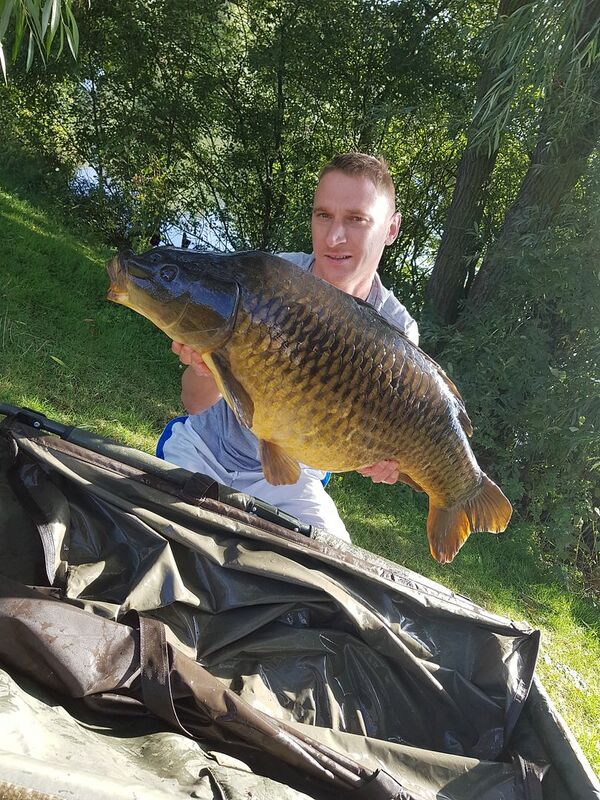 10th August Unknown Angler lands a 38lb Common from Kingfisher. 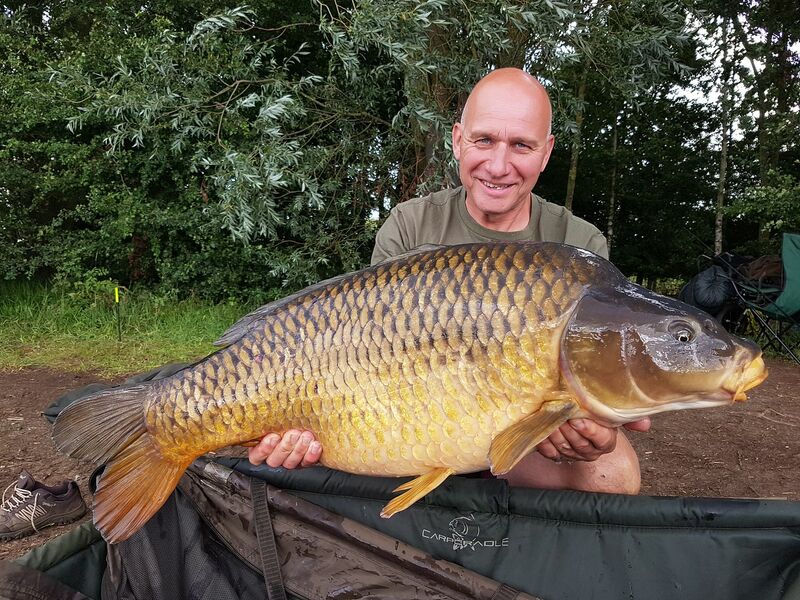 9th August Gary Denniss lands a 43lb 08oz Common from Kingfisher. 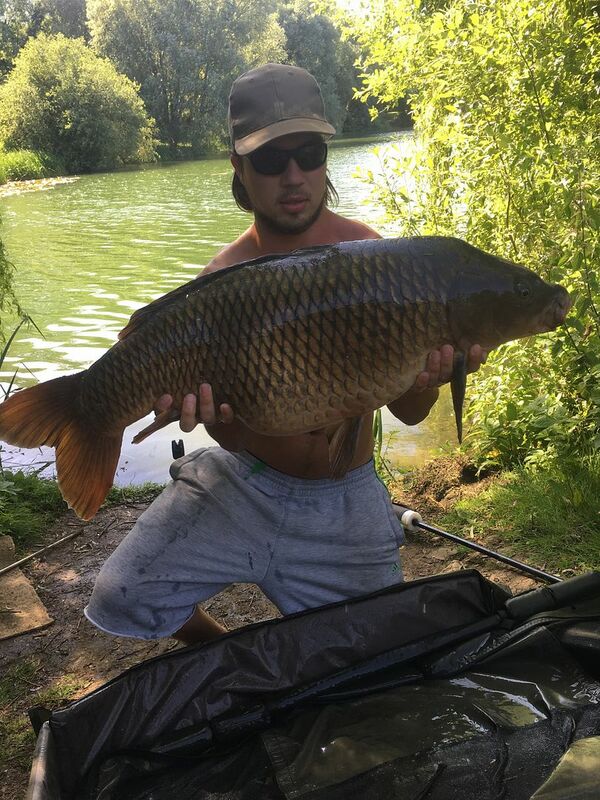 8th August Gav (last name unknown) lands a 36lb Common from Mallard. 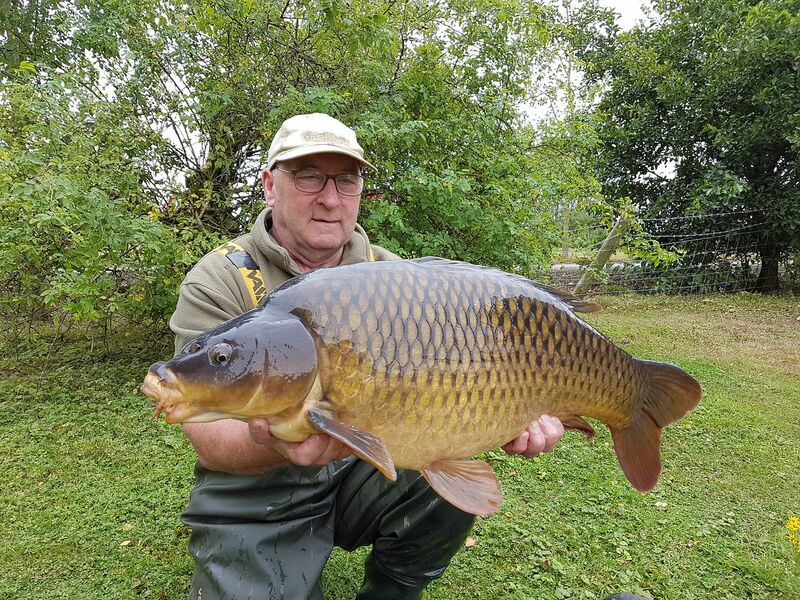 4th August A Munday lands a 30lb 06oz Common from Bluebell. 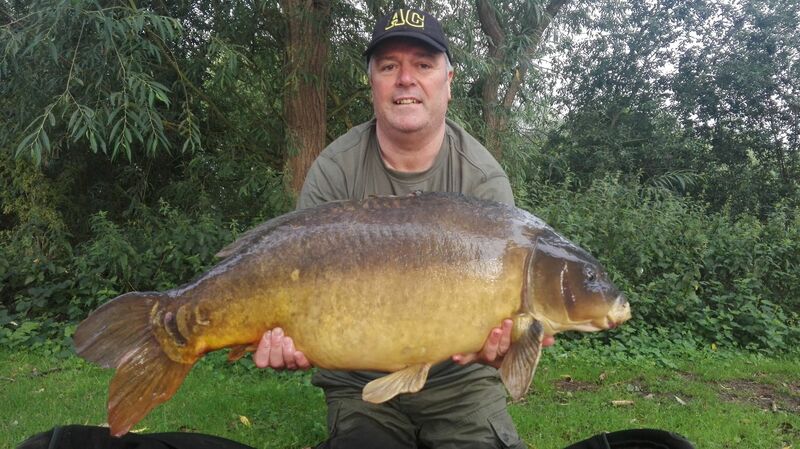 2nd August Gary Denniss lands a 30lb 06oz Mirror from Kingfisher. 1st August Gary Denniss lands a 44lb 08oz Common from Kingfisher. 1st August Gary Denniss lands a 36lb 08oz Common from Kingfisher. 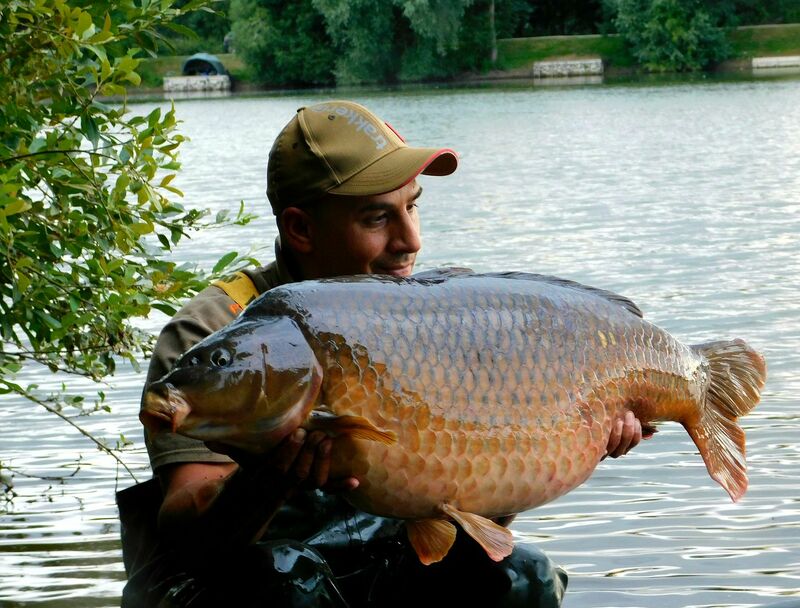 30th July Tawfiq Khoury lands a 34lb 08oz Common from Swan. 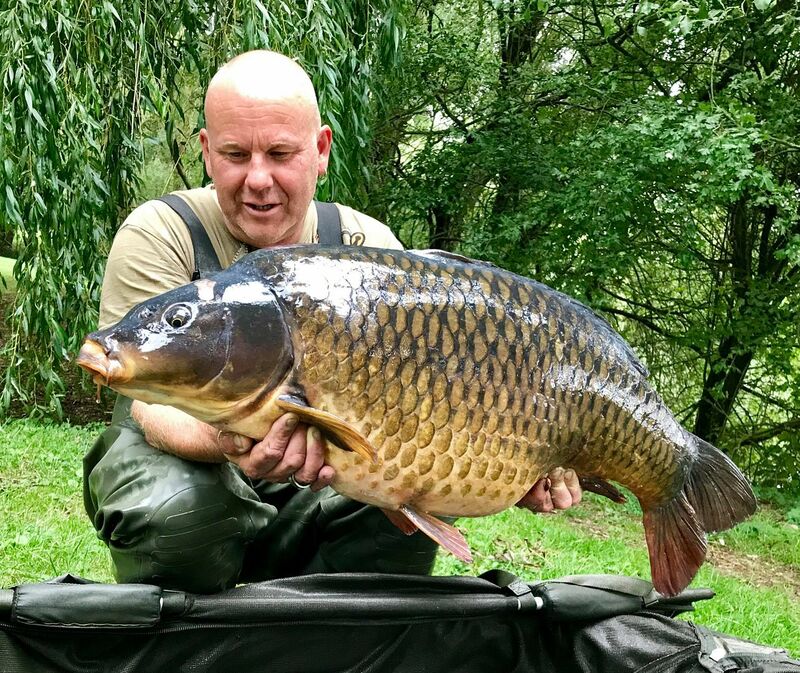 30th July Phil Pree lands a 36lb Common from Sandmartin. 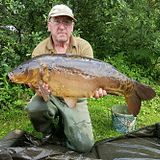 28th July unknonw angler lands a 30 from Swan. 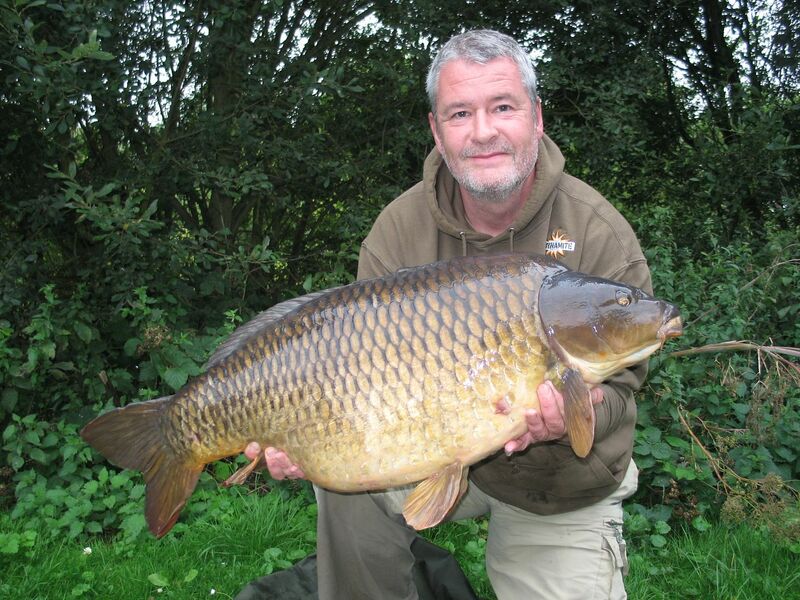 28th July Mick Woodhouse lands a 30lb 04oz Common from Kingfisher. 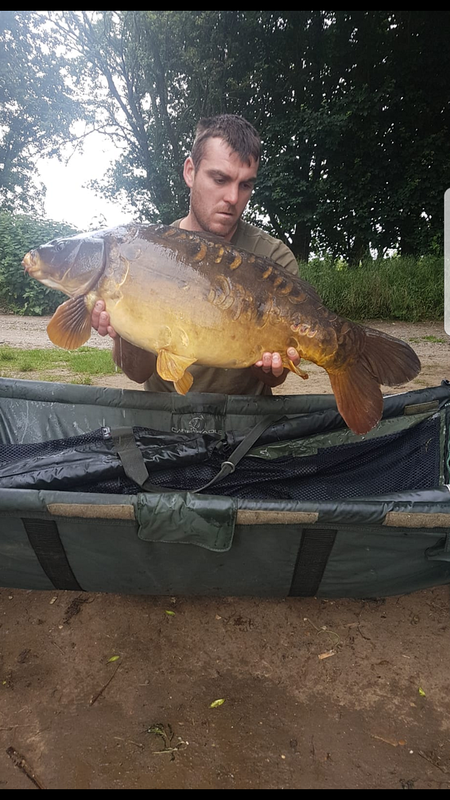 28th July Unknonw Anglers land a 36lb 12oz Mirror and a 31lb 02oz Mirror from Kingfisher. 27th July Carl Murphy lands a 37lb Common from Swan. 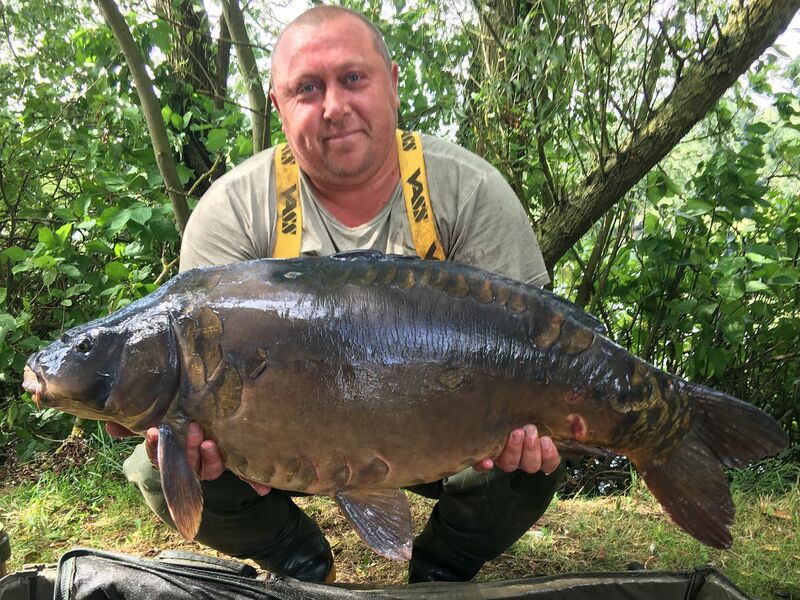 27th July Gary Clarke lands a 35lb 08oz Mirror from Swan. 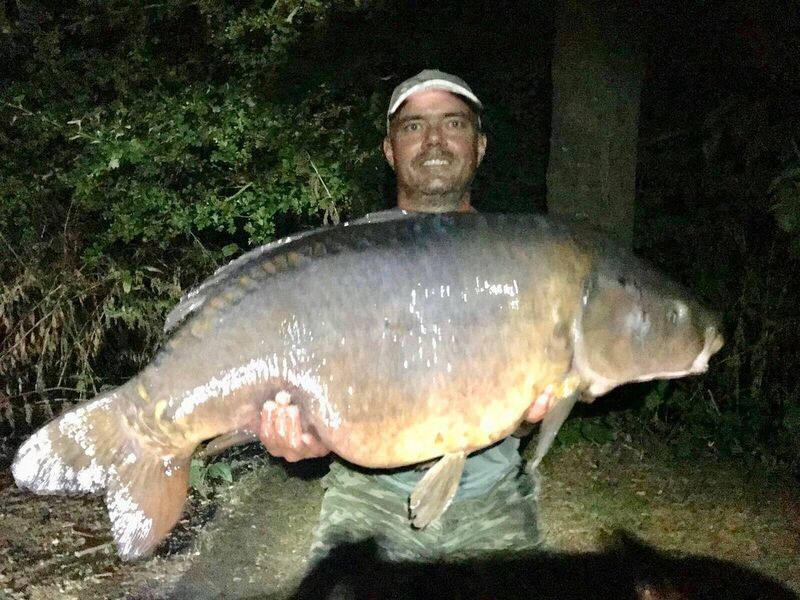 26th July Anthony Dowell lands a 54lb Mirror from Swan. 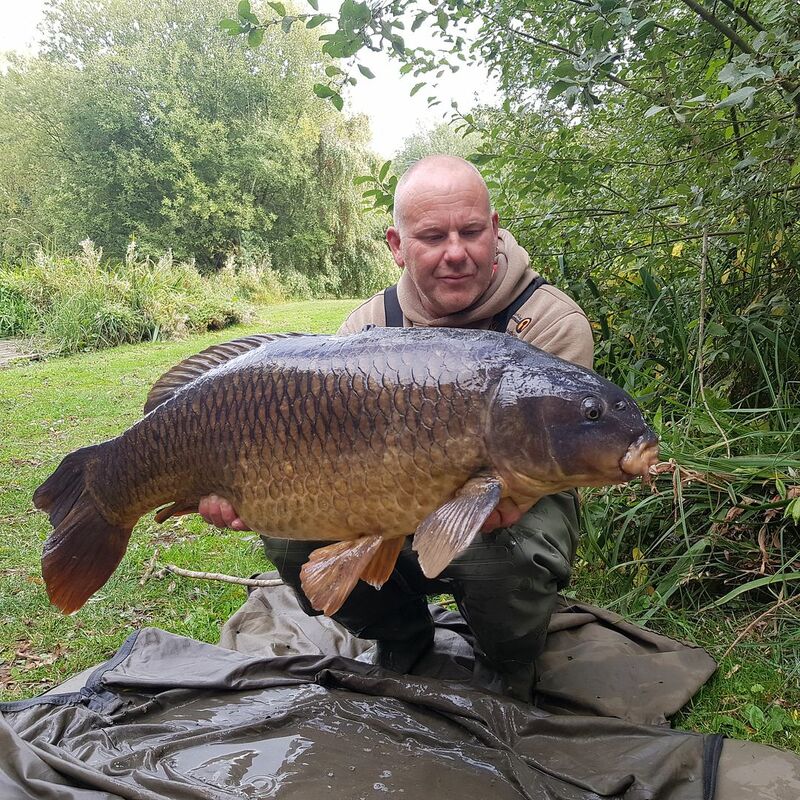 26th July Gary Denniss lands a 34lb Common and a 34lb 06oz Common from Kingfisher. 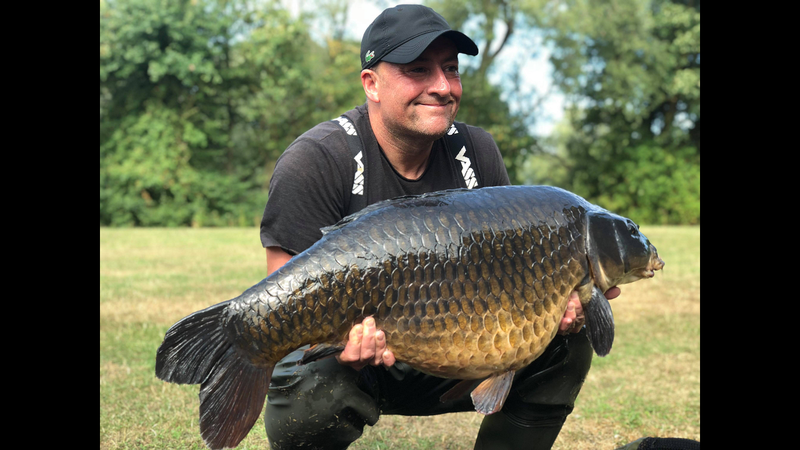 23rd July Terrence Fitzgerald lands a 34lb 09oz Common from Kingfisher. 22nd July Luke Butler 20lb 14oz from Mallard. 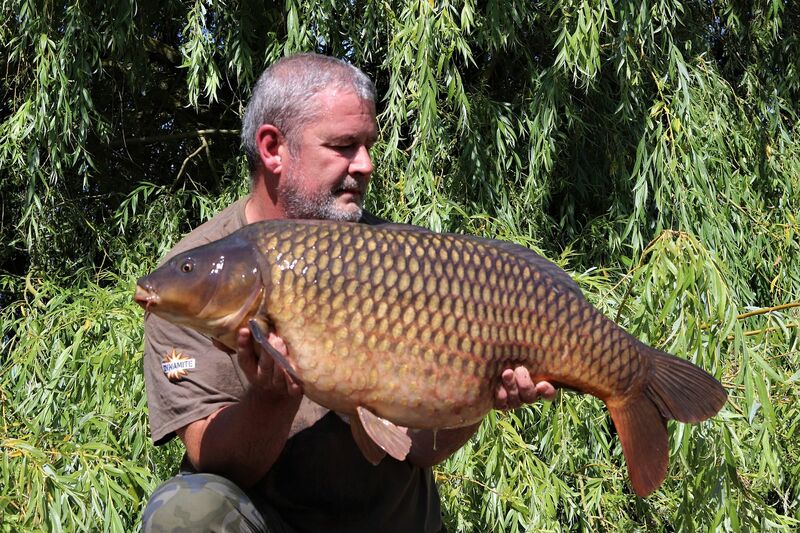 21st July Tony Gibson lands a 43lb 02oz Common from Swan. 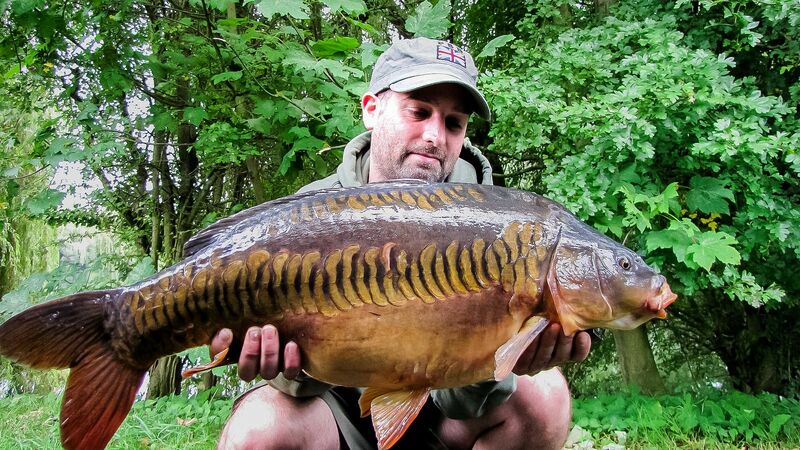 18th July Gary Denniss Land 3 carp from Kingfisher. 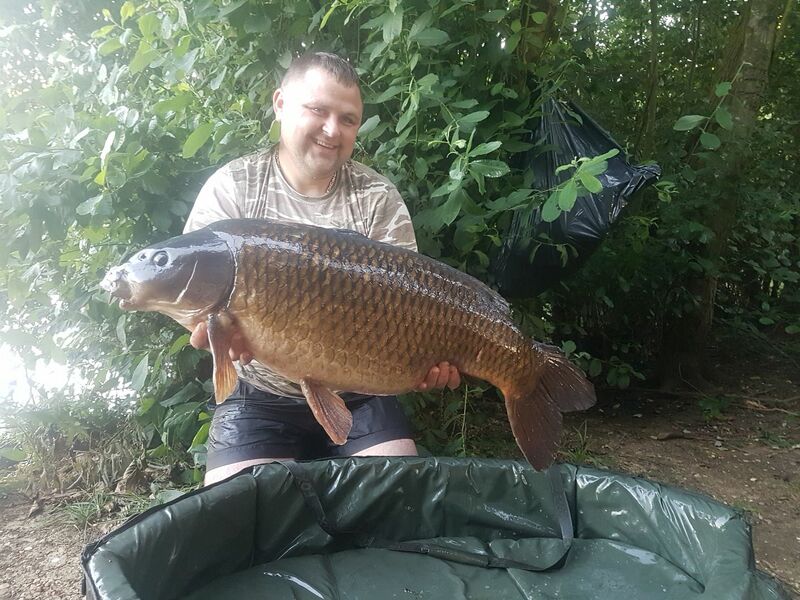 17th July Mark Brisley 23lb 11oz Common from Mallard. 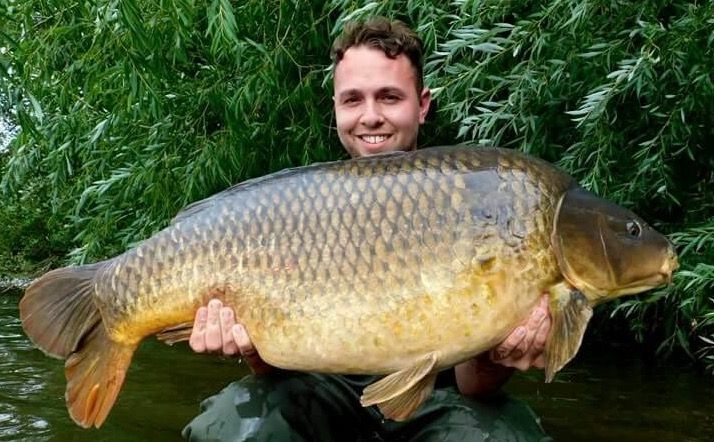 14th July Darren Jaques lands a 32lb Common from Sandmartin. 13th July Kevin Rocket lands a 31lb 01oz Mirror from Kingfisher. 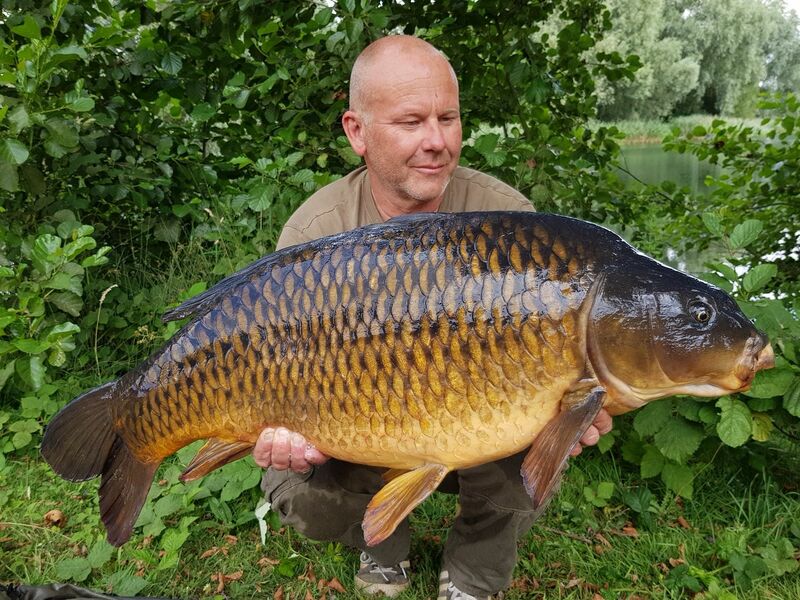 13th July Mark Robinson lands a 37lb 06oz Common from Mallard. 12th July Carl Murphy lands a 31lb 01oz Common from Kingfisher. 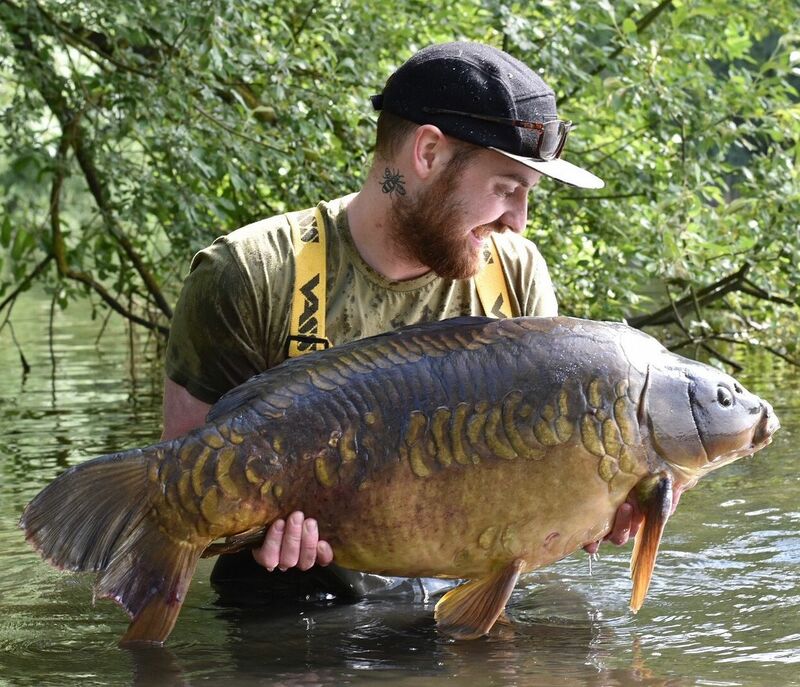 12th July Nathan Price lands a 34lb Mirror from Swan. 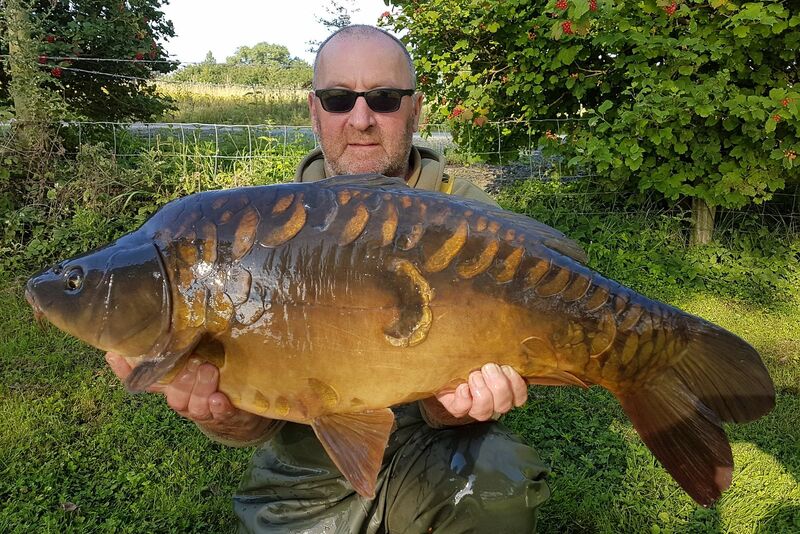 12th July Leonard Score lands a 54lb 03oz Mirror Dave from Swan. 11th July Gary Denniss lands a 20 and 30lb 04oz Common from Kingfisher. 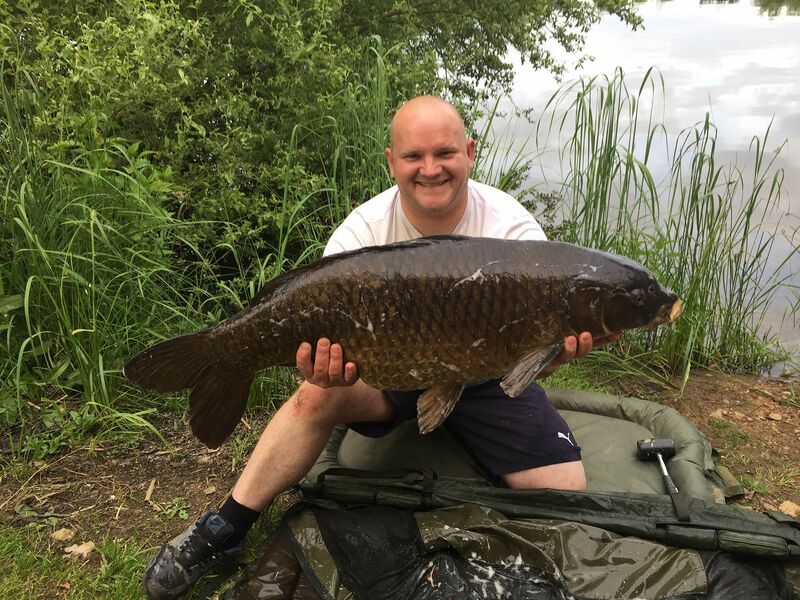 5th July Gary Denniss lands a 37lb 10oz Common from Swan. 1st July Gary Luck lands a 31lb 02oz Common from Mallard. 30th June Carl Beresford lands a 32lb Common from Swan. 26th June Pete Hardy lands a 30lb 08oz Mirror from Swan. 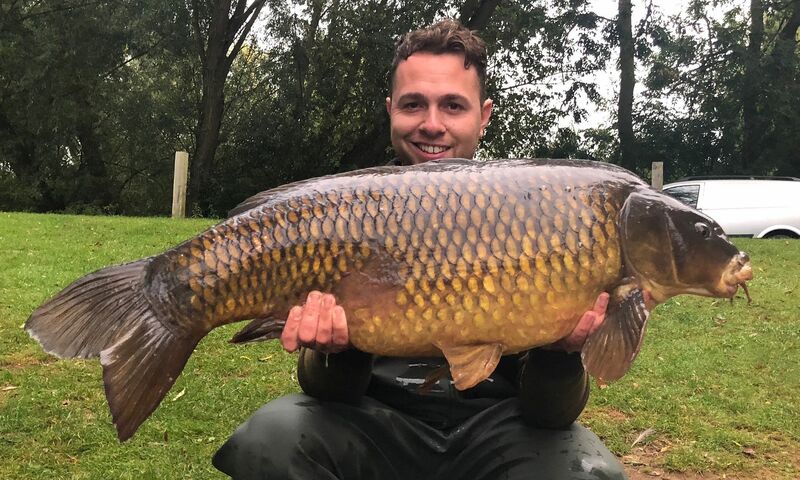 26th June Elliot Higginson lands two new PBs with a 24lb 10oz and 31lb 08oz common from Mallard on 24hr tutorial with Matt Ridley. 25th June Jason Holden lands a 38 from Kingfisher. 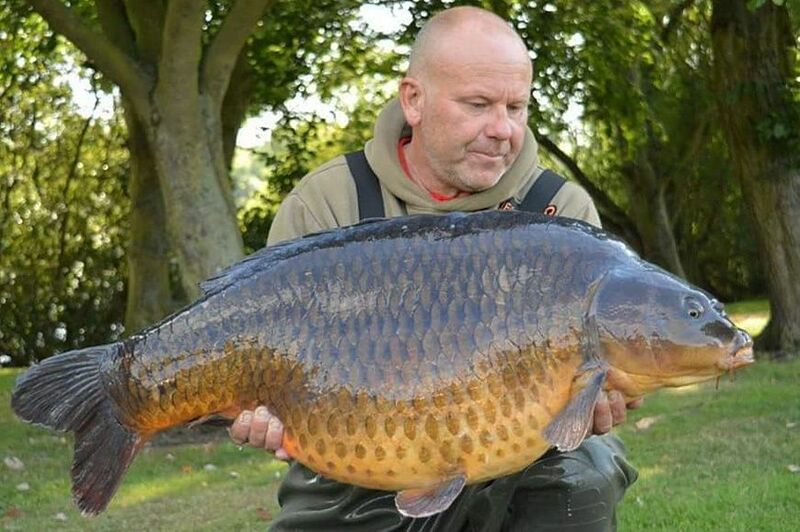 23rd June Steve Wright lands a 36lb 06oz Common from Swan. 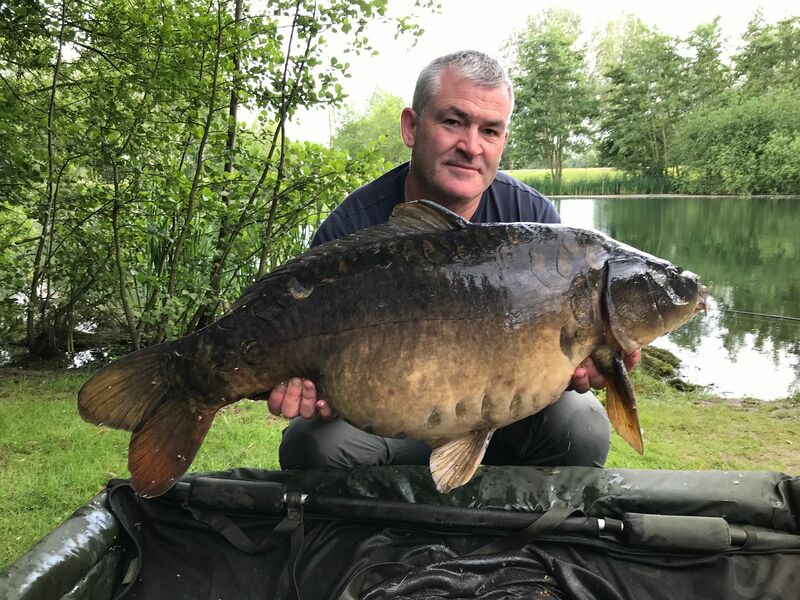 22nd June Unknown Angler lands a 30 from Swan. 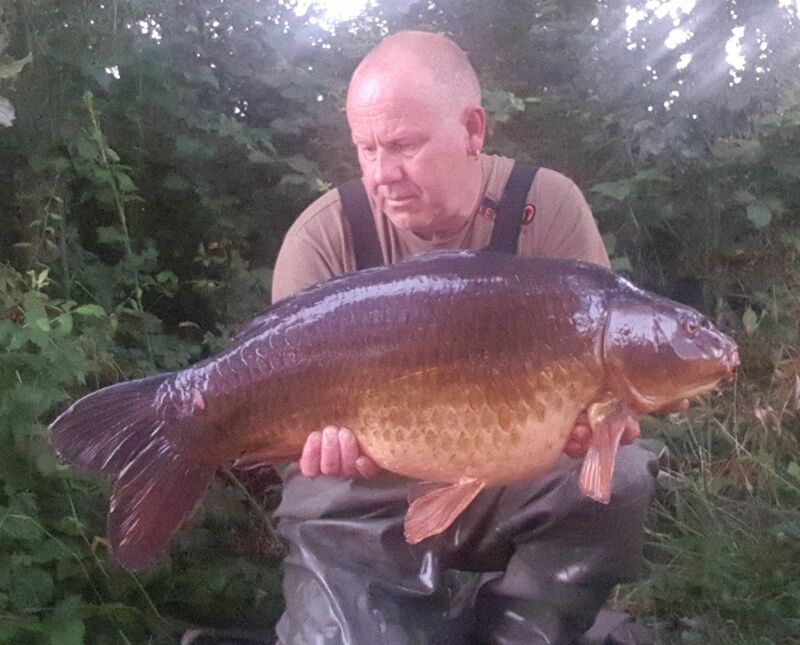 22nd June Trevor Cooke 27lb 13oz from Mallard. 18th June Carl Beresford lands a 37lb Common from Swan. 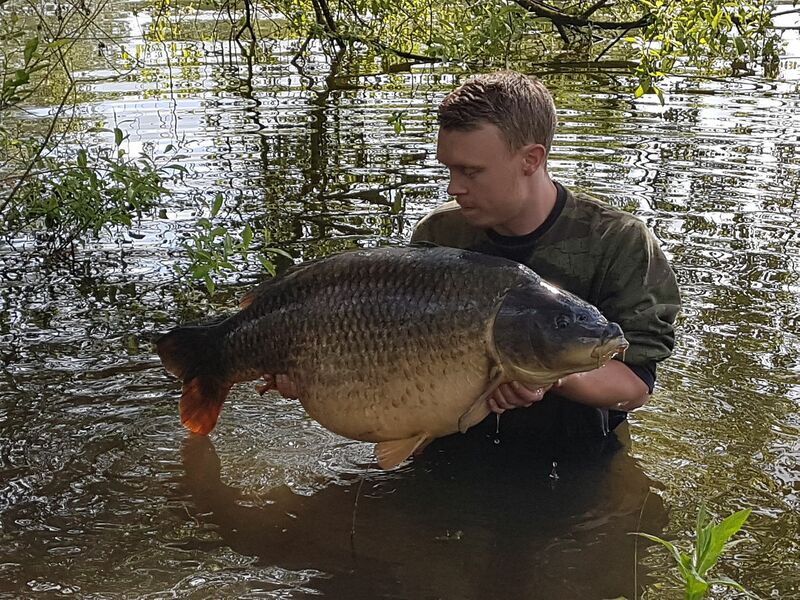 17th June Reece Fletcher lands a 30lb 02oz Common from Swan. 17th June Lee Carr lands a 32lb Common from Mallard. 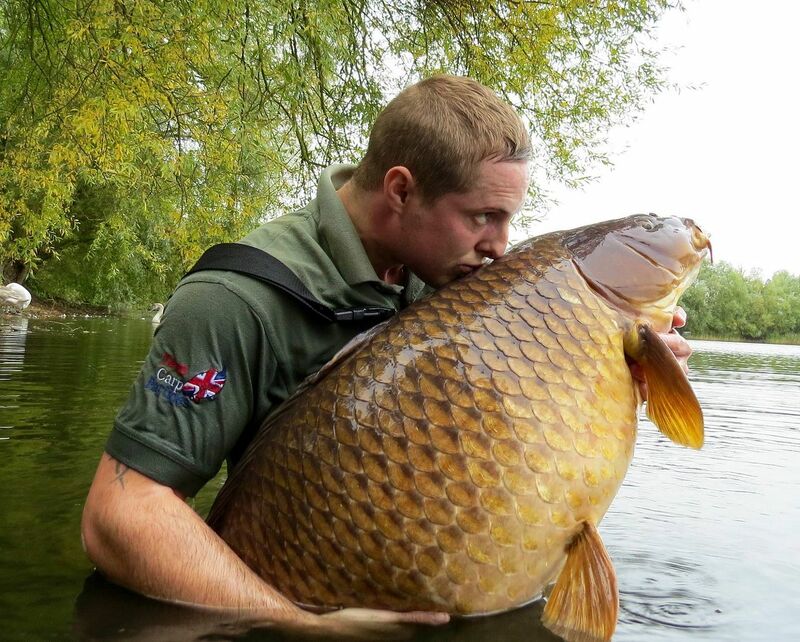 17th June Unknown Angler lands a 47lb Common from Kingfisher. 17th June Dave Taylor lands a 38lb 06oz from Mallard. 16th June David Brooks lands a 36lb Common from Mallard. 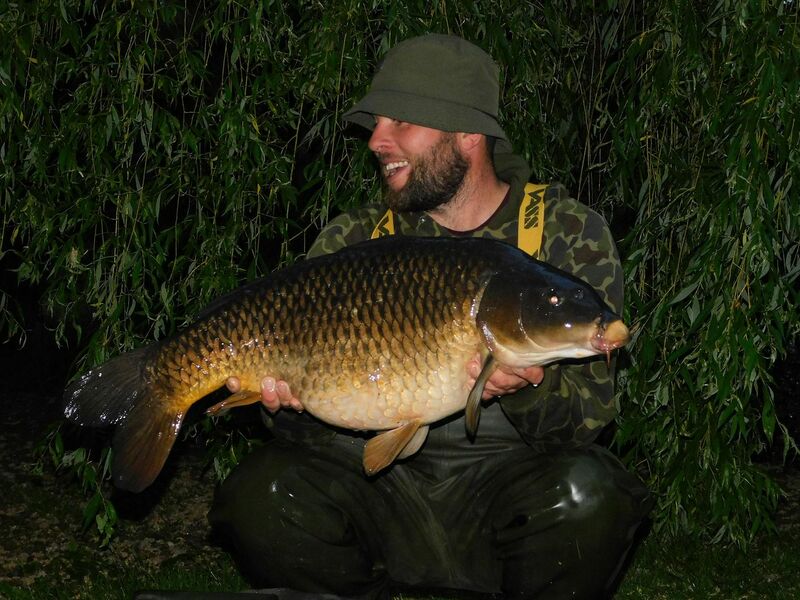 12th June Matt Upton lands a 31lb Common from Bluebell. 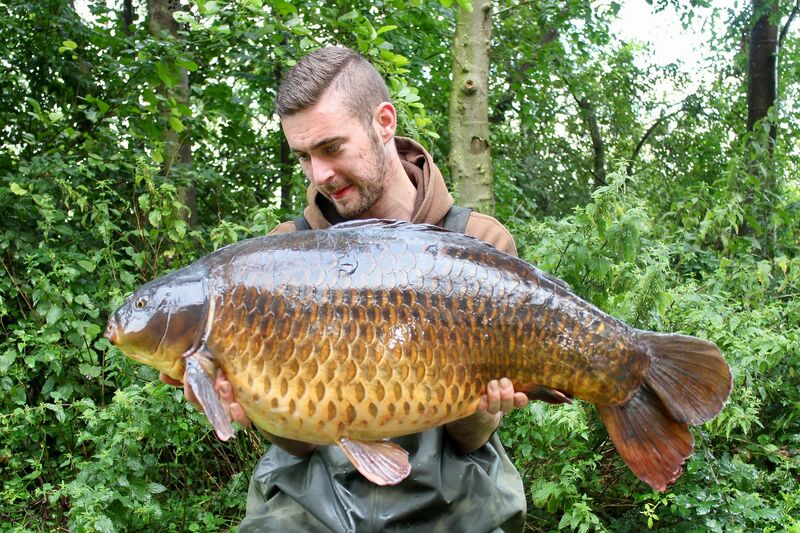 12th June Lee Birch lands a 38lb Common from Swan. 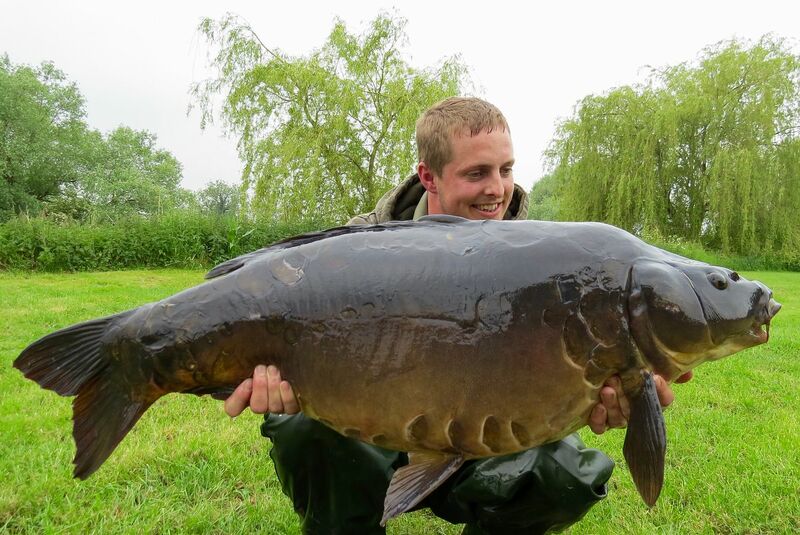 12th June Tom Lilley lands a 30lb Mirror from Swan. 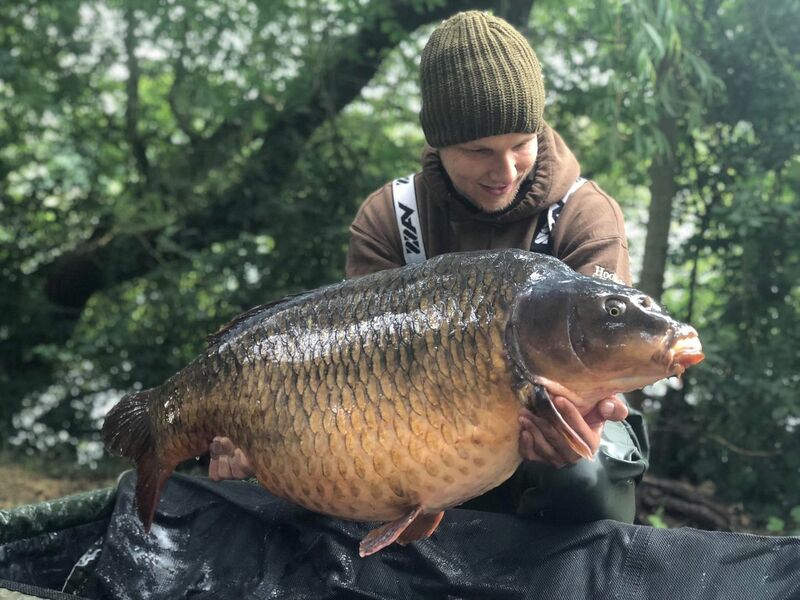 11th June Morgan Adawee lands a 30lb 01oz Common from Bluebell. 7th June Dave Ostapuik lands a 31lb Common from Mallard. 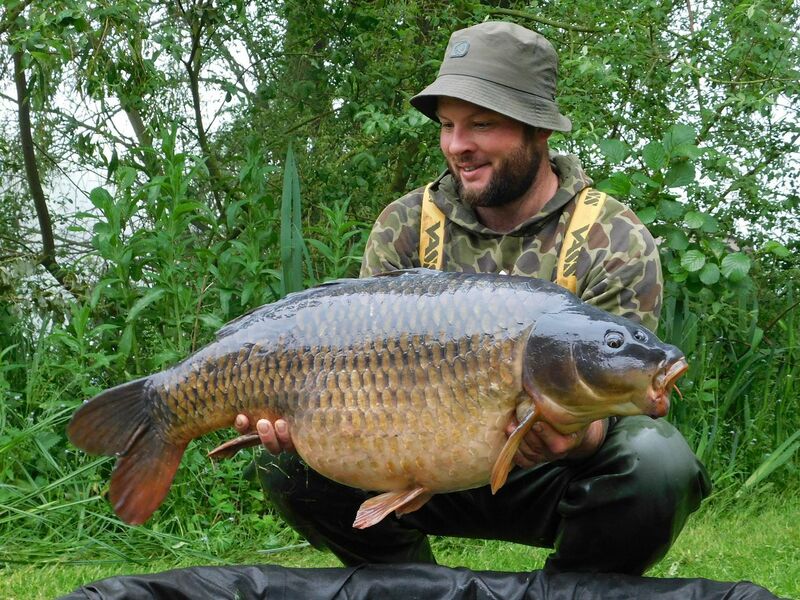 2nd June Mark Backhouse lands a 37lb Common from Swan. 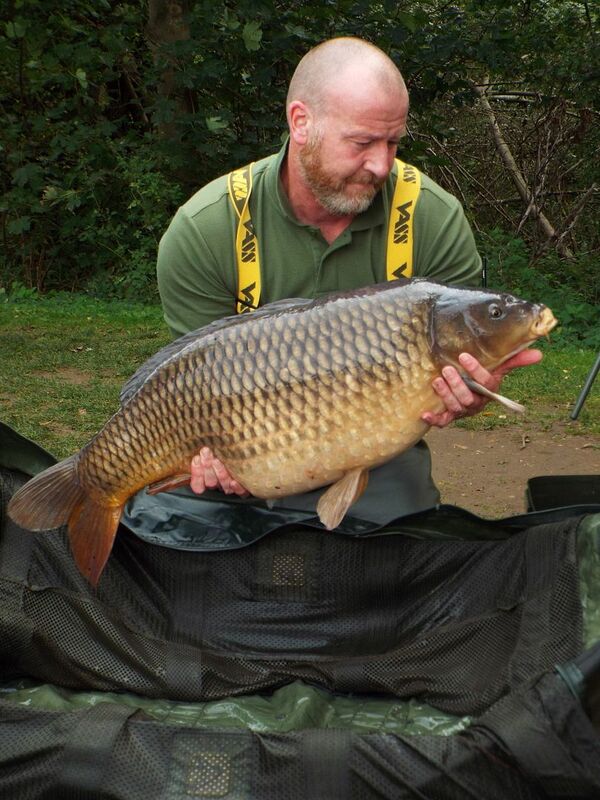 2nd June Unknown Angler lands a 31lb 02oz and a 31lb 06oz Common from Mallard. 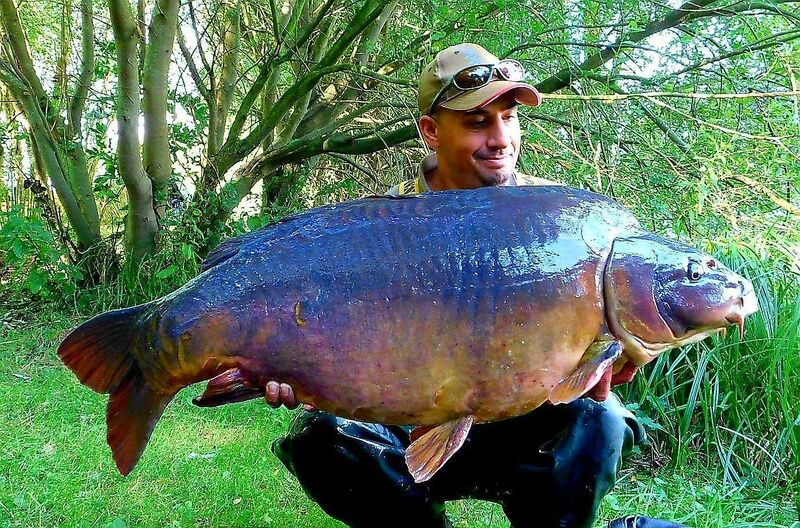 2nd June Unknown Angler lands a 41lb Mirror from Swan. 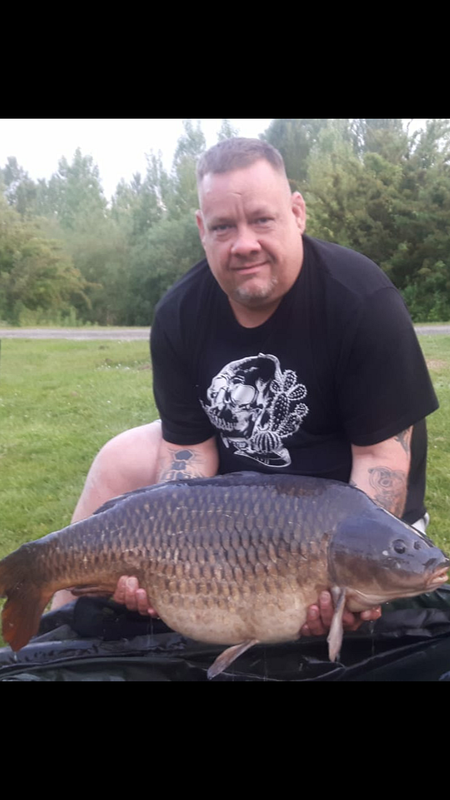 2nd June Unknown Angler lands a 38 08 Common from Swan. 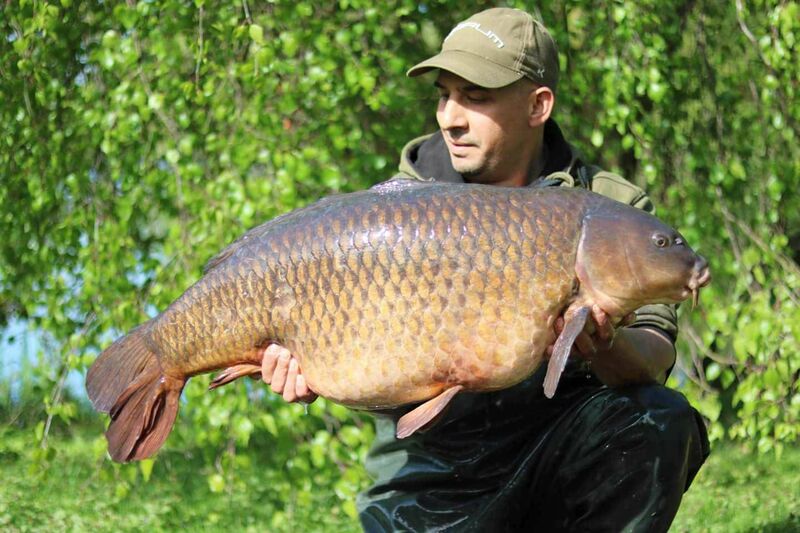 2nd June Leon Hinton lands a 42lb 12oz Common from Swan . 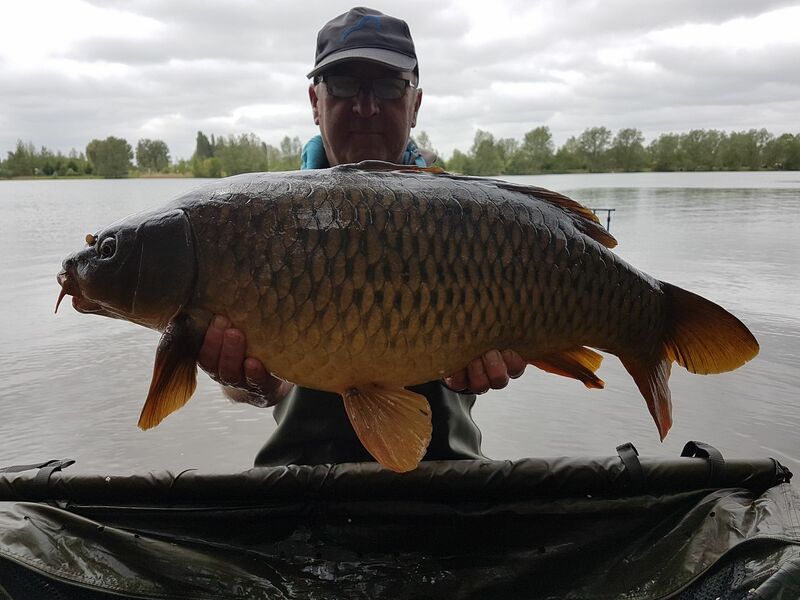 1st June Unknown Angler lands a 33lb Common from Bluebell. 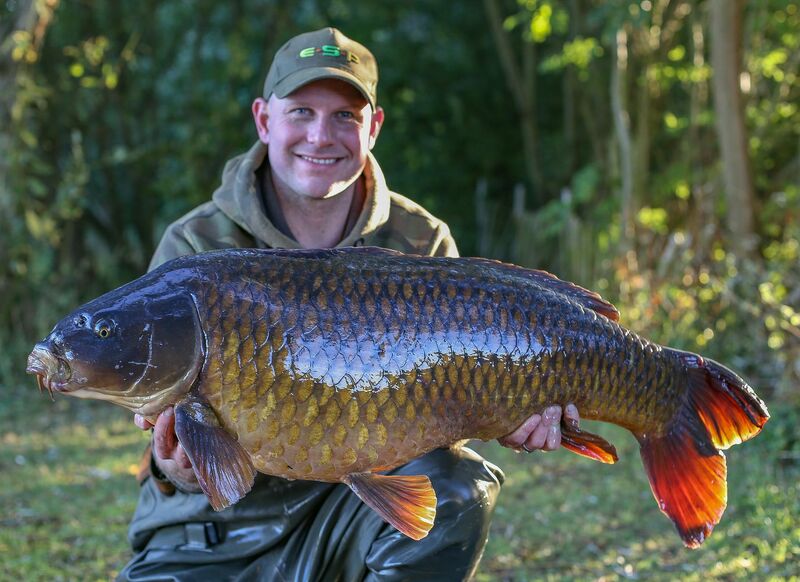 1st June Jamie Newton lands a 34lb 05oz Common from Bluebell. 30th May Milos Vevercik lands a 53lb 09oz Mirror and a 32lb Mirror from Swan. 30th May Darren Proctor lands a 39lb 08oz Common from Kingfisher. 30th May Unknown Anlger lands a 39lb Mirror from Kingfisher. 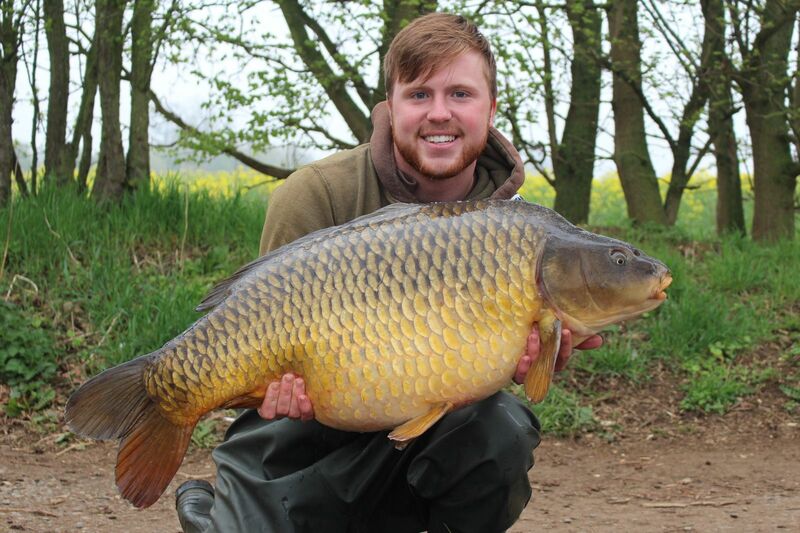 30th May Jake Johnston lands a 31lb 04oz Common from Swan. 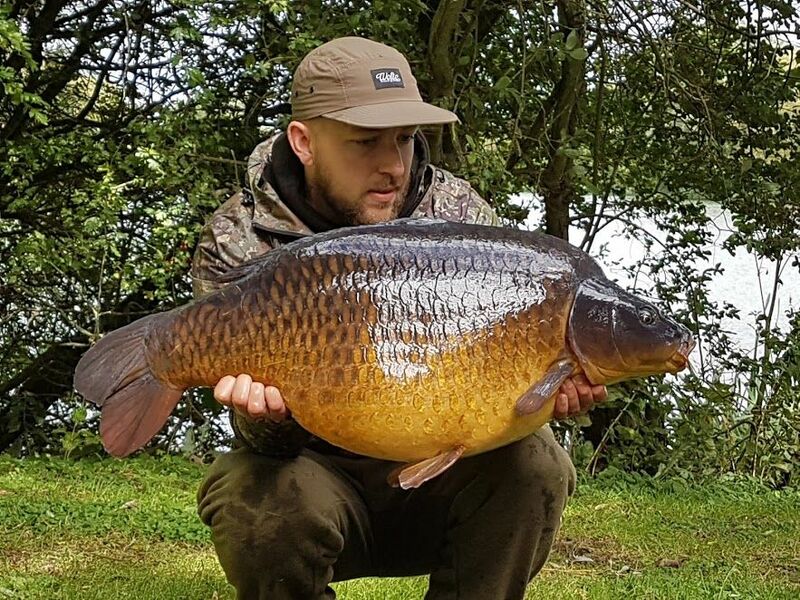 29th May Andy Hunter lands a 33lb Common from Bluebell. 26th May Carl Murphy lands a 36lb 02oz Common and a 28lb 05oz Common from Kingfisher. 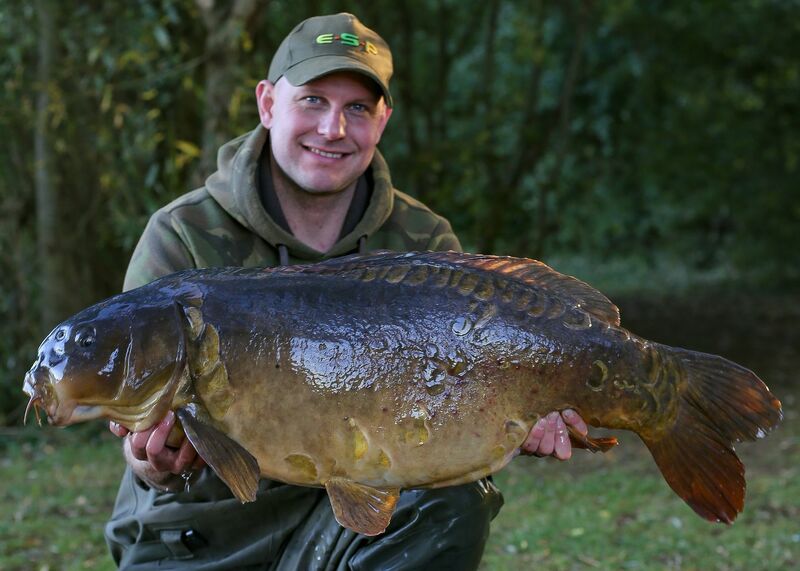 23rd May James Fox lands 30 Carp from Mallard on a 96hr session, 23 of them over 20lb. 23rd May Alan Hancock lands a 30lb 12oz Common from Bluebell. 22nd May Alan Hancock lands a 32lb Common from Bluebell. 22nd May Chris Jennings lands a 35lb 10oz Mirror from Swan. 22nd May Carl Duffus lands a 40lb 08oz Common from Swan. 20th May Robet Hill lands a 34lb Mirror from Swan. 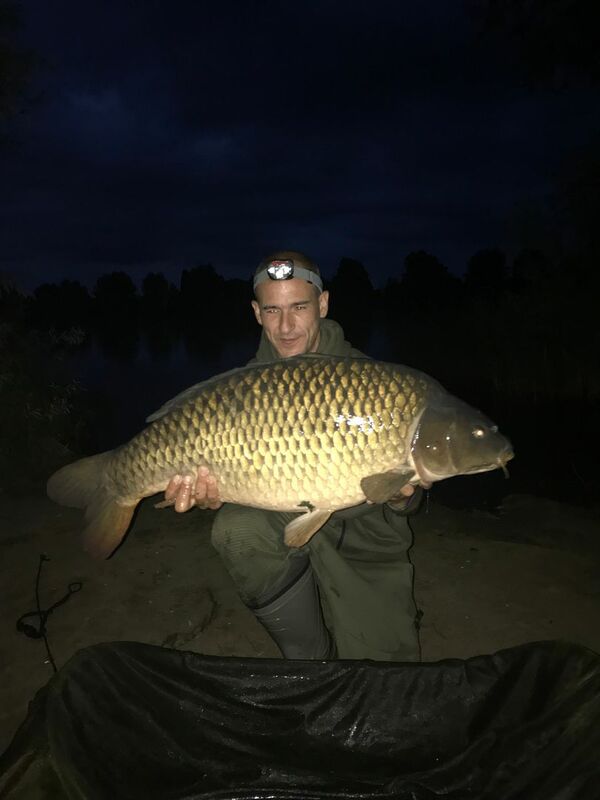 18th May Dean Lightowler lands a 32lb 08oz Common from Swan. 17th May Carl Duffus lands a 43lb 08oz Common from Swan. 16th May Peter Hall lands a 31lb 12oz Common from Mallard. 16th May Gavin Grimshaw lands a 30 from Sandmartin. 15th May Unknown Angler lands a 36lb ommon from Bluebell. 14th May Liam Briglin lands a 21lb 09 Common and a 16lb 07oz mirror on a day session from Bluebell. 12th May T Fitzgerald lands a 31lb 06oz Common from Kingfisher. 12th May John Greaves lands a 31lb 12oz Common from Swan. 11th May T Fitzgerald lands a 40lb Common from Kingfisher. 11th May Stephen Weaton lands a 37lb 10oz Common from Swan. 11th May Simon Clifford lands a 38lb 04oz Mirror from Kingfisher. 11th May Mark Robbinson lands a 38lb Mirror from Kingfisher. 11th May Unknonw Angler lands a 30lb Common from Kingfisher. 11th May Unknown Angler lands a 39lb Carp from Kingfisher. 10th May Dan Bunn lands a 50lb 07oz Common from Swan. 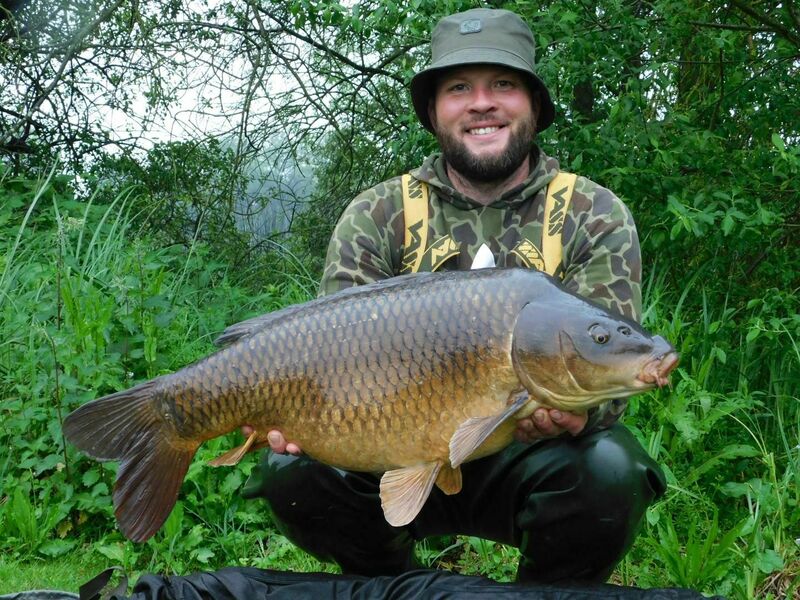 10th May Dan Bunn lands a 32lb 08oz Common from Swan. 10th May Dave Shipton lands a 36lb 06oz Mirror from Swan. 10th May Zig Curtis lands a 34lb 02oz Common from Kingfisher. 9th May Paul Summerfield lands a 36lb 12oz Common from Kingfisher. 8th May Gary Denniss lands a 29lb Common from Kingfisher. 8th May Simon Clifford lands a 25lb 08oz Common from Kingfisher. 7th May Carl Duffus lands a 51lb 08oz Common from Swan. 7th May Gary Mason lands a 53lb 08oz Mirror from Swan. 7th May Alan Aldred lands a 35lb Common from Mallard. 6th May Richard lands a 30 from Swan. 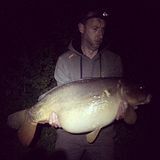 5th May Dean Lightowler lands a 33lb Mirror from Swan. 5th May Tony Gibson lands a 30lb 06oz Mirror from Swan. 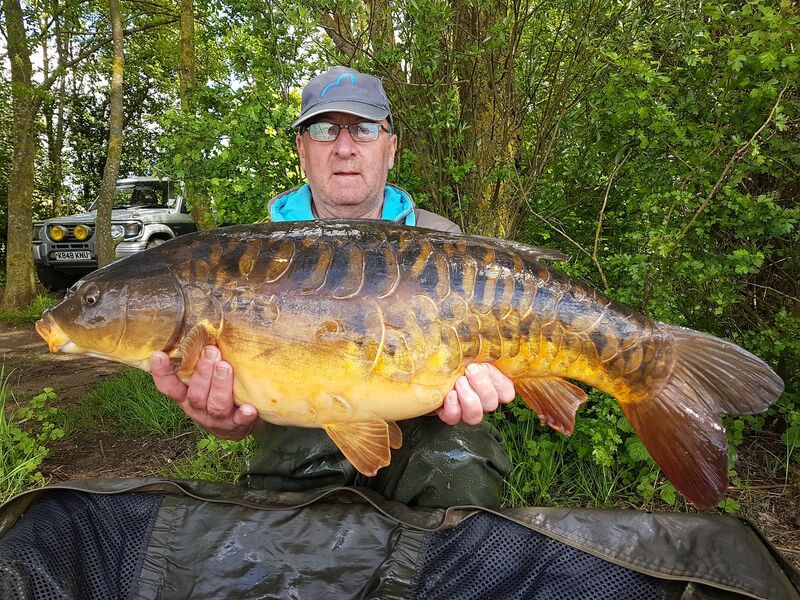 2nd May Steve Wright lands a 3 fish including 2 30's from Swan. 1st May Unknown Angler lands a 36lb Common from Swan. 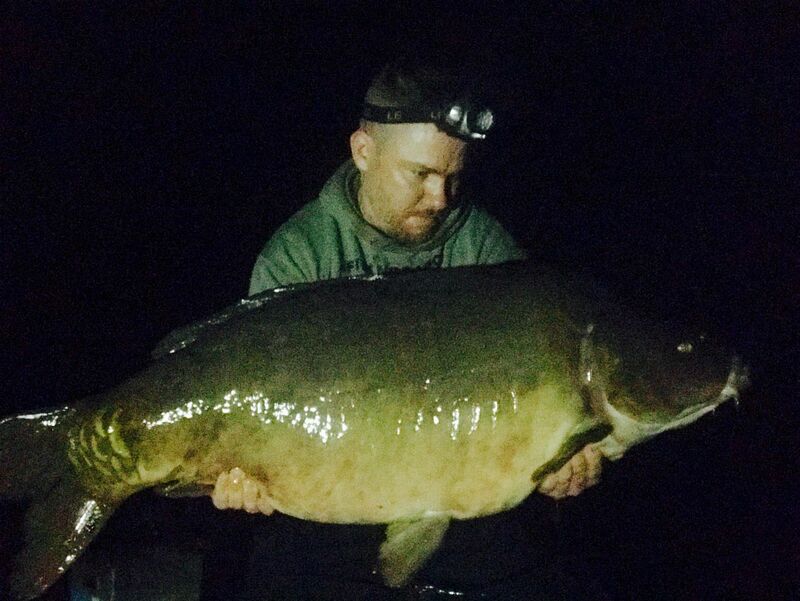 26th April Dean Lightowler lands a 33lb 12oz Mirror from Swan. 26th April Zig Curtis lands a 30 from Kingfisher. 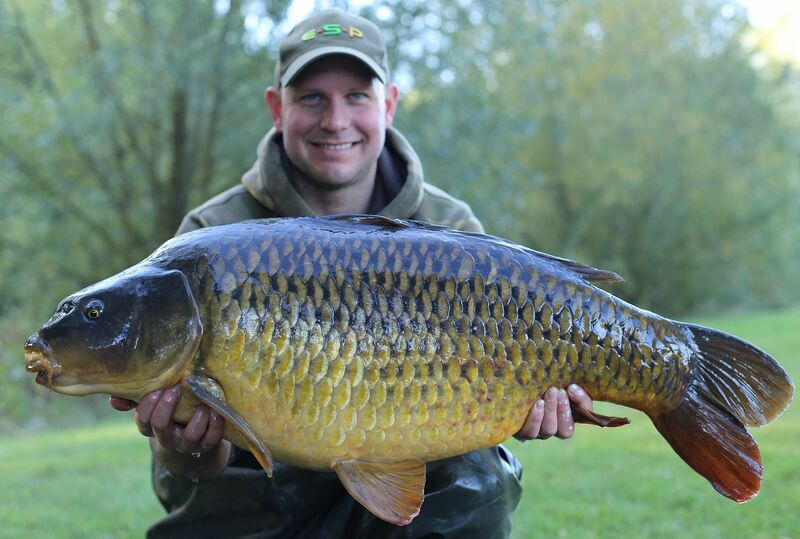 24th April Jon Gill lands a 34lb 02oz Common from Bluebell. 24th April Tony Gibson lands a 32lb 08oz Mirror from Swan. 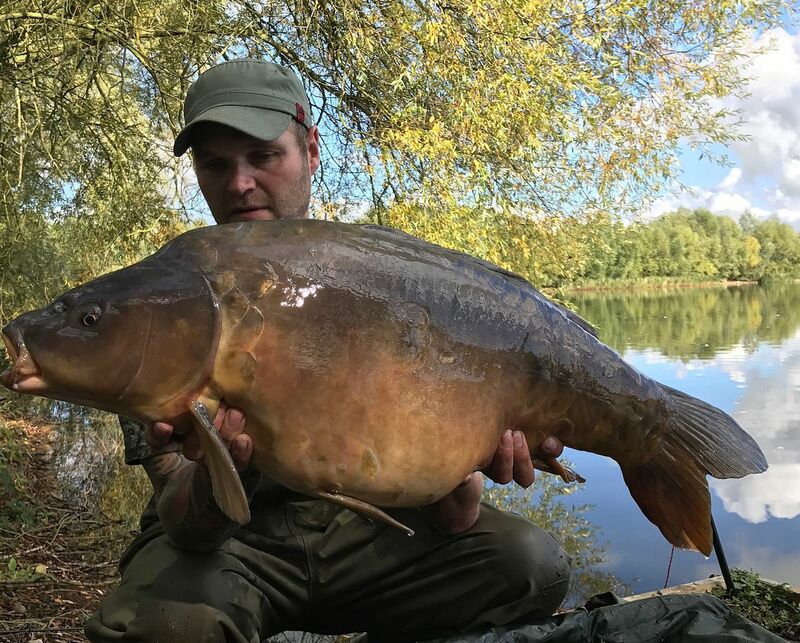 24th April Unknown Angler lands a 30lb 12oz Mirror from Kingfisher. 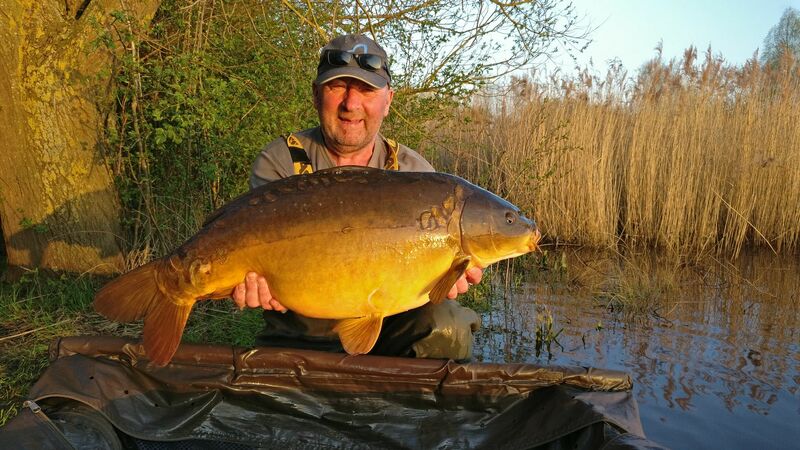 23rd April Unknown Anglers land a 32 and a 31lb 06oz from Mallard. 23rd April Gavin Grimshaw lands a 5 carp to 32lb from Sandmartin. 22nd April Steve Bonnington lands several carp to 30lb from Mallard. 22nd April Jamie Coker lands a 30lb 07oz Mirror from Kingfisher. 22nd April Unknown Angler lands a 30 from Swan. 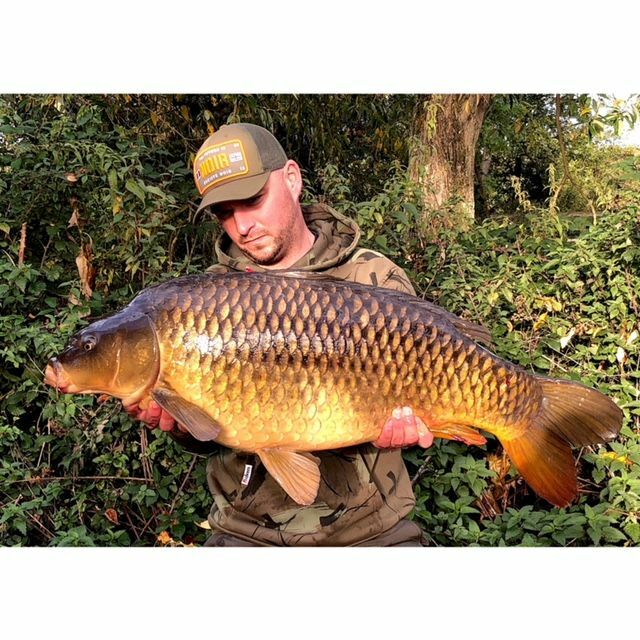 22nd April Dean Dimmock lands a 31lb Common from Swan. 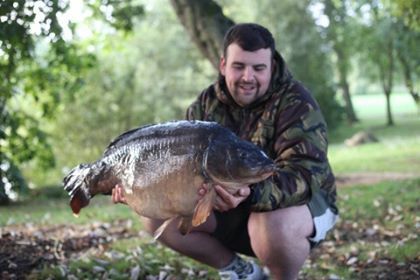 22nd April Dan Bunn lands a 30lb Linear from Swan. 22nd April Alan Langdale lands a 35lb Common from Swan. 21st April Andrew Boulton lands a 5 fish including a 31 and a 34 from Mallard. 19th April Simon Clifford lands a 30lb 04oz Mirror from Kingfisher. 16th April Unknown Angler lands a 30 from Kingfisher. 16th April Unknown Angler lands a 40 from Kingfisher. 16th April Unknown Angler lands a 30 from Sandmartin. 16th April Cristian Boboc lands a 32lb Common from Kingfisher. 12th April Zig Curtis lands a 30lb 01oz Mirror from Kingfisher. 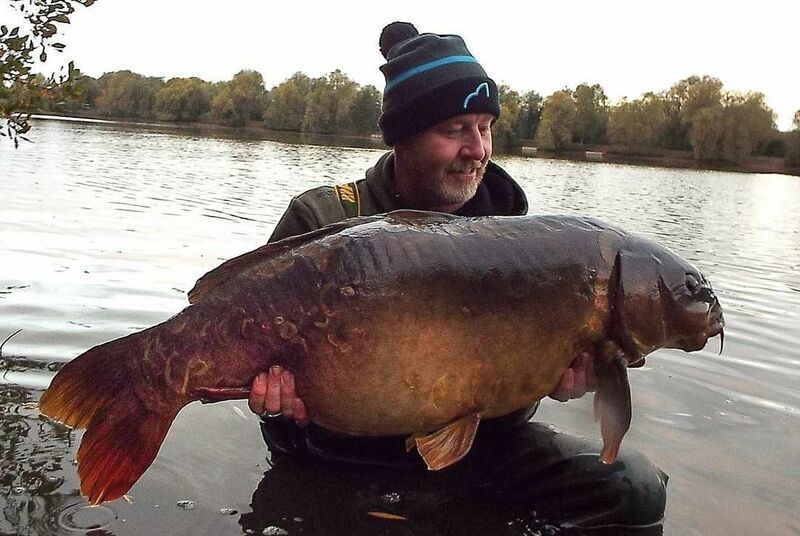 12th April Zig Curtis lands a 33lb 05oz Linear from Kingfisher. 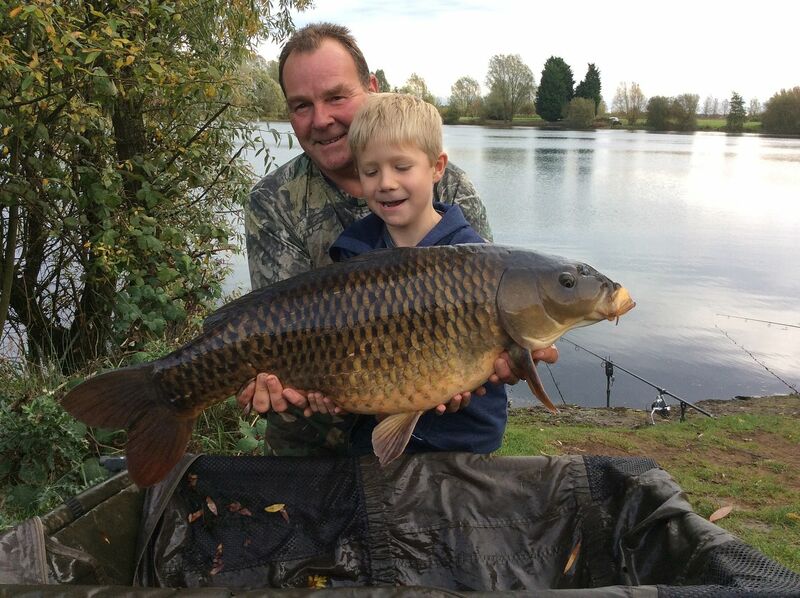 12th April Zig Curtis lands a 32lb 04oz Common from Kingfisher. 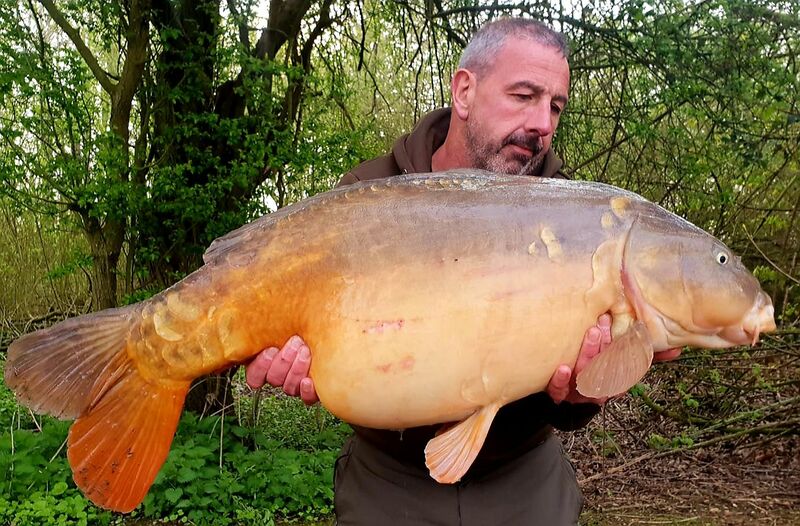 12th April Unknown Angler lands a 34 from Swan. 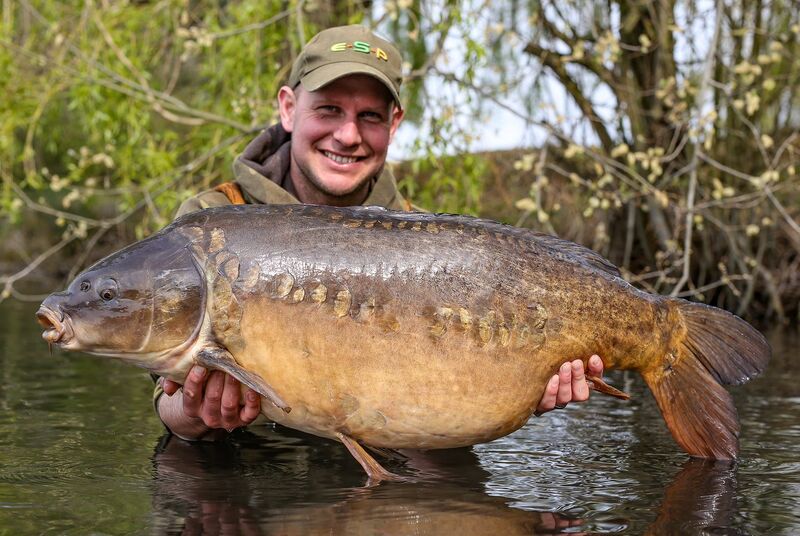 11th April Unknown Angler lands a 37lb Mirror from Swan. 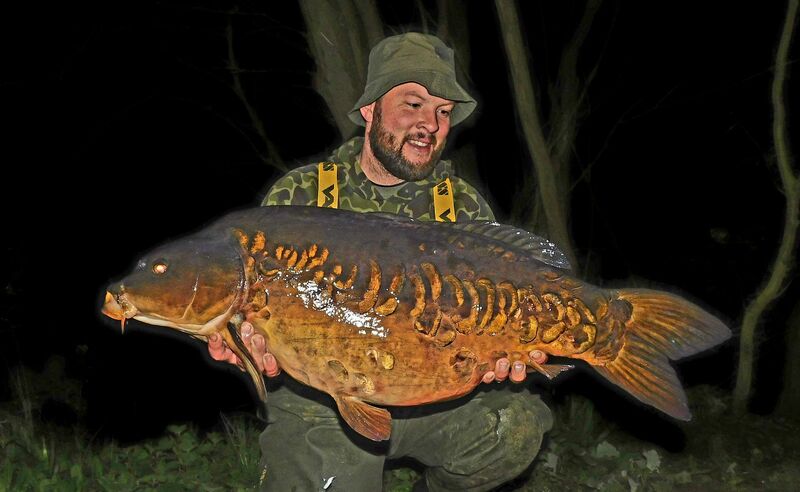 11th April Tom Shelbourne lands a 32lb 08oz Mirror from Swan. 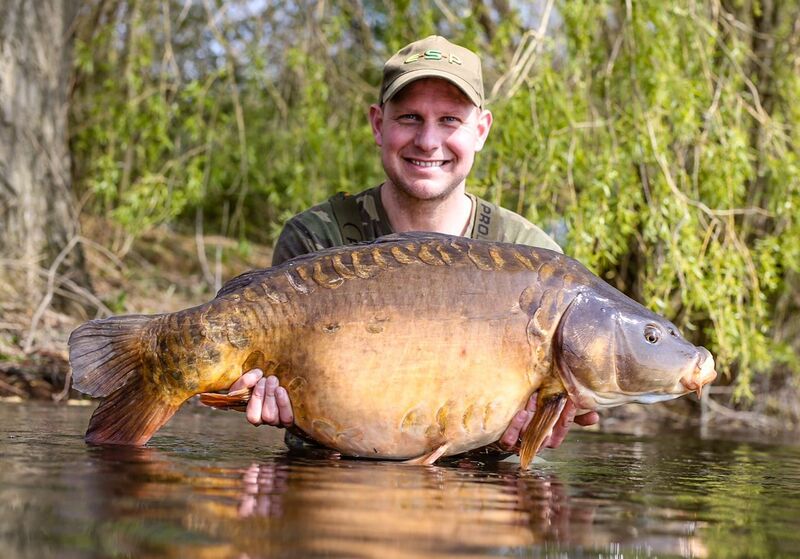 8th April Dan Edmendson lands a 38lb 04oz Mirror from Kingfisher. 6th April Gary Denniss lands a 42lb 12oz Common from Kingfisher. 6th April Gary Denniss lands a 37lb 02oz Common from Kingfisher. 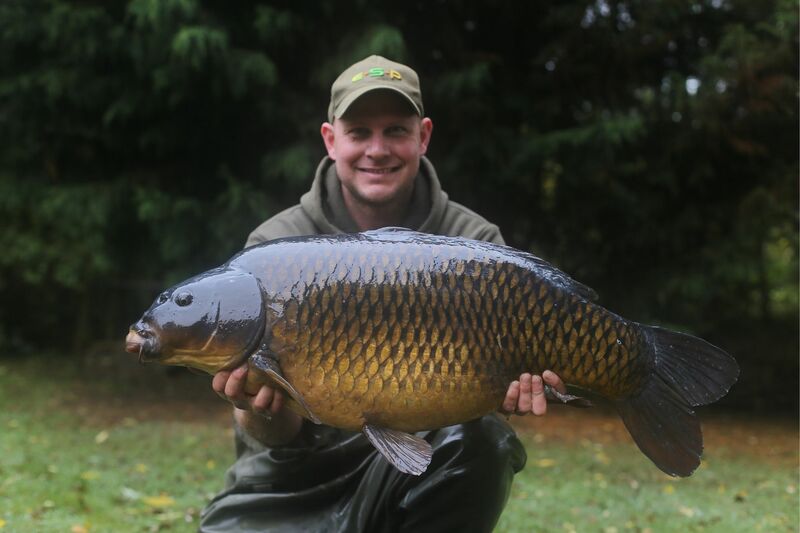 6th April Ben Hall lands a 34lb Common from Kingfisher. 5th April Gary Denniss lands a 30lb 08oz Mirror from Kingfisher. 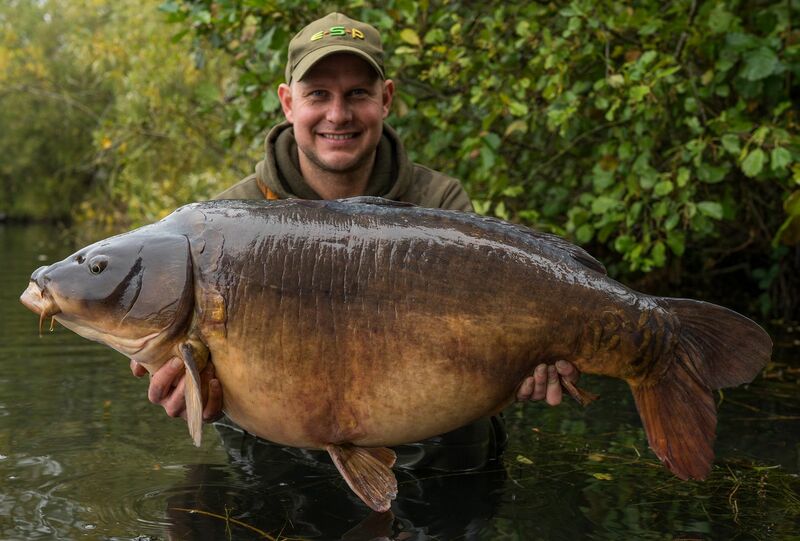 5th April Unknown lands a 36lb carp from Swan. 4th April Gary Denniss lands a 36lb Common from Kingfisher. 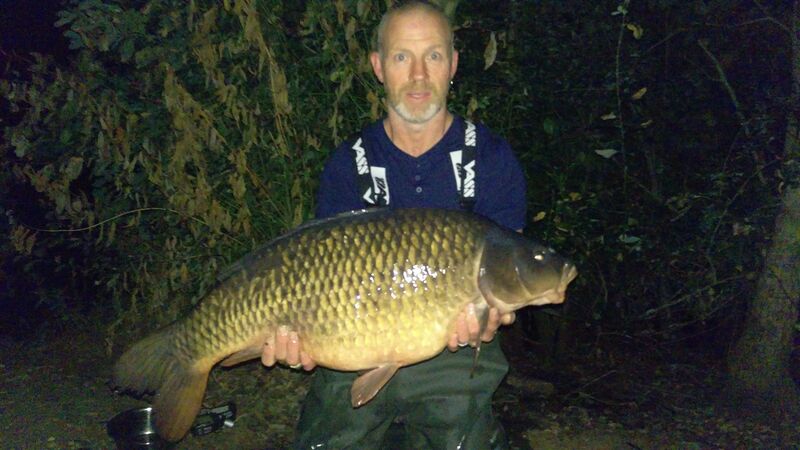 4th April Lee Birch lands a 31lb 08oz Common from Swan. 4th April Sid Wells lands a 30lb 12oz Mirror from Swan. 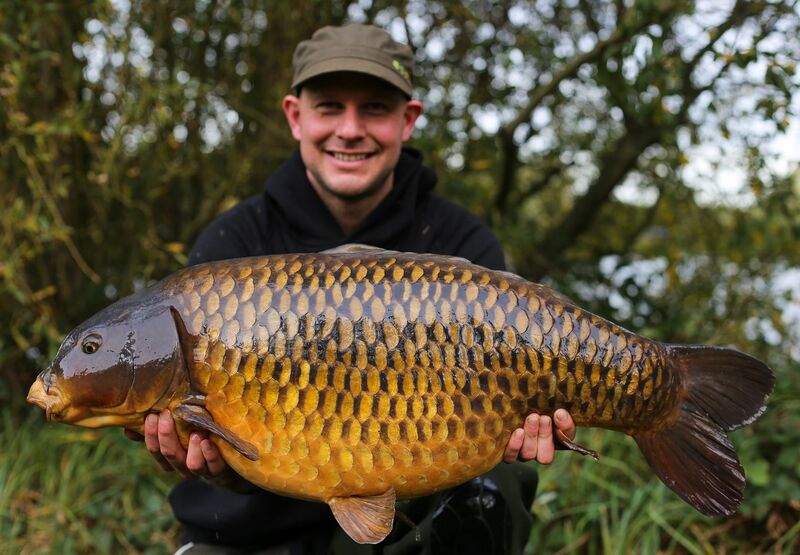 4th April Simon Loveridge lands a 34lb 10oz Common from Bluebell. 3rd April Scott Dawson with a couple of upper 20's from Mallard. 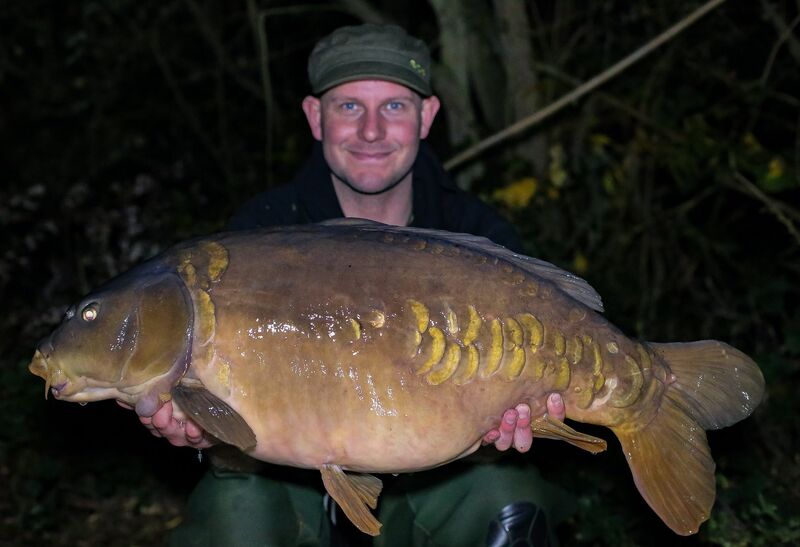 2nd April Dan Bunn lands a 30lb 05oz Mirror from Swan. 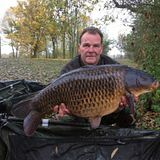 31st March Zig Curtis lands a 38lb 02oz Common from kingfisher. 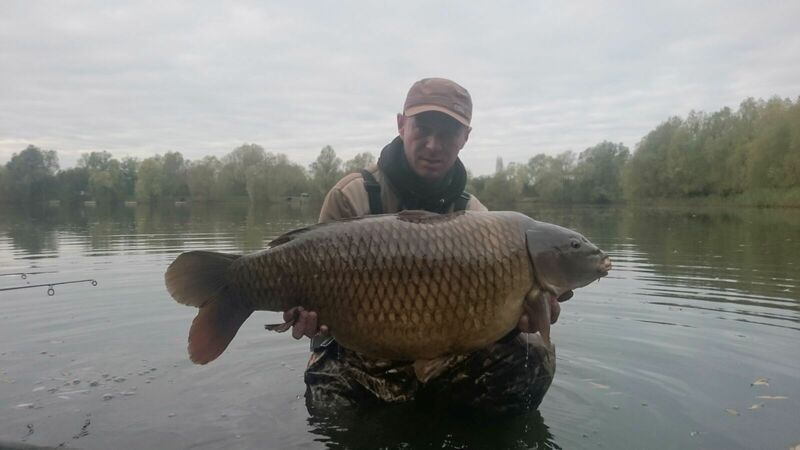 30th March Lucasz Wijata lands a 39lb Common from Swan. 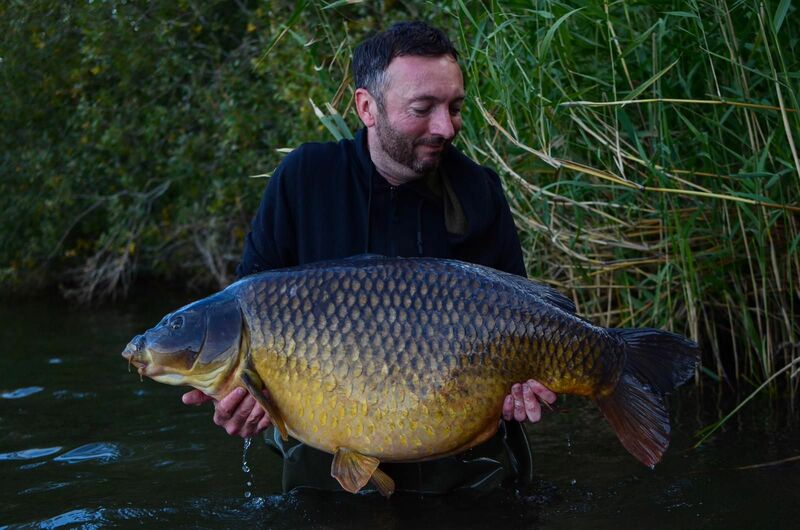 29th March Stuart Maddison lands a 49lb 10oz Common from Swan. 29th March Gary Denniss lands 35lb 15oz, 36lb 13oz, 36lb 11oz, 38lb 08oz and a 34lb 14oz Carp from kingfisher in 48hrs. 27th March Nick Rees lands a 38lb 07oz Mirror from kingfisher. 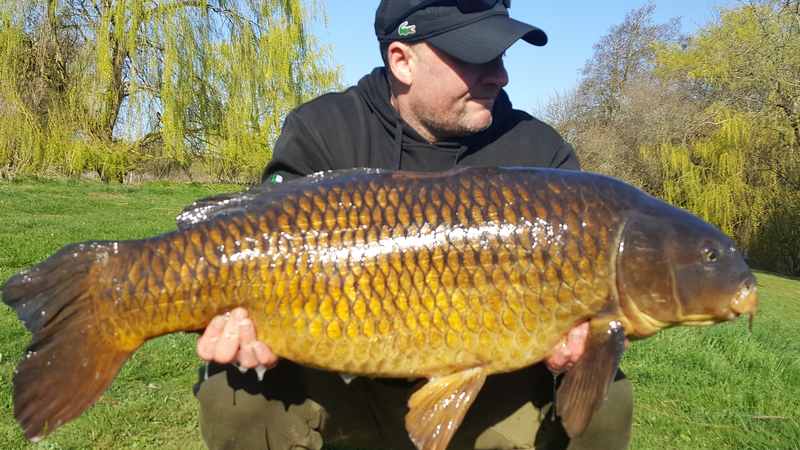 27th March unknown angler lands a 37lb Common from Kingfisher. 27th March Denniss Pomfret lands a 36lb 02oz carp from Kingfisher. 27th March 3 x 30lb+ caught from Sandmartin, names unknown. 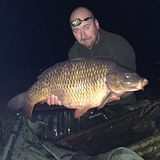 26th March TBC lands a 41lb 12oz Common from Kinfisher. 26th March Mike Madley lands a 33lb 05oz Common from Swan. 26th March Steve Wright lands a 30lb+ Mirror from Swan. 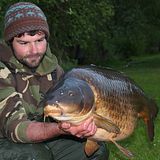 18th March Scott Reynolds lands a 26 carp over 4 day, including a 30lb 06oz mirror and a 31lb 08oz Common from Mallard. 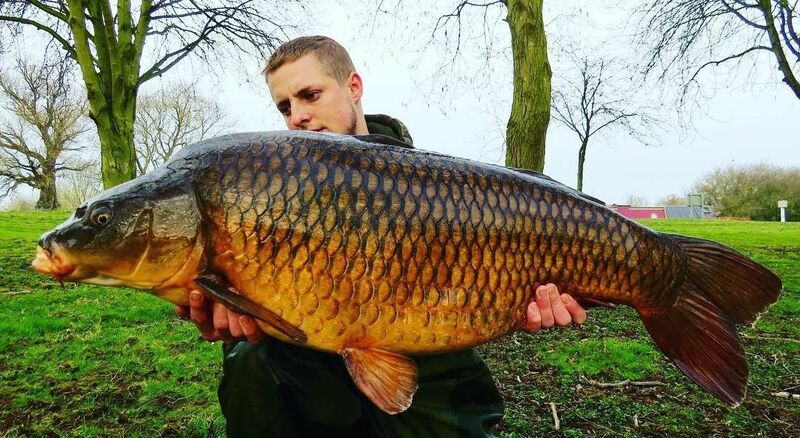 17th March Jamie Bacon lands a 39lb Common from Swan. 16th March Zig Curtis lands a 31lb Common, 30lb 04oz Common and a 40lb 06oz Mirror from Kingfisher. 15th March Unknow Angler lands a 31lb Common from Kingfisher. 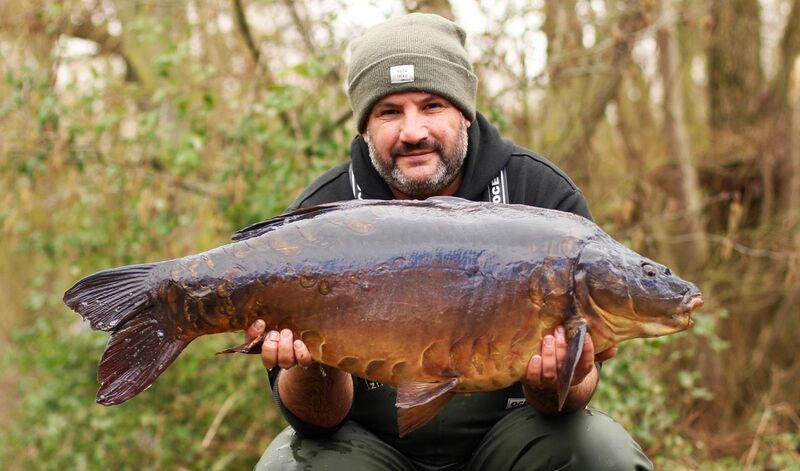 15th March Kevin Blades lands a 31lb 12oz Mirror from Swan. 14th March Mike White lands a 30lb+ Carp from Swan. 12th March Gary Denniss lands 4 carp to 31lb 14oz from Kingfisher. 12th March Ryan lands a 34lb Mirror from Mallard. 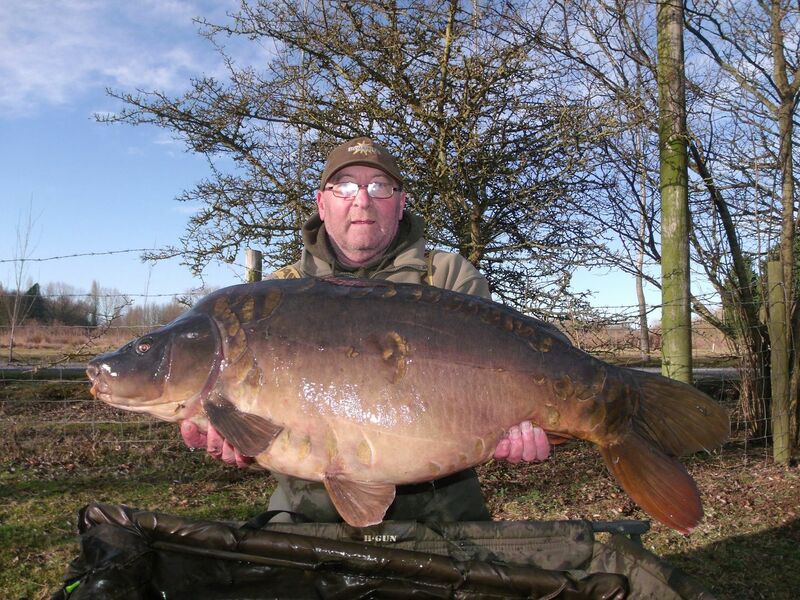 12th March Unknow Angler lands a 31lb 12oz Mirror from Kingfisher. 12th March Unknow Angler lands a 34lb Mirror from Sandmartin. 12th March Unknow Angler lands a 35lb Mirror from Swan. 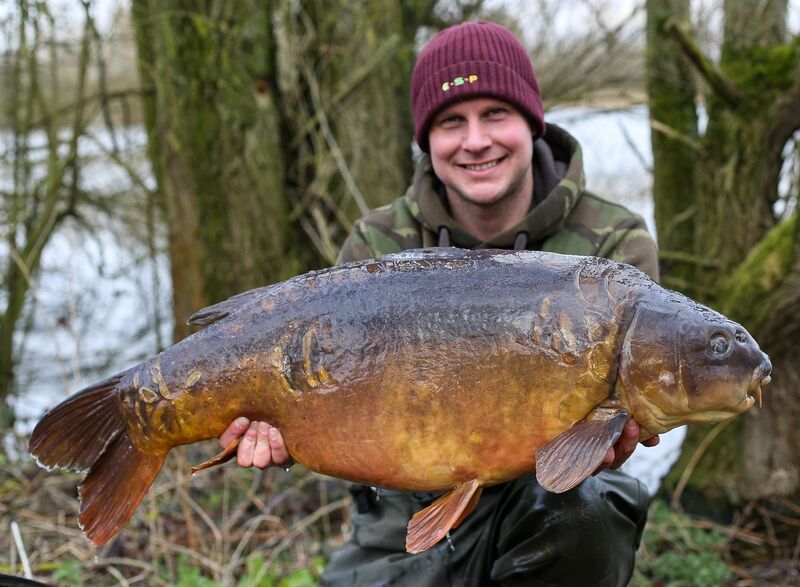 12th March Unknow Angler lands a 35lb Mirror from Mallard. 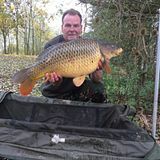 11th March Trevor Cook lands a 30lb Common and a 33lb 08oz Common from Kingfisher. 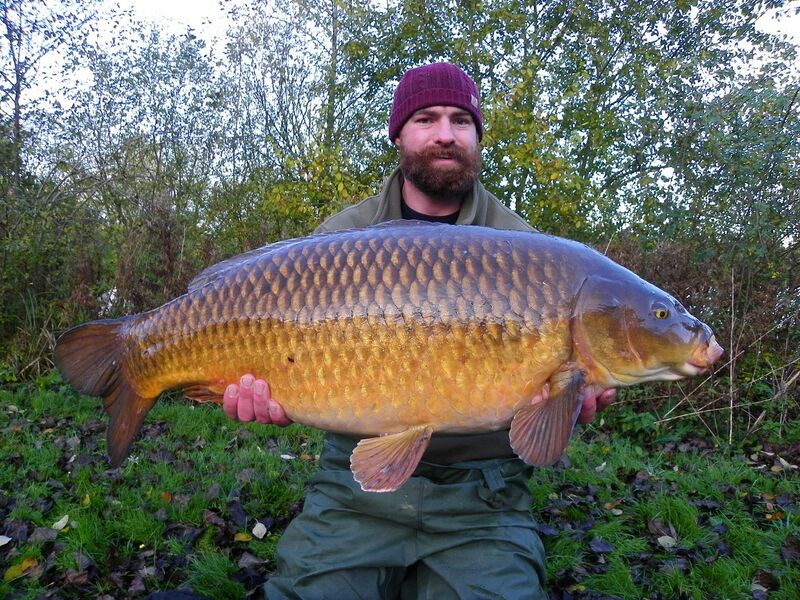 TBC 5th March Jason Moore lands a 34lb 06oz Common from Kingfisher. 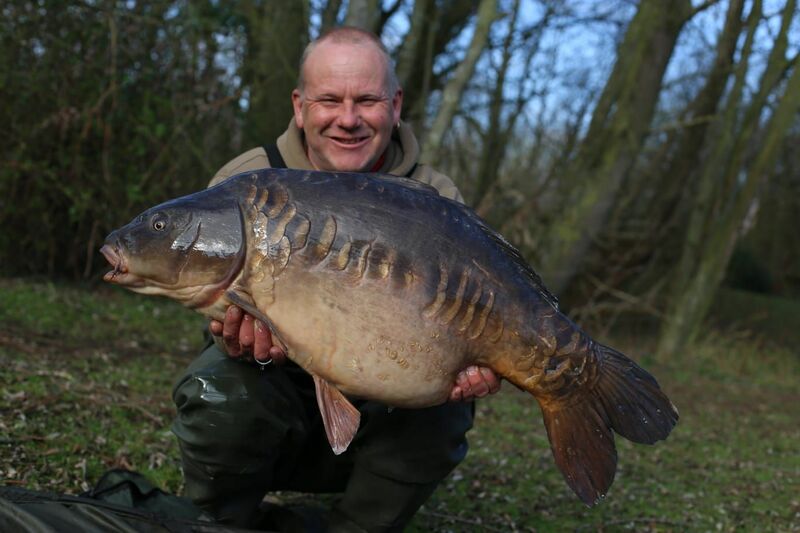 5th March John Kenedy lands a 32lb 08oz Mirror from Mallard. 4th March Calvin Crampoton lands 6 carp including a 33lb, 34lb and 38lb Common from Sandmartin. 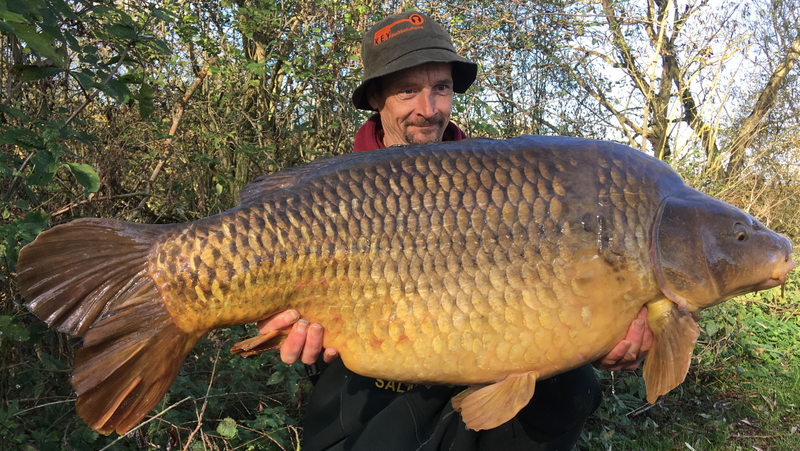 3rd March Unknown Angler lands a 35lb 08oz Common from Sandmartin. 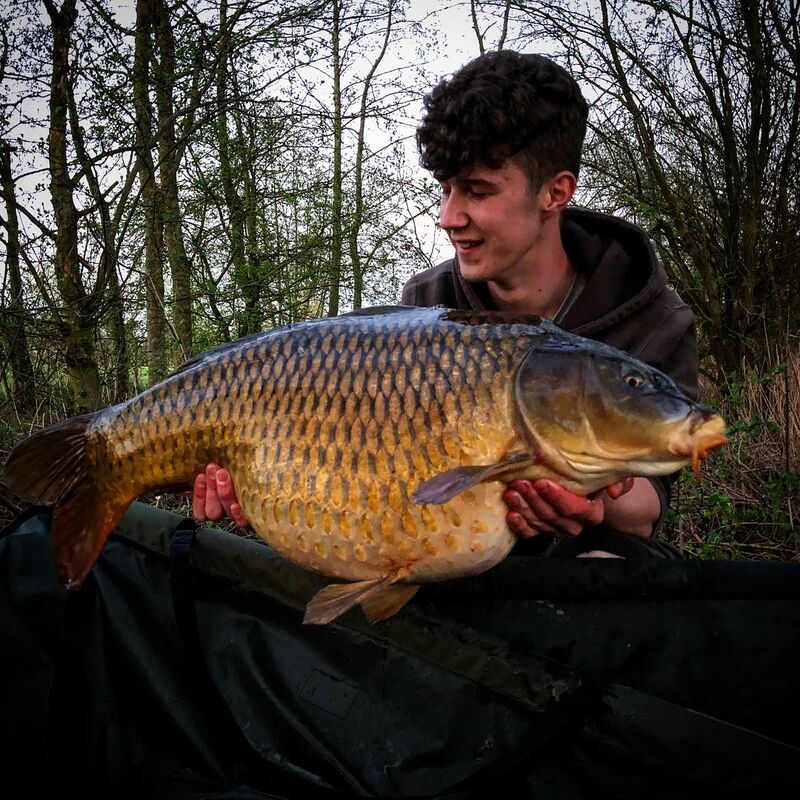 28th February Sam Annable lands a 39lb 03oz Common from Mallard. 27th February Numerous mid 20s caught from Mallard in the past week. 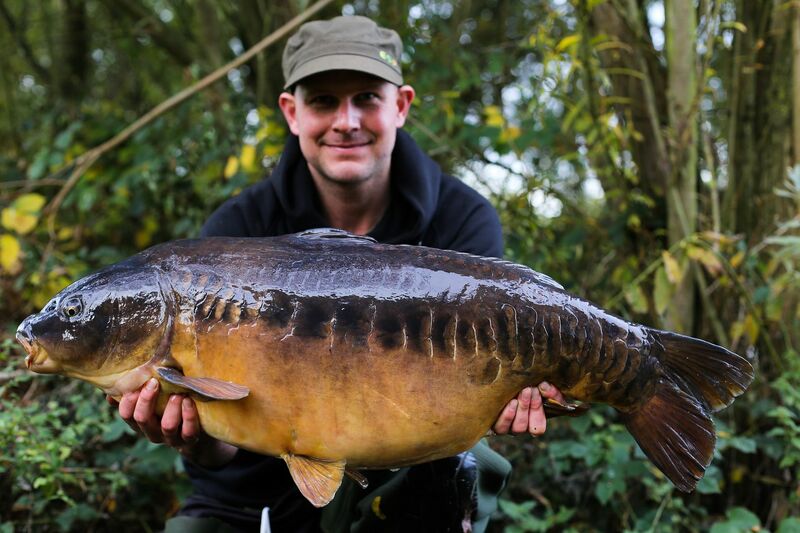 7th February Jason Dwight lands a 31lb 07oz Mirror from Mallard. 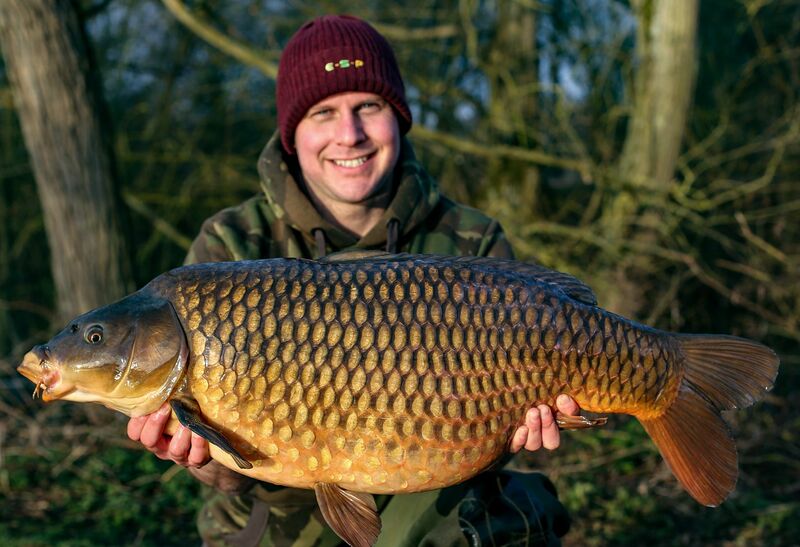 6th February Kieran Boyd lands a 35lb 08oz common from Sandmartin. 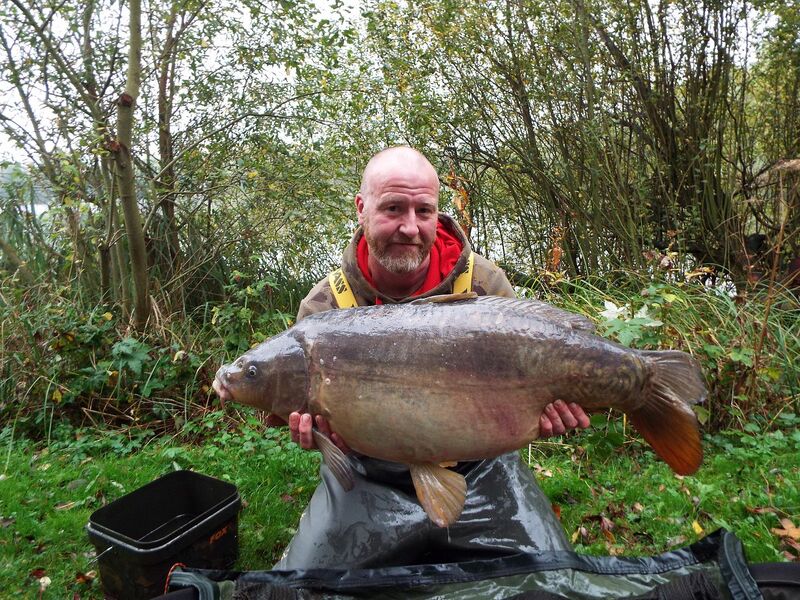 4th Ferbruary Paul Talbot lands 3 fish to 38lb 02oz from Swan Lake. 31st December Lukasz Wijata land a 48lb Common, a 3lb 05oz Mirror and a 29lb Mirror from Swan Lake. Mallard will be closed for a match from 12 noon Friday 11th December until 4pm Sunday 13th December. 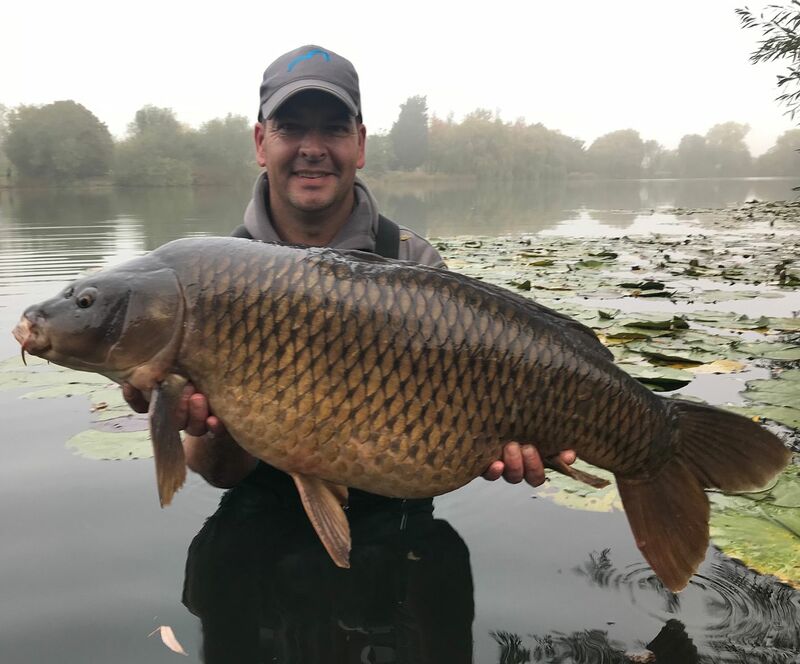 20th September Chris Morton lands a 30lb 03oz Common from Mallard Lake, His second 30 from the lake this season fishing a day at a time. 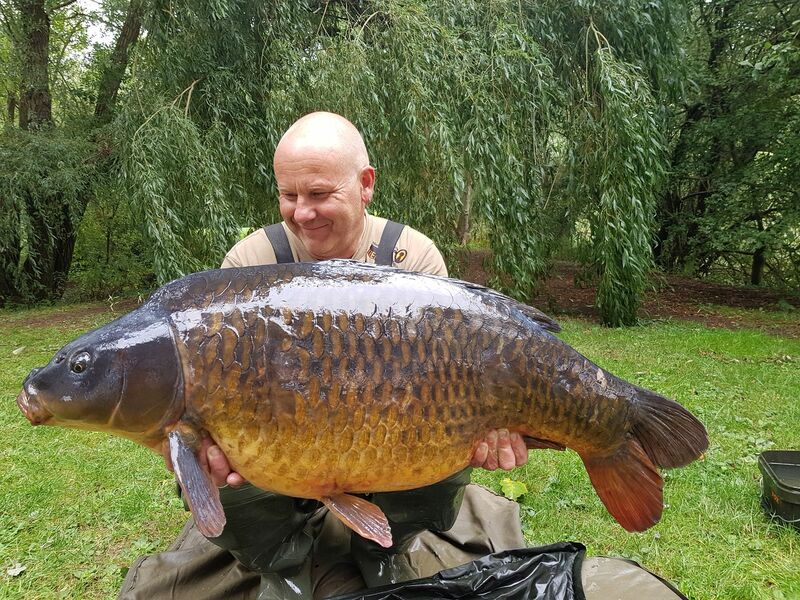 23rd August Terry Fitzgerald lands a 43lb 07oz Common, 41lb 08oz Common and a 34lb Mirror from Kingfisher Lake. 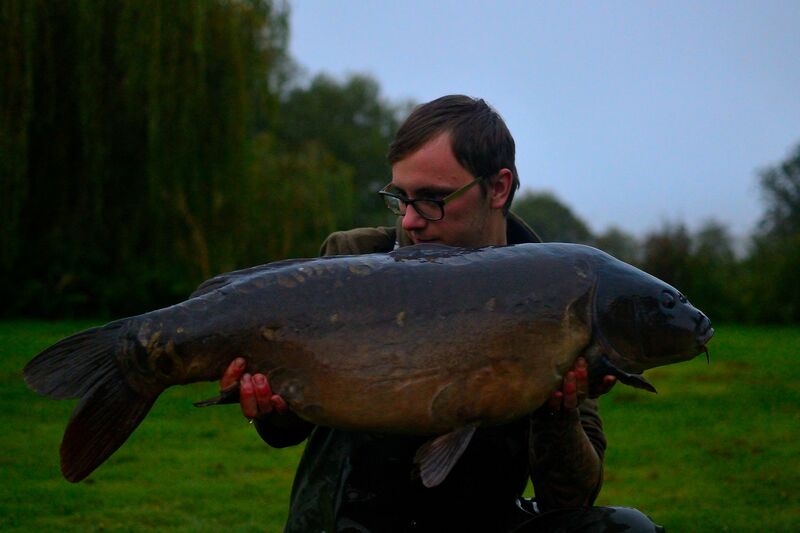 9th August Sid Wells Lands 4 Carp to 25lb 04oz from Sandmartin on a day session. 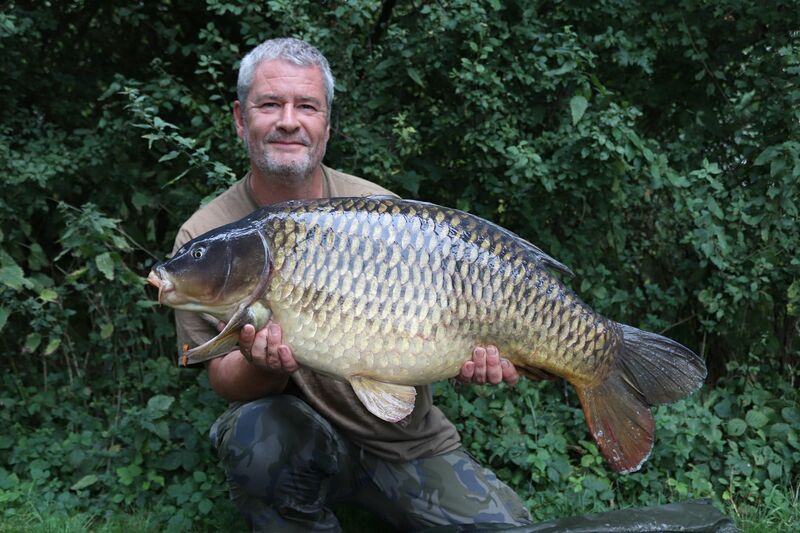 3rd August Mark Hopkins Lands a 35lb 01oz, 34lb 03oz, 32lb and a 27lb Common from Mallard Lake. 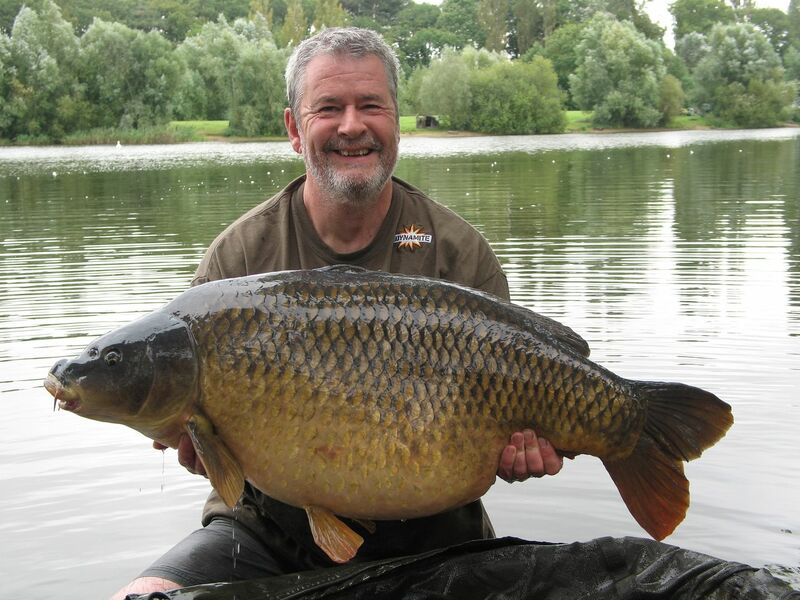 17th July Tony Gibson lands a 42lb Common from Swan Lake. 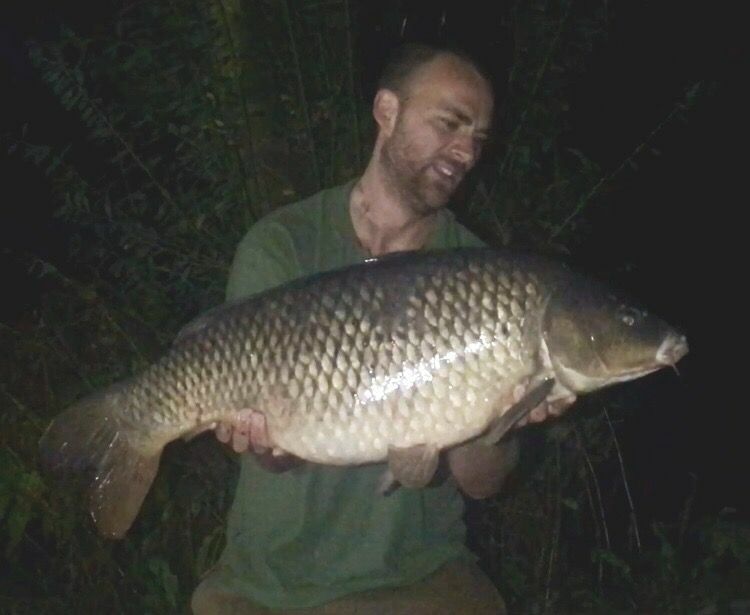 17th July Adi White lands a 31lb Common from Kingfisher Lake. 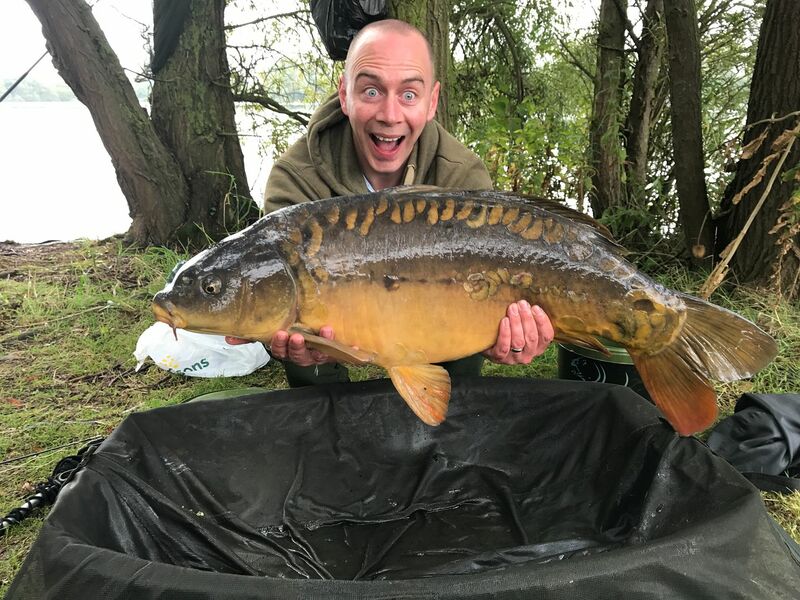 15th July Unknown Angler lands a 30lb+ Carp from Kingfisher Lake. 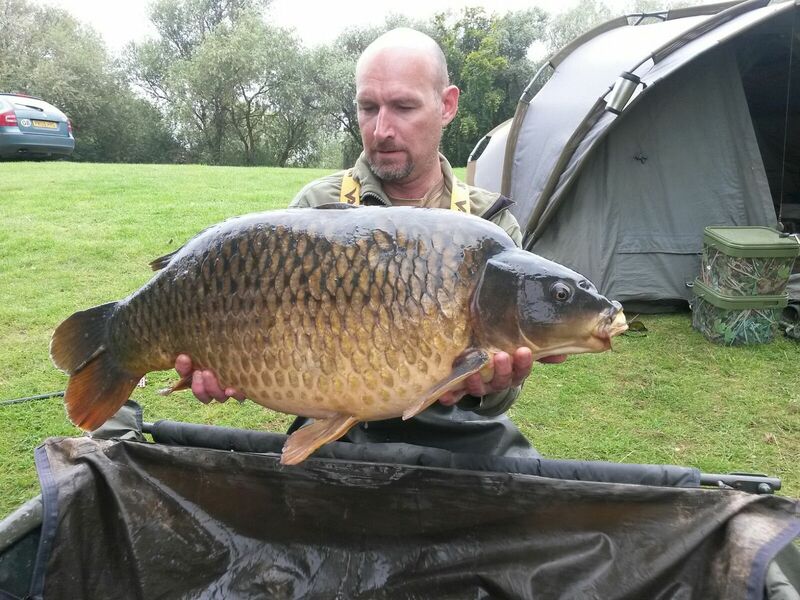 14th July Lee Smith lands a 30lb 08oz Common from Kingfisher Lake. 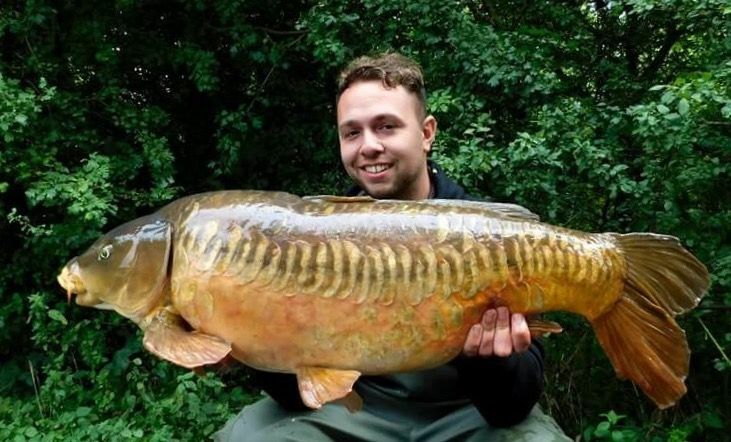 12th July Corey Moore lands a 50lb+ Mirror from Swan Lake. 12th July Gary Spence lands a 52lb 12oz Mirror and a 35lb Common from Swan Lake. 12th July Gary Delvin land 3 fish from Kingfisher, 30lb 10oz Mirror, 31lb 09oz Common and a 20lb Common. 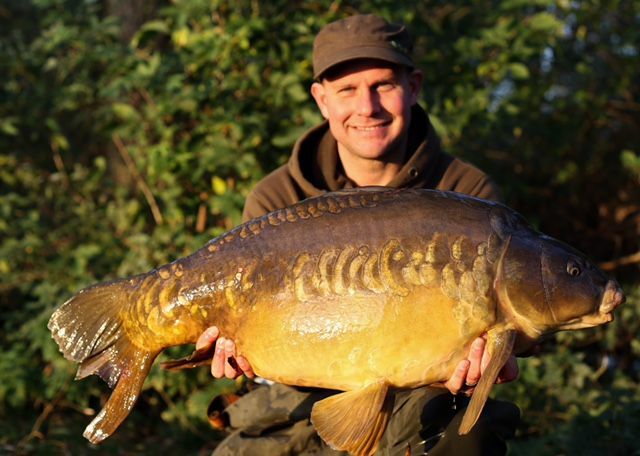 11th July Scott Maslen lands a 32lb Mirror from Swan Lake. 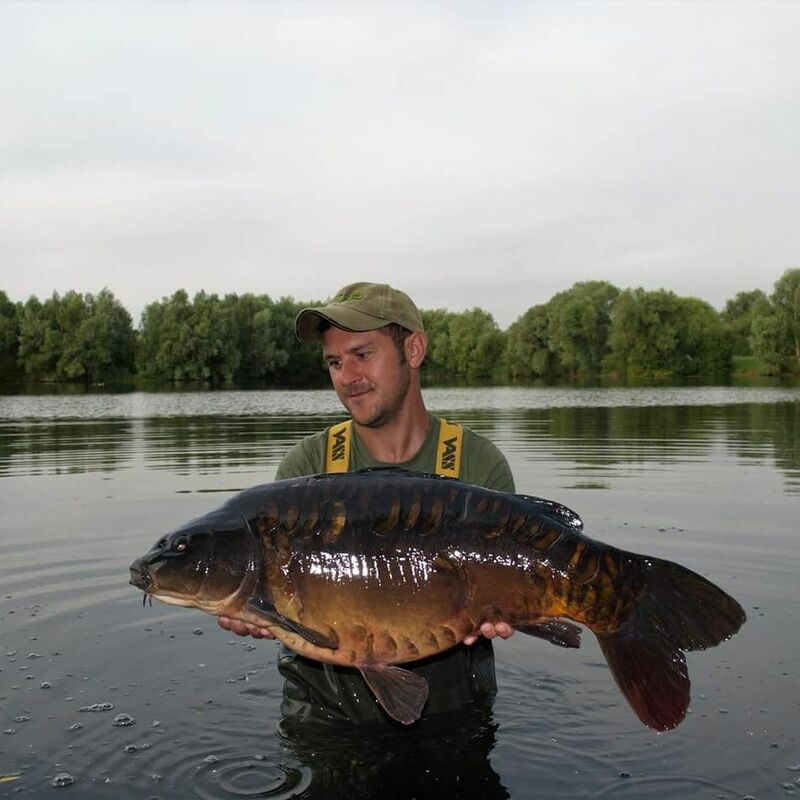 11th July Steven Gainsborough lands a 32lb 12oz Mirror from Sandmartin Lake. 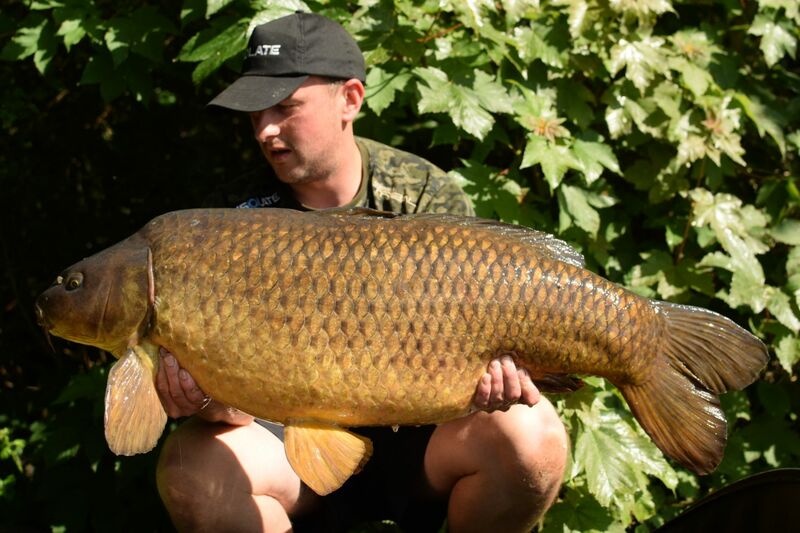 11th July Jonathon Moore lands a 34lb Common from Sandmartin Lake. 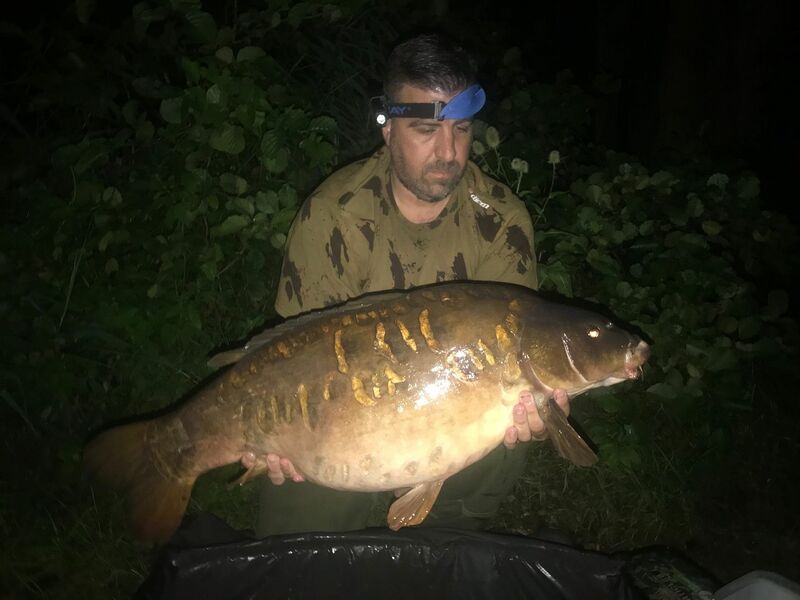 10th July Unknown Angler lands a 32lb Mirror from Mallard Lake. 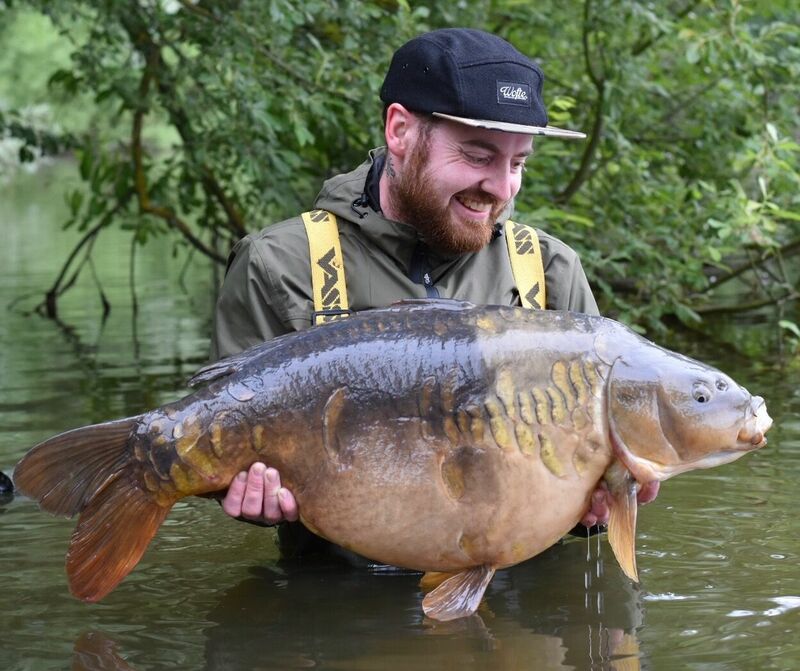 4th July Chris Lilley lands a 31lb Mirror from Kingfisher Lake. 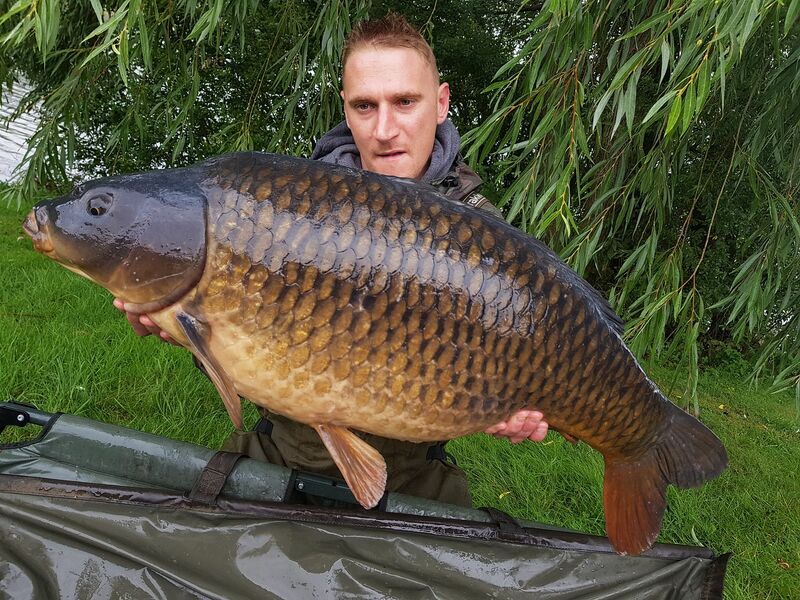 3rd July Sean lands a 38lb 08oz Common from Swan Lake. 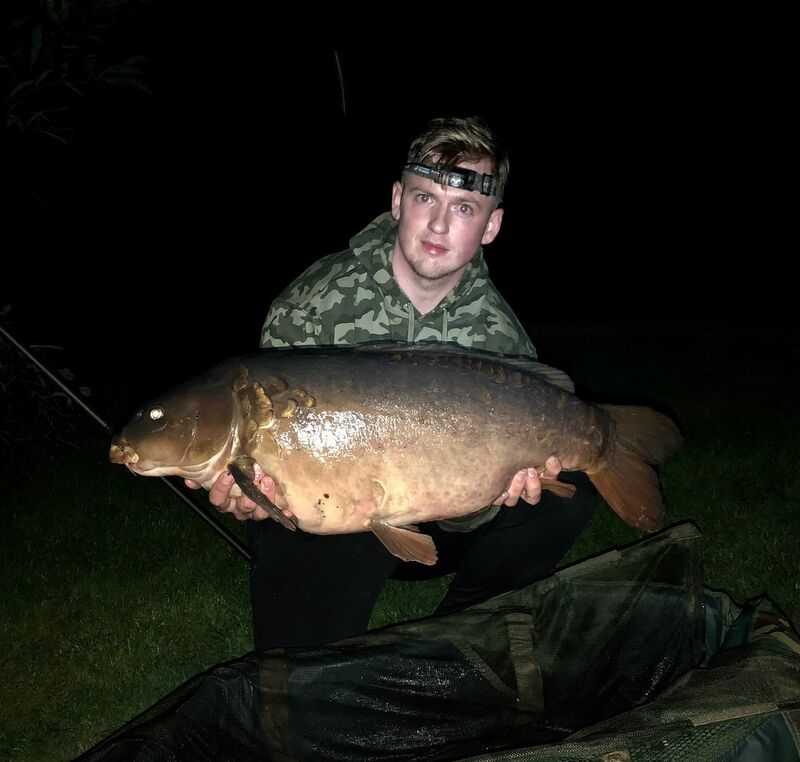 29th June Jake lands a 6 fish 3x mid 20's from Sandmartin Lake in a night session. 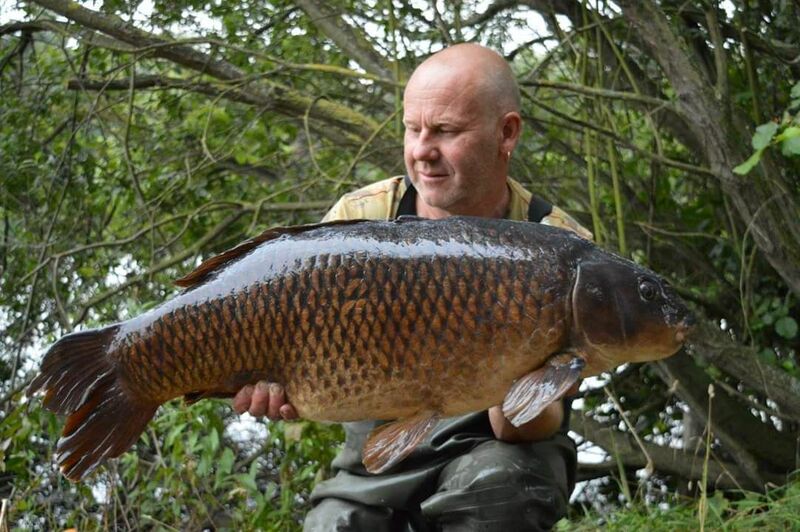 28th June Dave Charlesworth lands a 31lb 08oz Common from Mallard Lake. 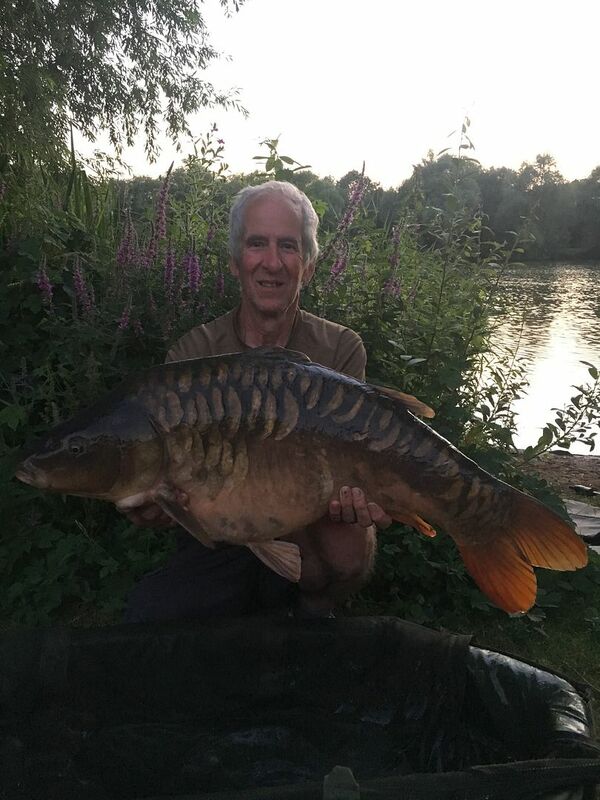 25th June Guy Warwick lands a 32lb 12oz Linear from Swan Lake. 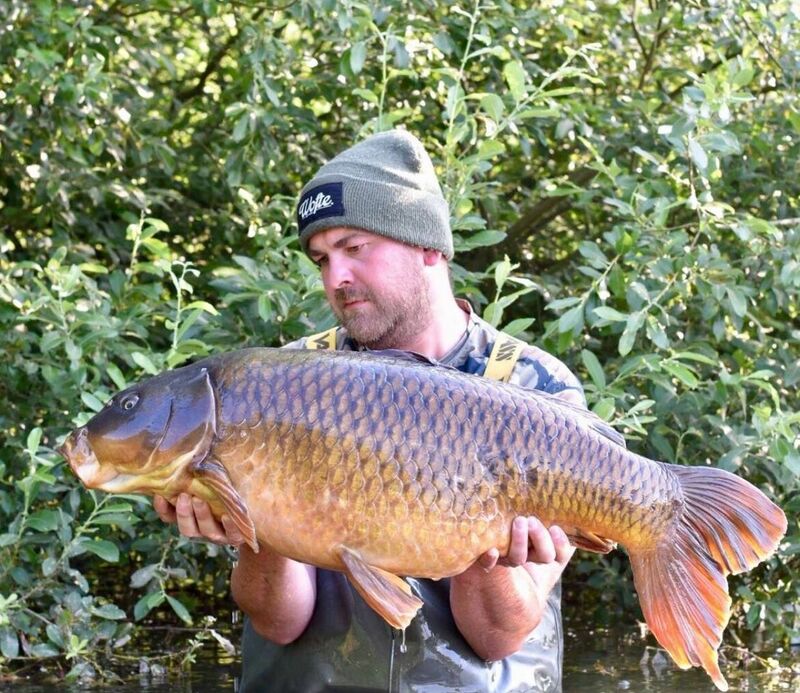 24th June Name Unknown lands a 32lb 08oz Common from Kingfisher Lake. 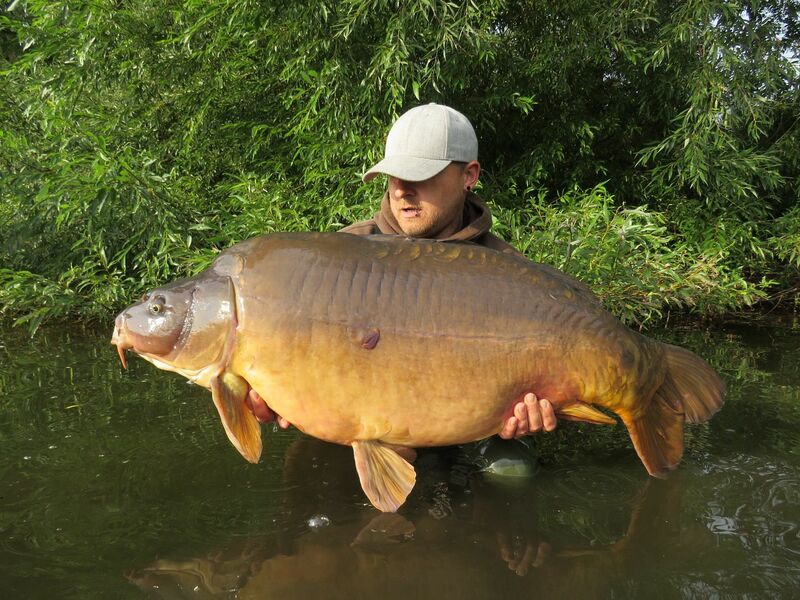 24th June Adi White lands a 40lb 04oz Mirror from Kingfisher Lake. 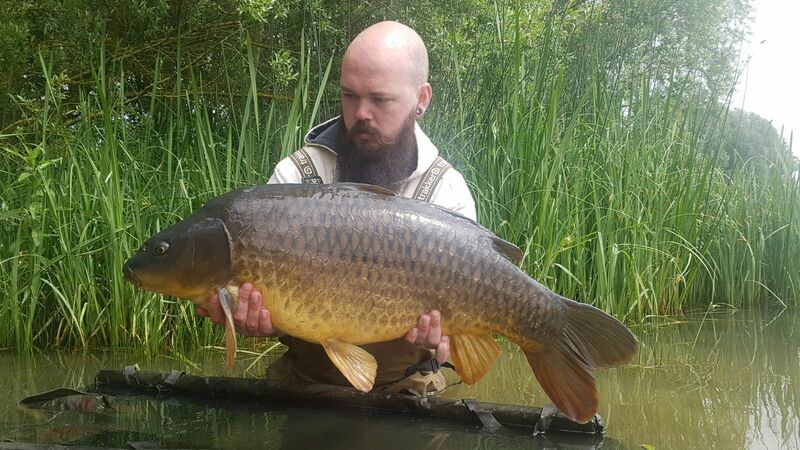 23rd June Jarred lands a 37lb Common from Swan Lake. 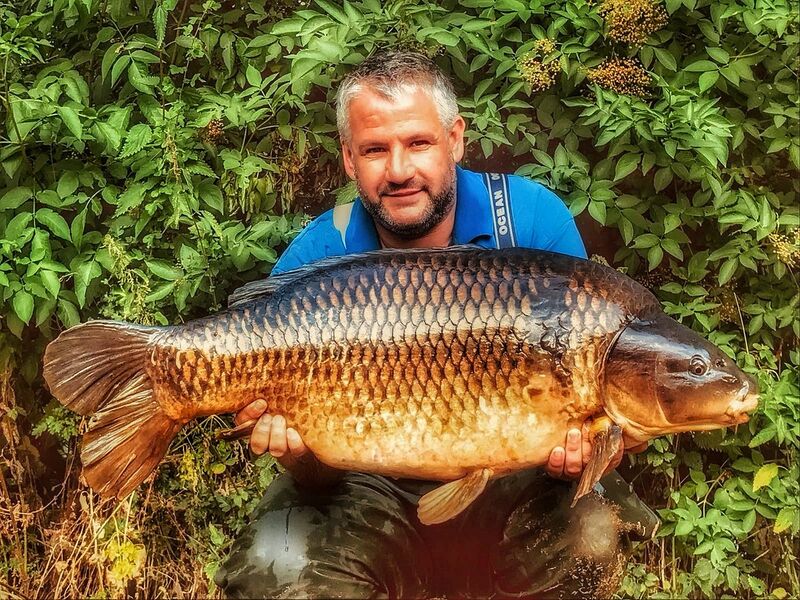 23rd June Gareth Compton lands a 45lb 08oz Common from Swan Lake. 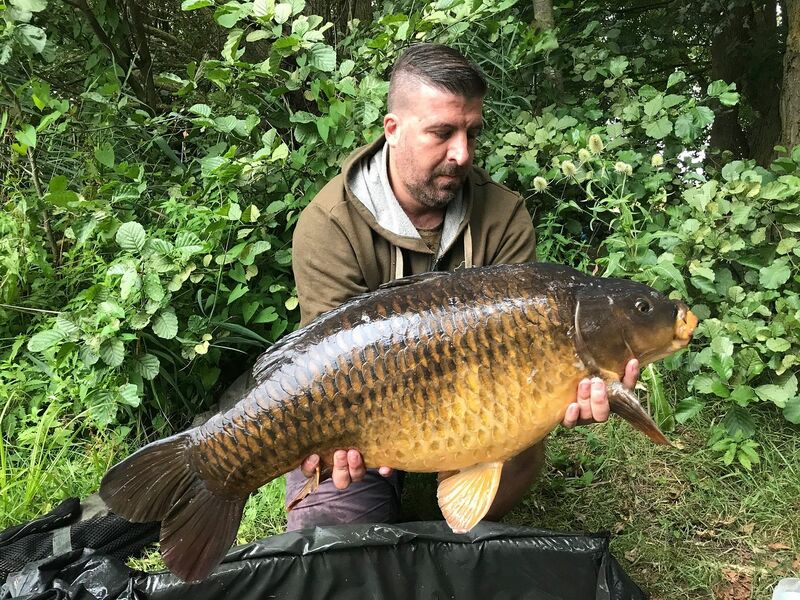 21st June Name Unknown lands a 34lb 10oz Common from Sandmartin Lake. 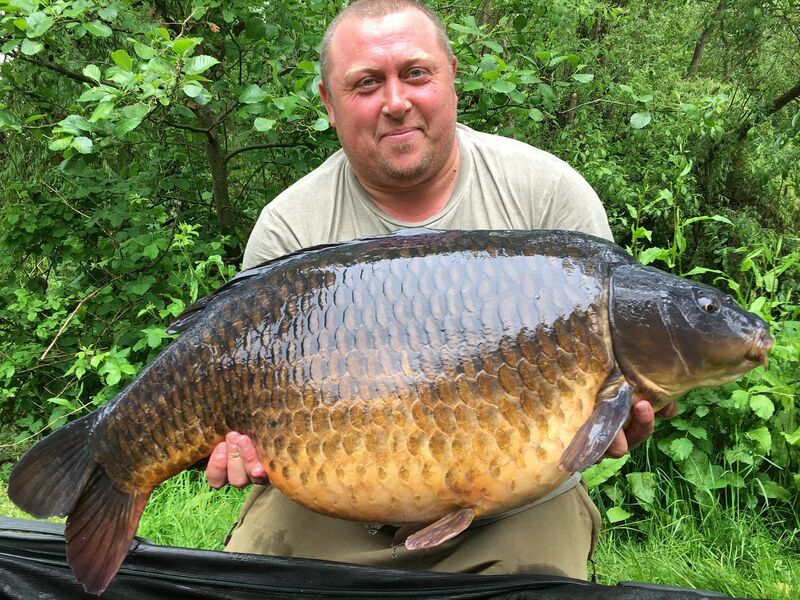 21st June Paul Fanthorpe lands a 31lb Common from Bluebell Lake. 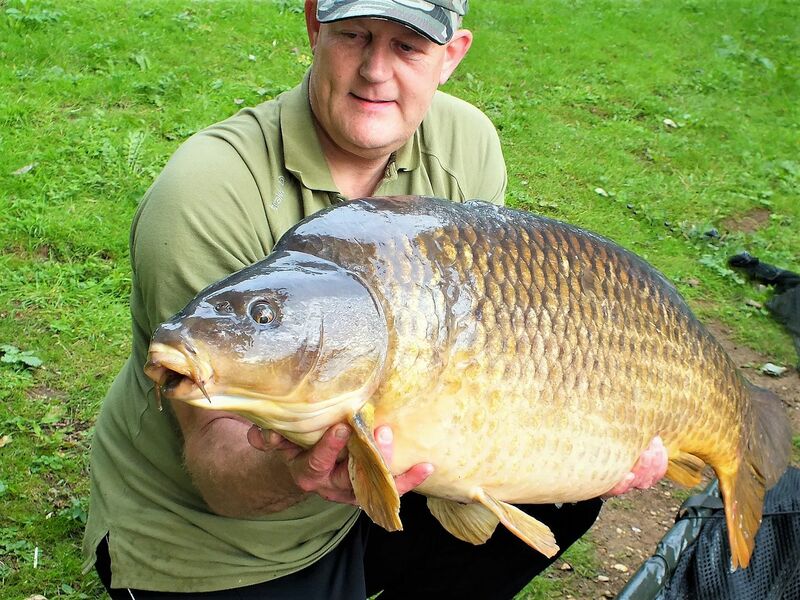 20th June Paul Fanthorpe lands a 34lb 13oz Common from Bluebell Lake. 19th June James Kirk lands a 31lb Common from Mallard Lake. 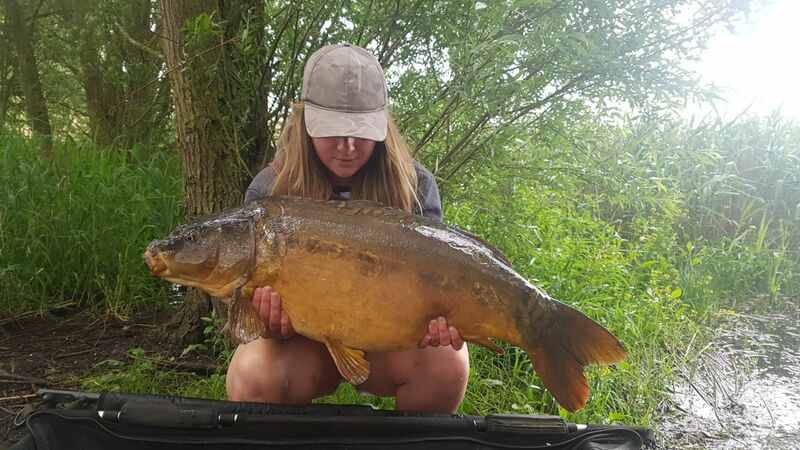 17th June Anonymous Angler lands a Mid 30 from Kingisher Lake. 16th June Ralph Leaman lands a 34lb Mirror from Kingisher Lake. 14th June Nigel Ramsbottom lands 8 Carp 3 x30's, best at 38lb from Swan Lake. 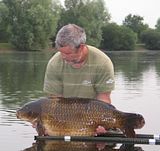 13th June Dave Jones lands a 39lb 12oz Common from Kingisher Lake. 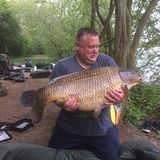 13th June Michael Lowe lands a 32lb Common from Kingisher Lake. 10th June Lee Tomkinson lands a 35lb 08oz Common from Sandmartin Lake. 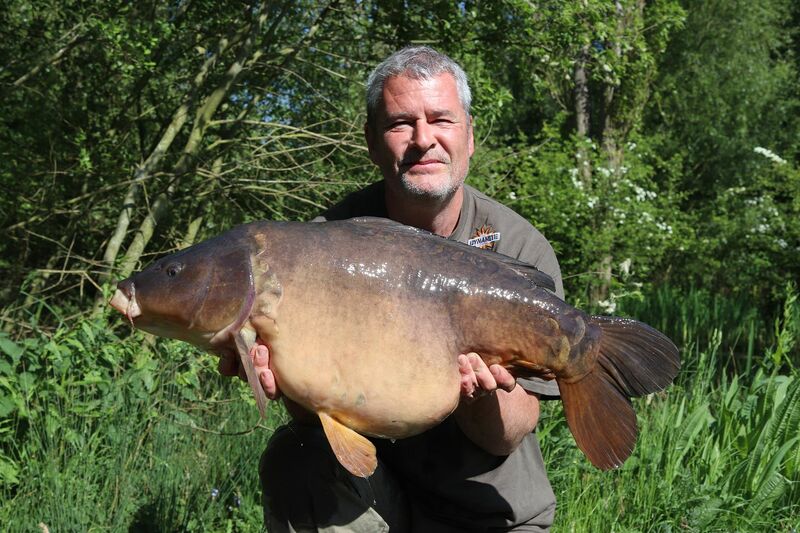 10th June Dave Wodcke lands a 30lb 08oz Mirror from Kingisher Lake. 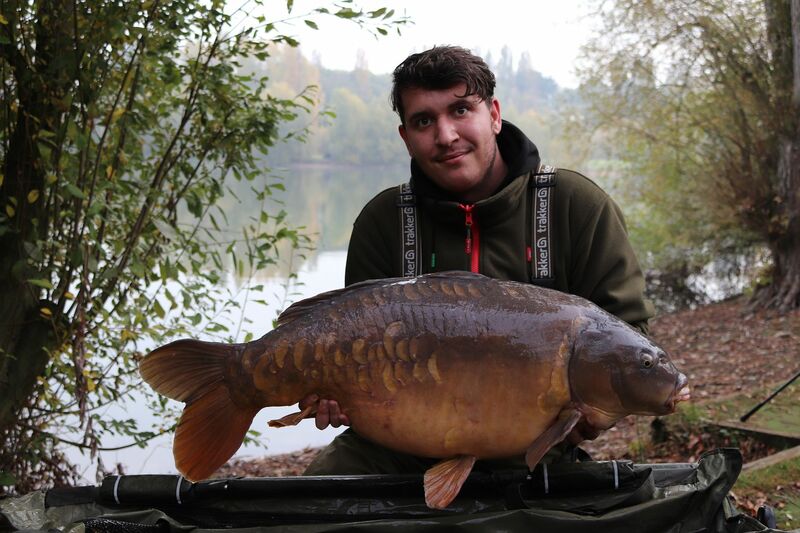 5th Shaun Grundy lands a 31lb 03oz Mirror from Kingfisher Lake. 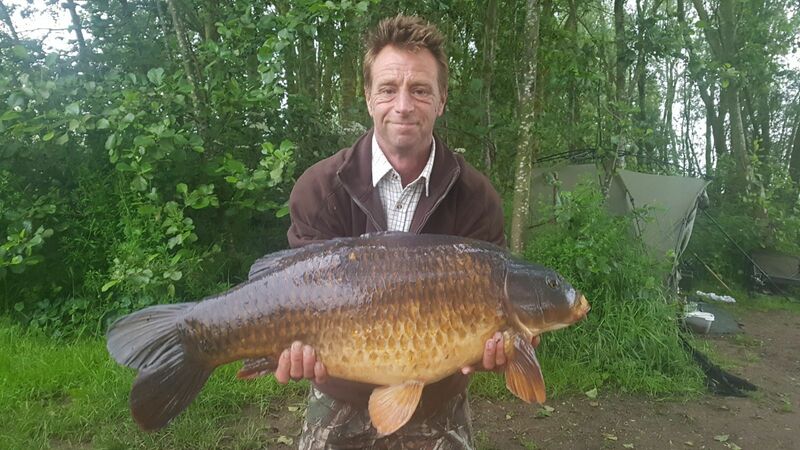 3rd June Martin Davis lands a 30lb 12oz Common from Mallard Lake. 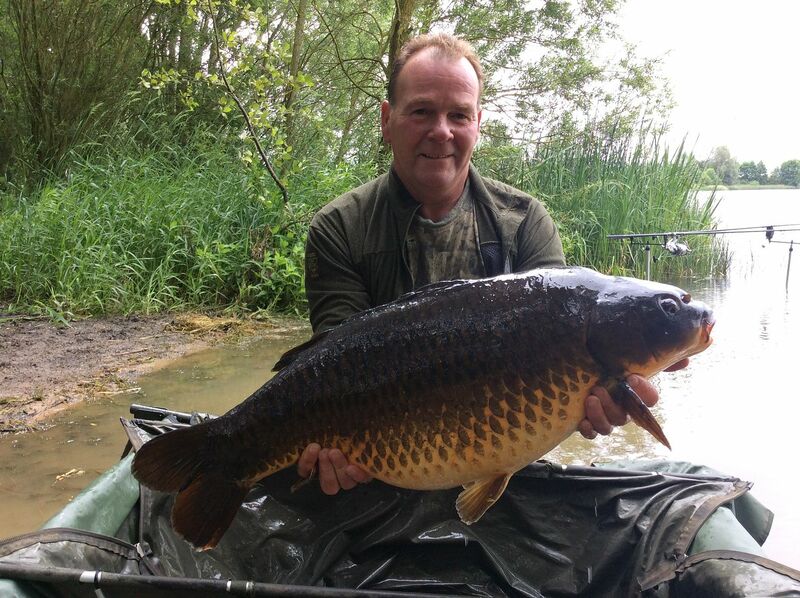 3rd June Ralph Leaman lands a 34lb 12oz Common from Kingfisher Lake. 3rd June Juraj Rovnianek lands a 52lb 15oz Mirror from Swan Lake. 3rd June Howie Lamb lands a 43lb Mirror from Swan Lake. 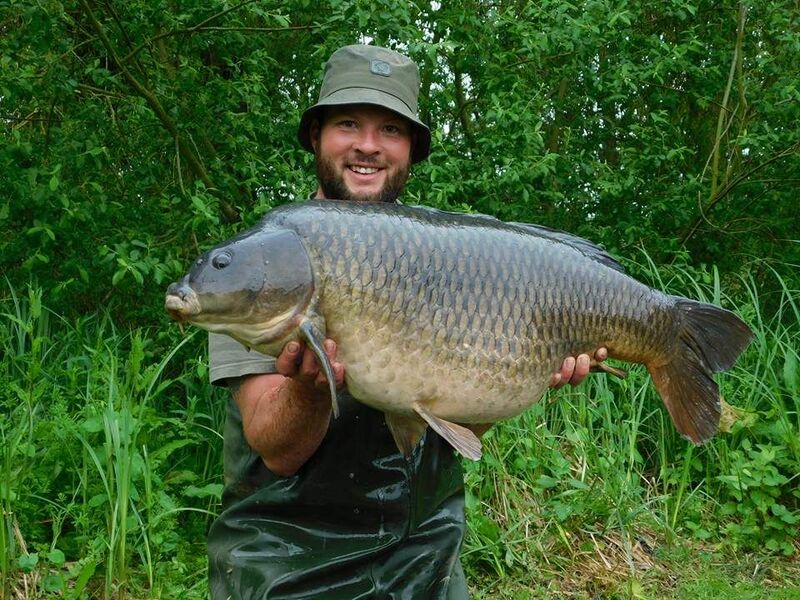 3rd June James Fox lands a 36lb 04oz Common from Bluebell Lake. 3rd June Stuart Bond Lands a 30lb 10oz Mirror from Kingfisher. 2nd June Stuart Bond Lands a 31lb 12oz Mirror from Kingfisher. 2nd June James Setchell lands a 32lb Mirror from Swan Lake. 1st June Nigel Barrows lands a 41lb Common from Kingfisher Lake. 31st May Richard Burton lands a 32lb 09oz Common from Kingfisher Lake. 31st May Paul Fanthorpe lands a 38lb 04oz Mirror from Kingfisher Lake. 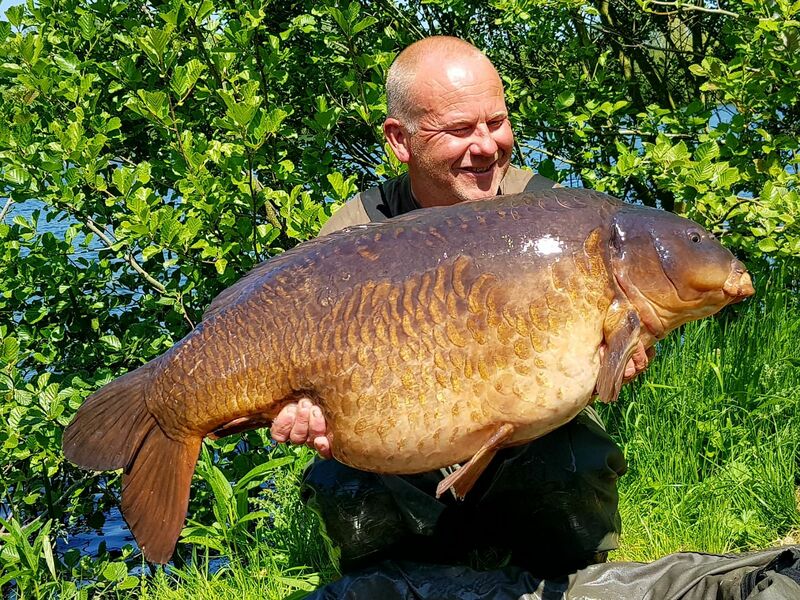 30th May Unknown Angler lands a 31lb 08oz Carp from Kingfisher Lake. 29th May Gareth Compton lands a 39lb 12oz Mirror from Kingfisher Lake. 29th May Paul Fanthorpe lands a 37lb 08oz Common from Kingfisher Lake. 28th May Chris Johnson lands a 32lb Common from Kingfisher Lake. 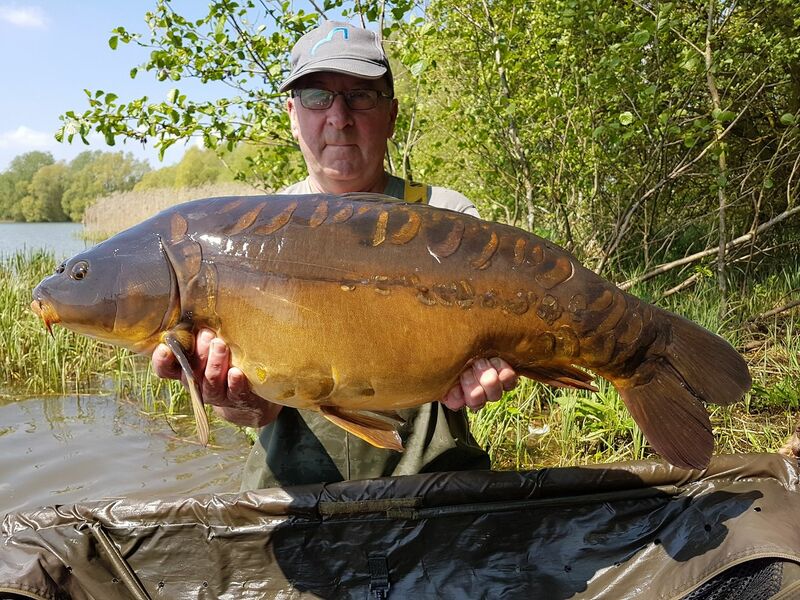 25th May Unknown Angler lands a 32lb Mirror from Sandmartin Lake. 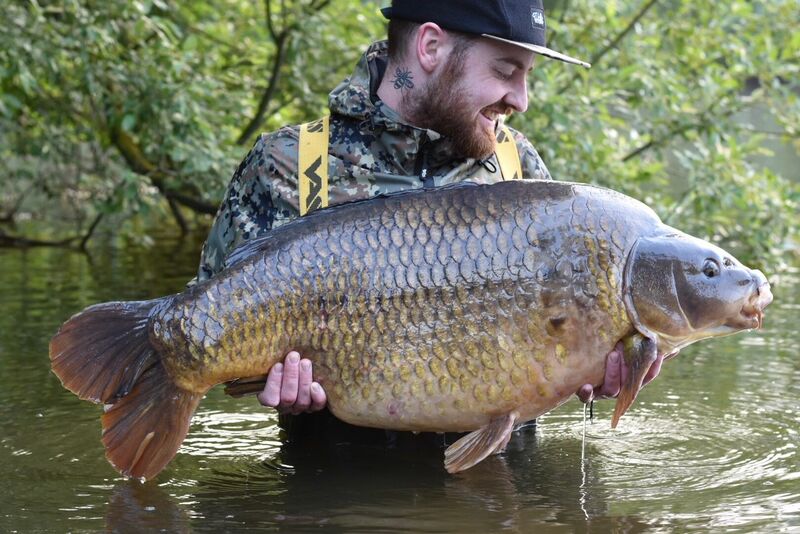 25th May Jamie Burt lands a 46lb 02oz Common from Kingfisher Lake. 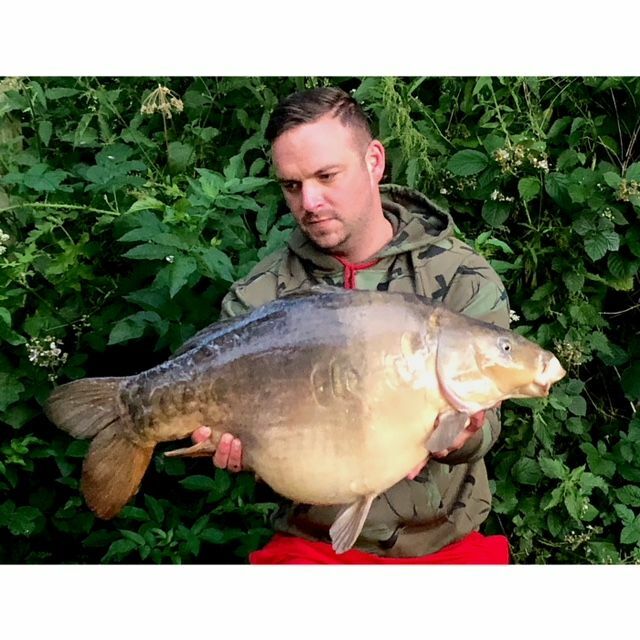 25th May Kieran Van Velzen lands a 44lb Mirror from Kingfisher Lake. 24th May Chris Pemberton lands a 31lb Mirror from Mallard. 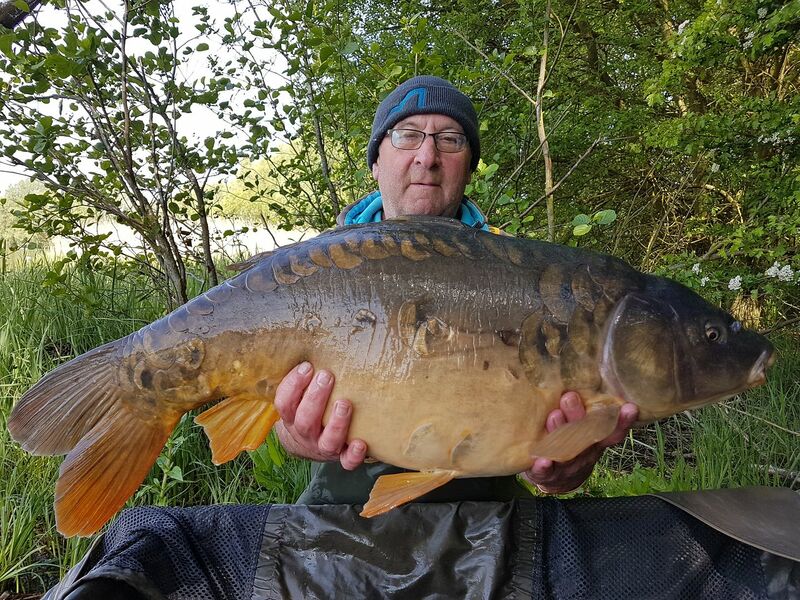 24th May Nigel Ramsbottom lands a 53lb 02oz Mirror and a 36lb 04oz Mirror from Swan Lake. 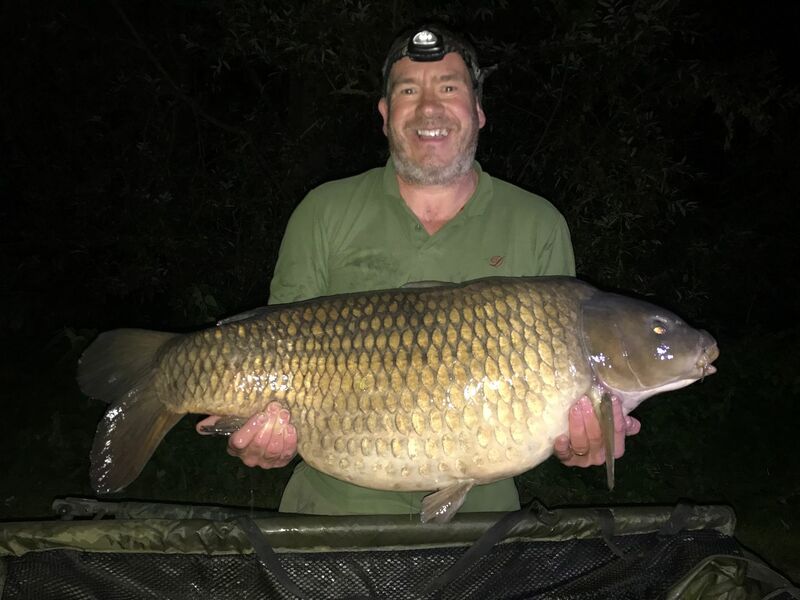 24th May Unknown Angler lands a 34lb Common from Mallard Lake. 24th May Paul Wells lands a 31lb Common from Swan Lake. 24th May Bill Scamp lands a 33lb Mirror from Swan Lake. 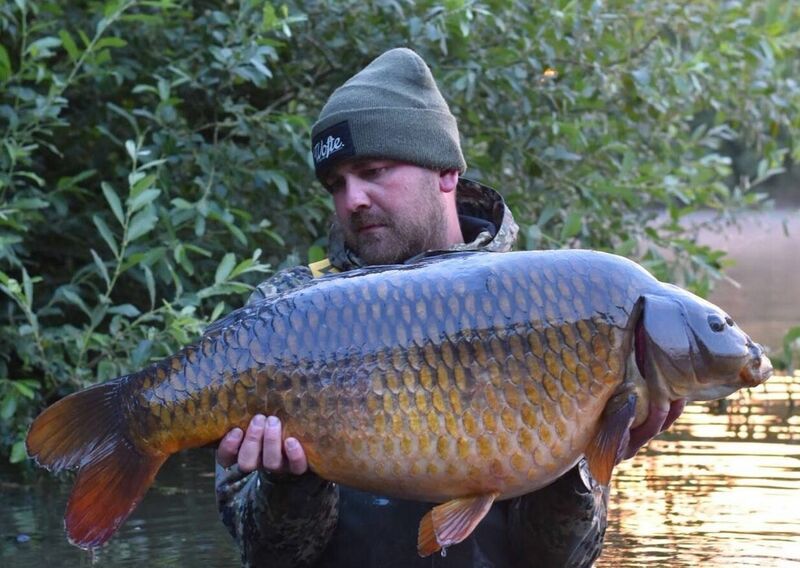 24th May Andy Schofield lands a 33lb 12oz Common from Kingfisher Lake. 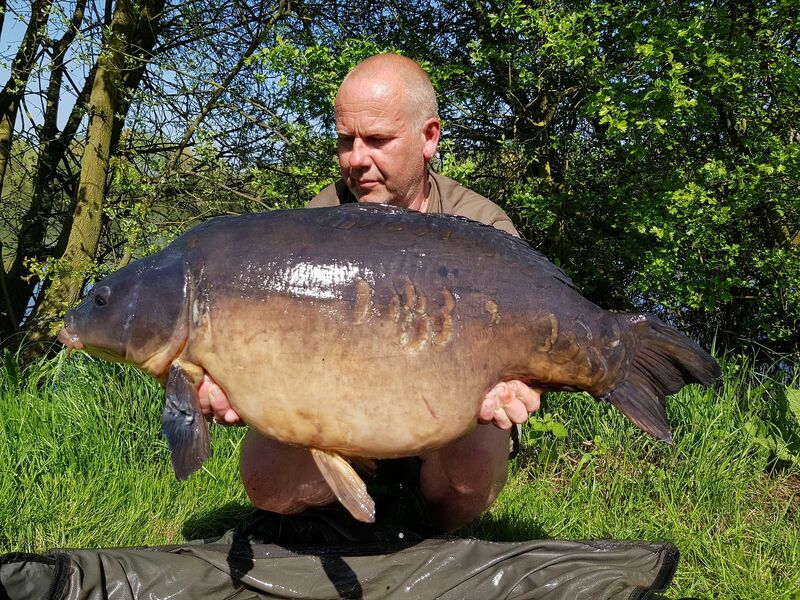 23rd May Unknown Angler lands a 32lb 08oz Mirror from Mallard Lake. 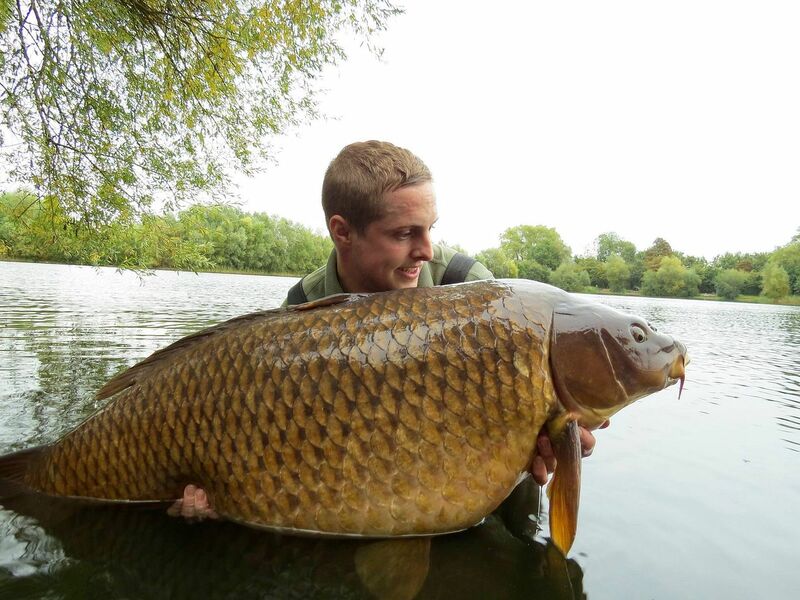 19th May Jamie Bacon lands a 42lb Common from Swan Kingfisher Lake. 19th May Jim Quartermain lands a 33lb Common and a 32lb 06oz Linear from Kingfisher Lake. 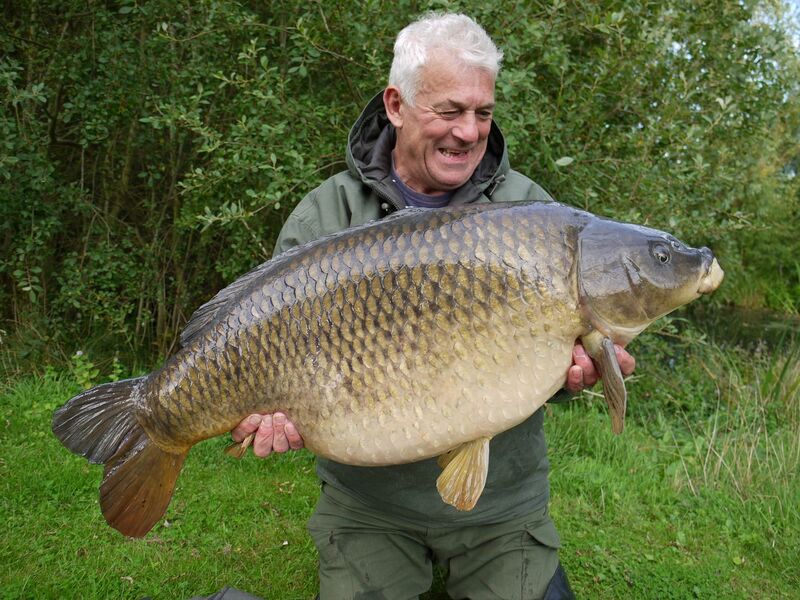 19th May Bill Scamp lands a 37lb 02oz Common from Swan Lake. 19th May Paul Wells lands a 39lb 01oz Common from Swan Lake. 19th May Nathan Price lands a 33lb 08oz and a 32lb 12oz Mirors from Swan Lake. 18th May Paul Wells lands a 31lb 01oz Common from Swan Lake. 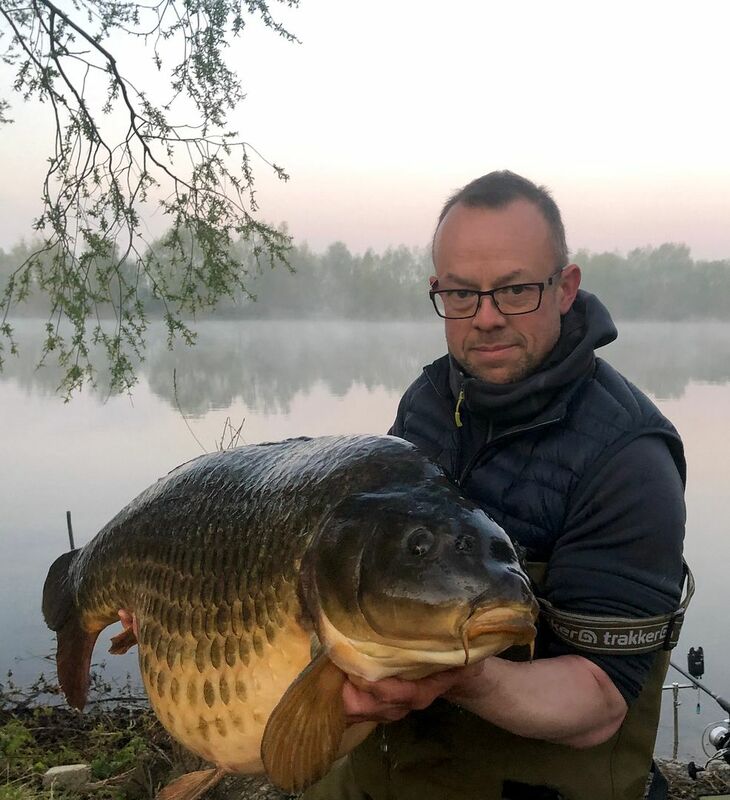 15th May Adi White lands a 41lb 10oz Mirror and a 42lb 04oz Common within 15 minutes of each other on Kingfisher Lake, to add the the 44lb 06oz Common he caught the previous week. 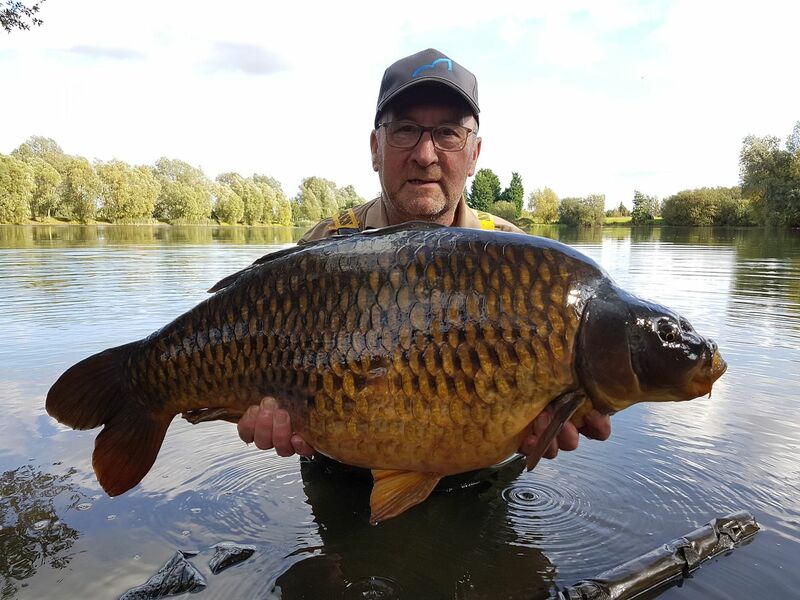 15th May Trevor Cooke lands a 43lb 03oz Common from Swan Lake. 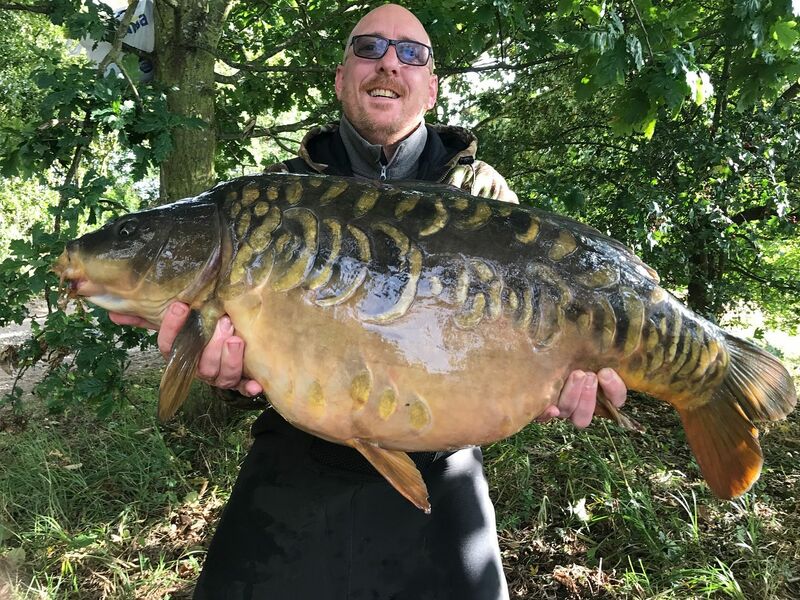 15th May Unknown Angler lands a 36lb Mirror from Swan Lake. 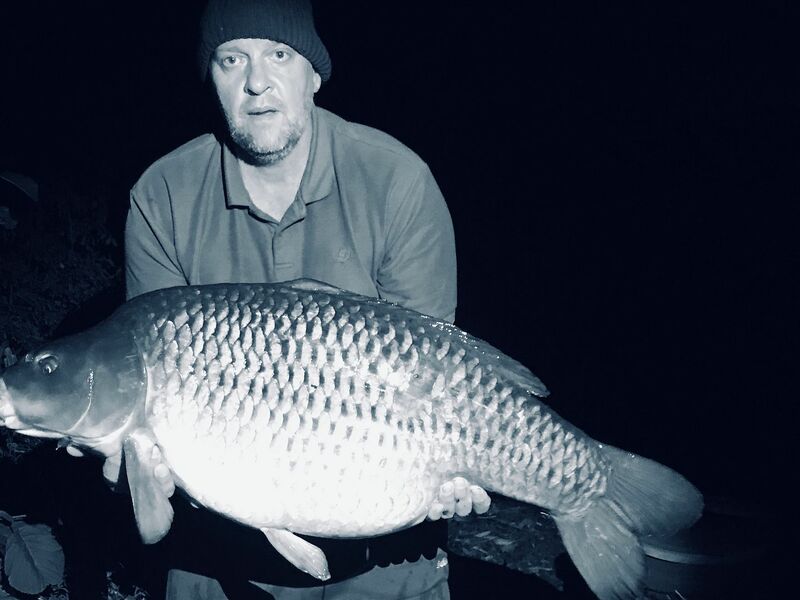 13th May John Wilkins lands a 36lb Common from Swan Lake. 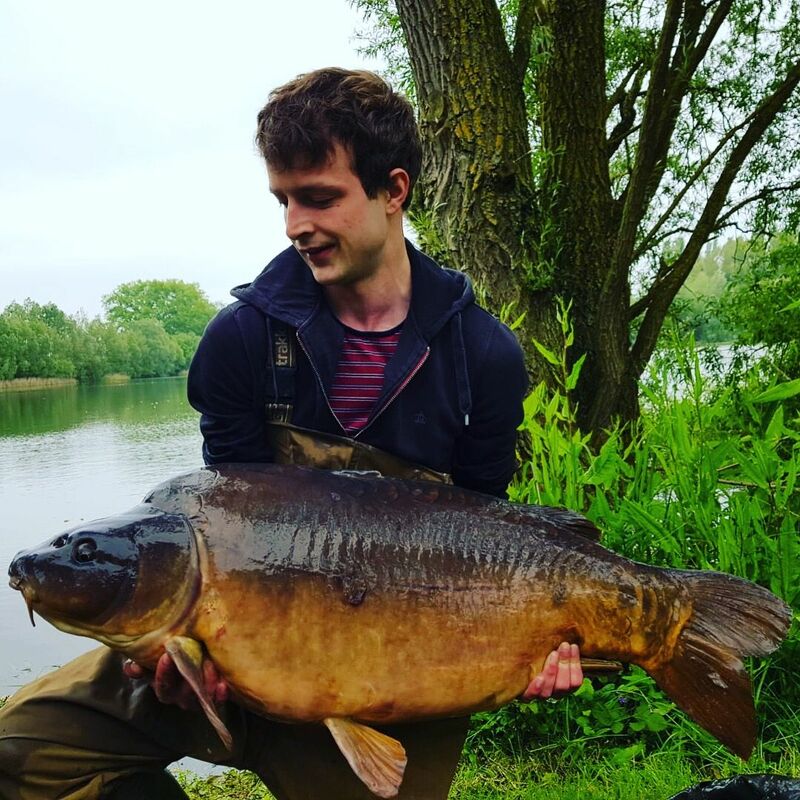 10th May Ben Jarvis lands a 32lb Mirror from Mallard on a day session. 10th May Gavin Grimshaw lands a 32lb Mirror from Sandmartin Lake. 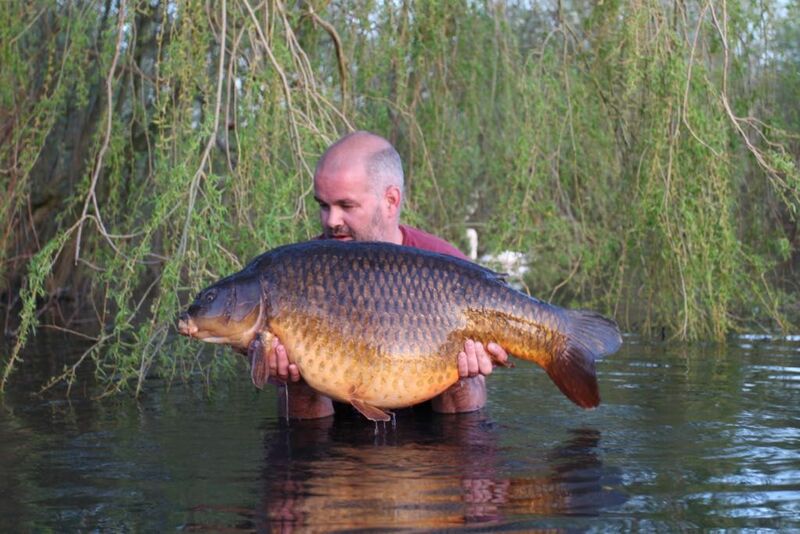 9th May Kev Taylor lands a 42lb Common from Kingfisher Lake. 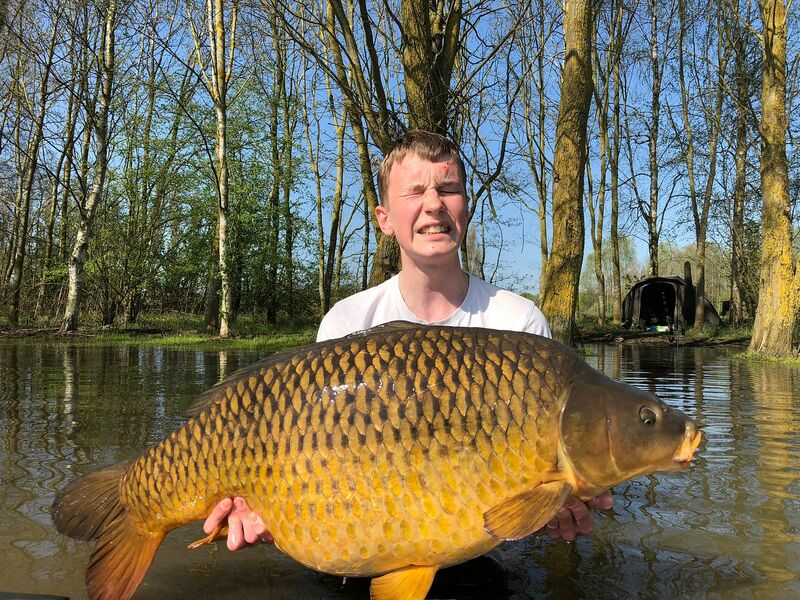 8th May Alex lands a 30lb Common from Sandmartin Lake. 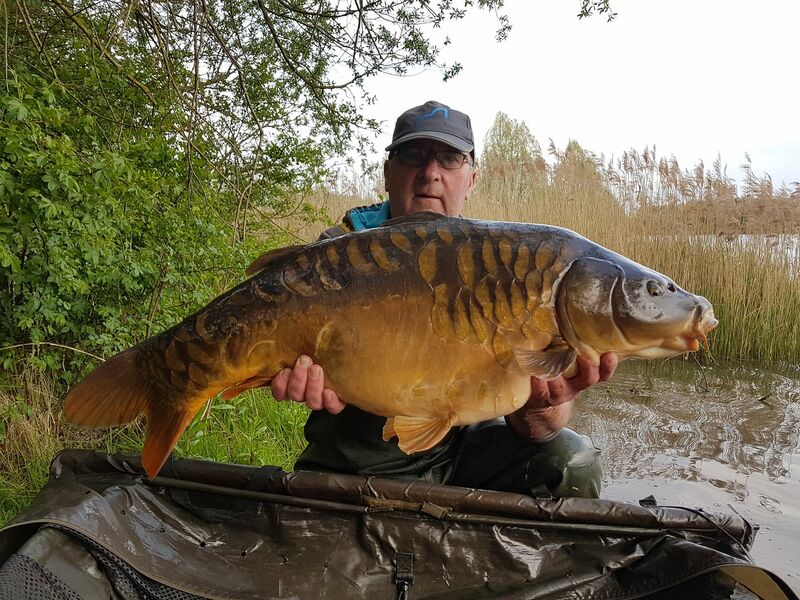 8th May Anon lands a 32lb 04oz Carp from Mallard Lake. 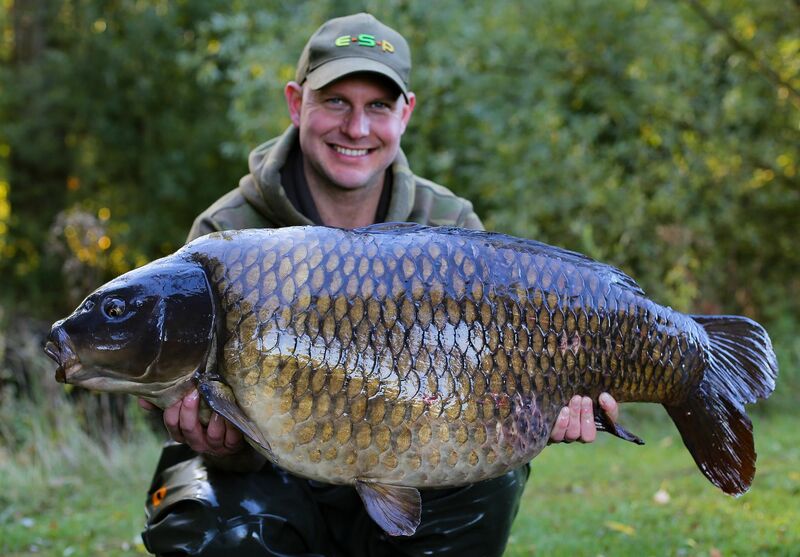 6th - 7th May Wes Fletcher lands a 42lb 06oz Common, 35lb 11oz Common and a 32lb 06oz Common from Kingfisher Lake. 5th May Gavin Smith lands a 31lb 08oz Mirror from Swan Lake. 5th May Dave Ostapuik lands a 30lb Common from Mallard Lake. 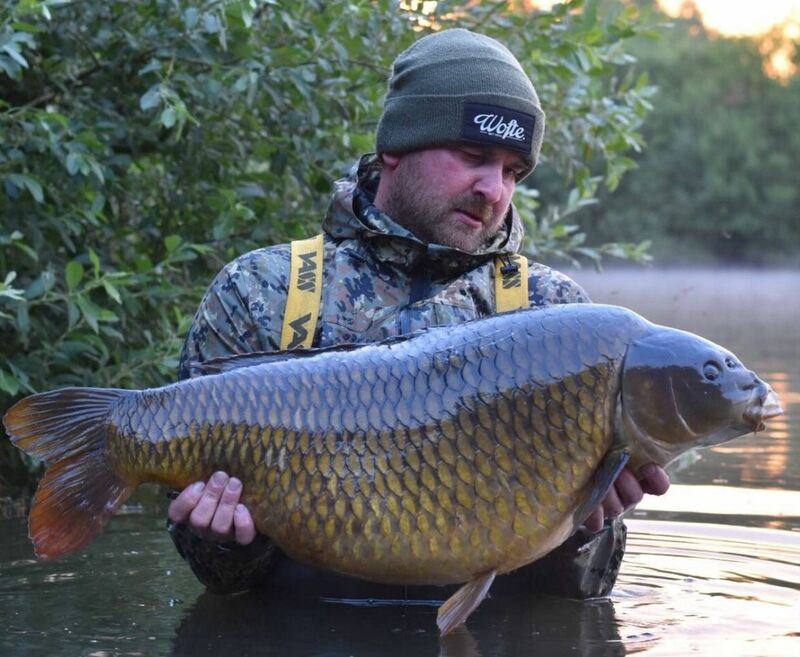 5th May Nick Page lands a 34lb 09oz Common from Kingfisher Lake. 5th May Sean Buck lands a 31lb 14oz Common from Mallard Lake. 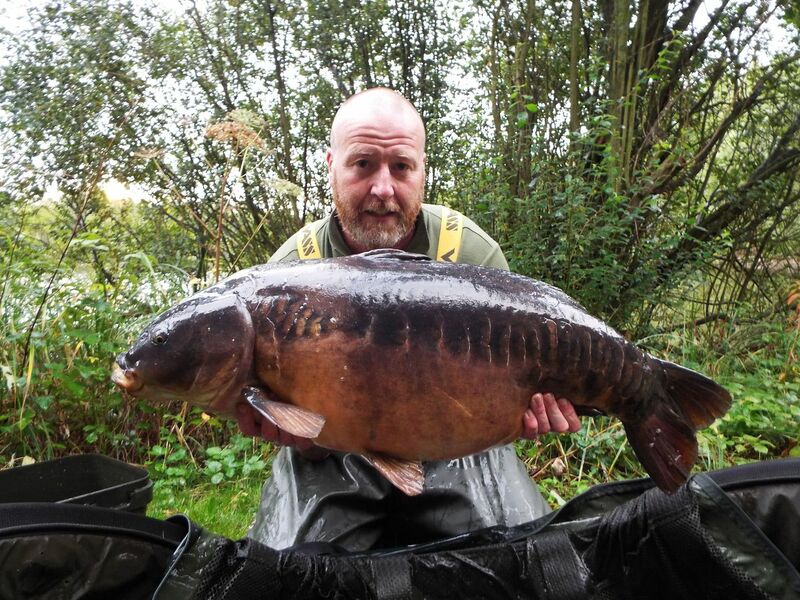 5th May Glen Wardle lands a 30lb 02oz Mirror from Swan Lake. 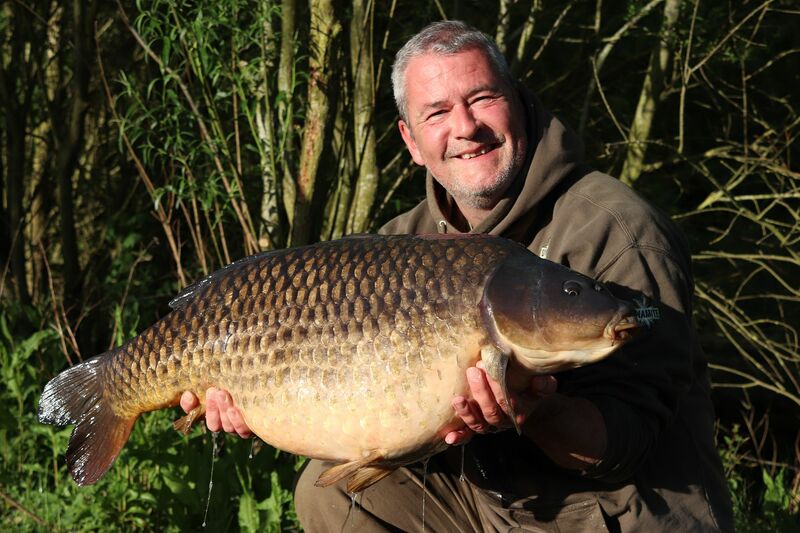 5th May Ian Thrower lands a 30lb 02oz Common from Mallard Lake. 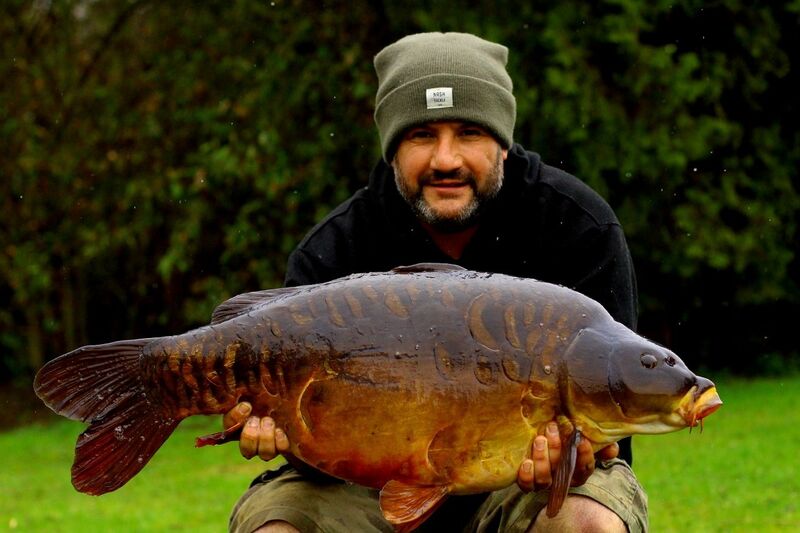 4th May Dave Morgan lands 9 Carp to 26lb 03oz, 5 being 20's from Mallard Lake. 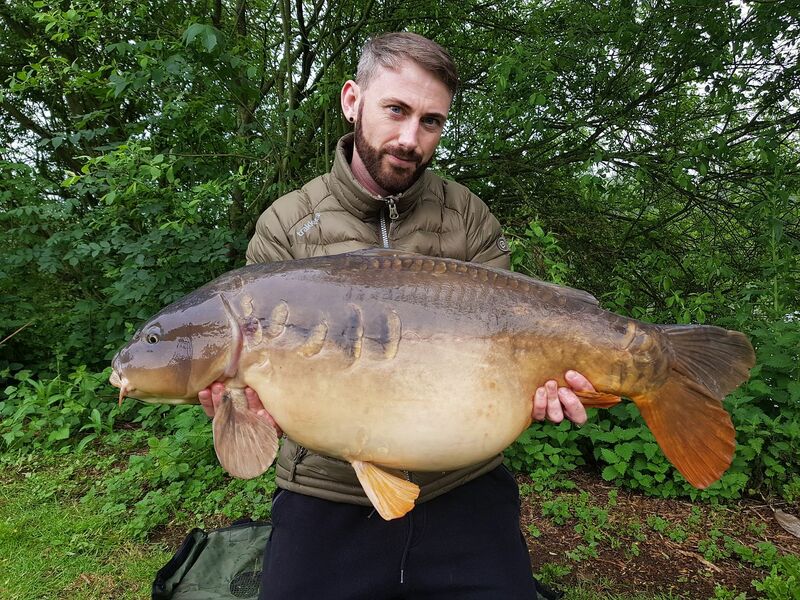 3rd May Daniel Hollingworth lands a 31lb Mirror from Kingfisher Lake. 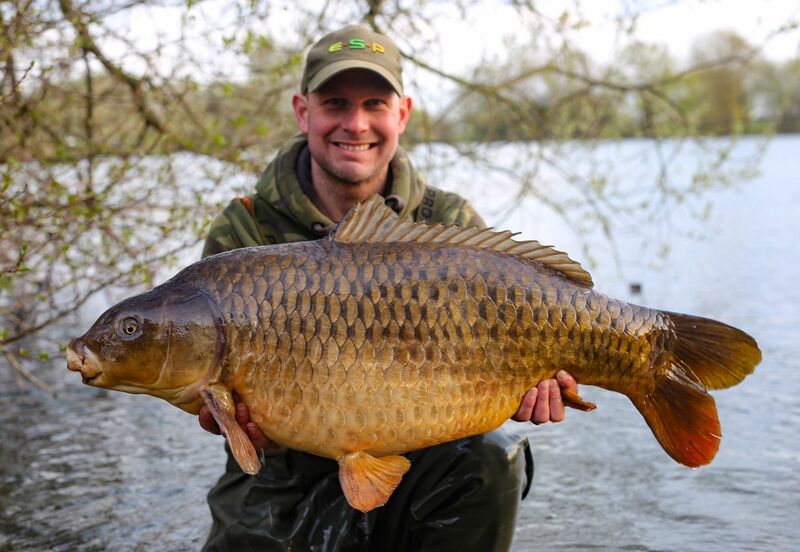 30th April Sean Bown lands a 33lb Common from Kingfisher Lake. 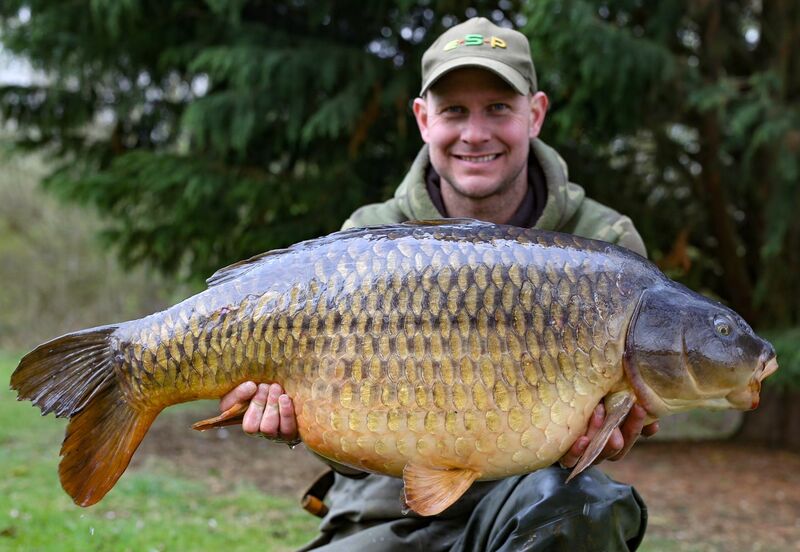 30th April Dave Ford lands a 36lb 02oz Common from Bluebell Lake. 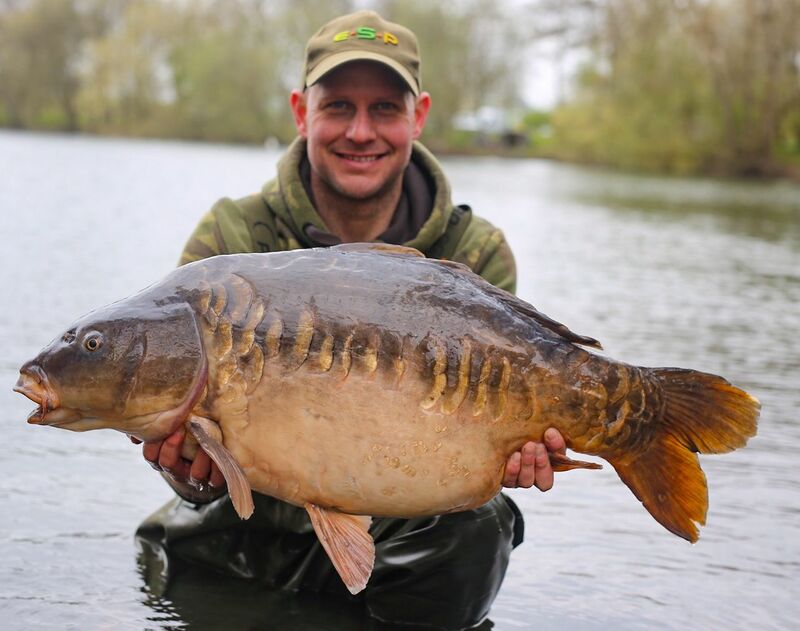 29th April Simon Clifford lands a 36lb 02oz Mirror from Swan Lake. 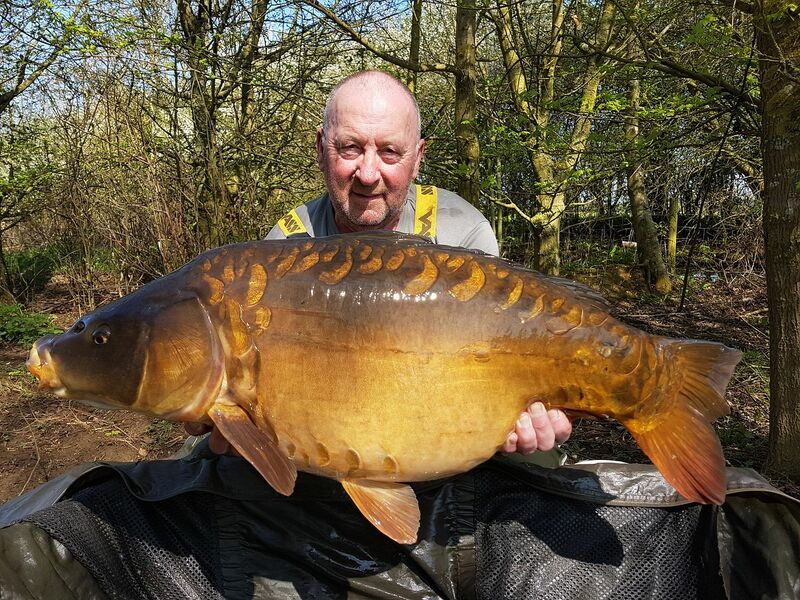 29th April Pat Jordan lands a 36lb 07oz Mirror from Swan Lake. 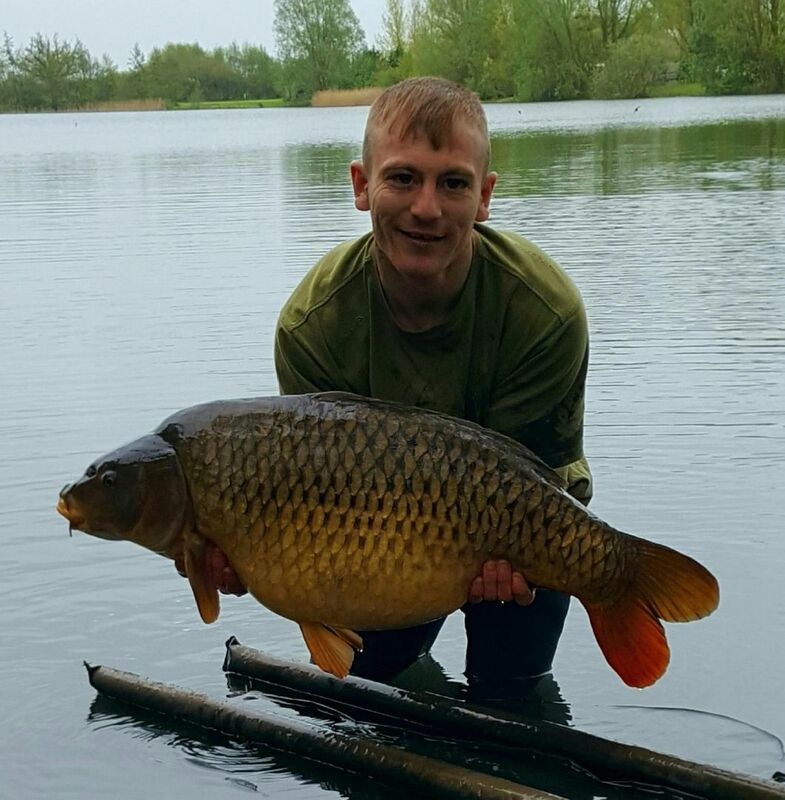 28th April Sean Bown lands a 30lb 04oz Common from Kingfisher Lake. 26th April Paul Talbot lands a 32lb 04oz Common and a 36lb 08oz Common from Kingfisher Lake. 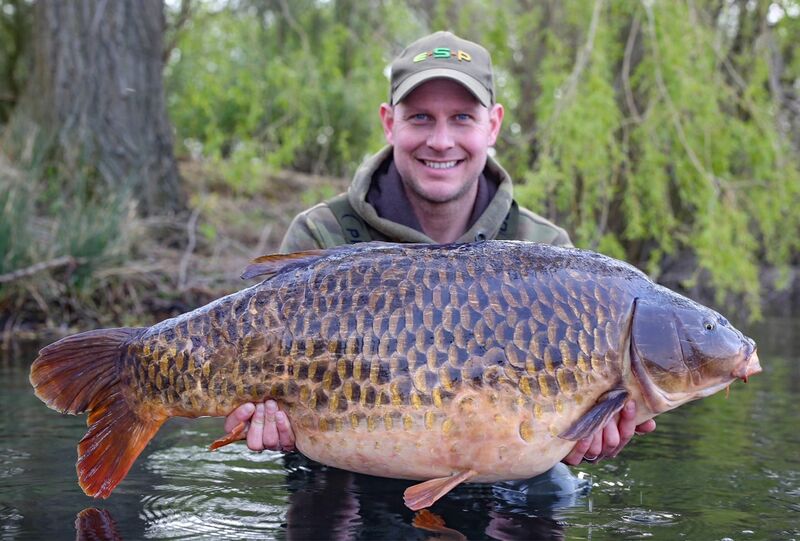 26th April Wesley Fletcher lands a 34lb 09oz Common from Kingfisher Lake. 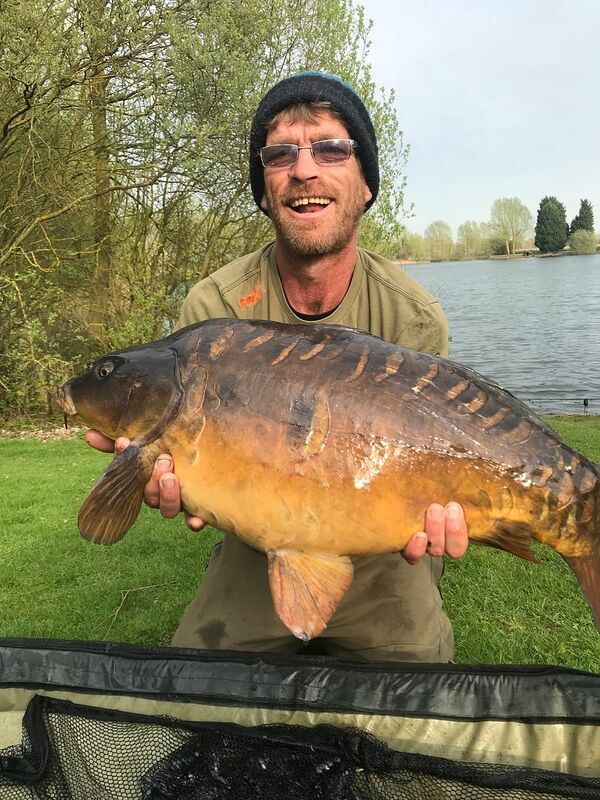 26th April Chris Morton Lands 11 fish from 2 short afternoon sessions on Mallard Lake, including a 33lb Mirror and two 20's. Fishing small patches of bait in 3 different swims right round the back. 26th April Dave Morgan lands 6 fish to 24lb 12oz on Mallard Lake. 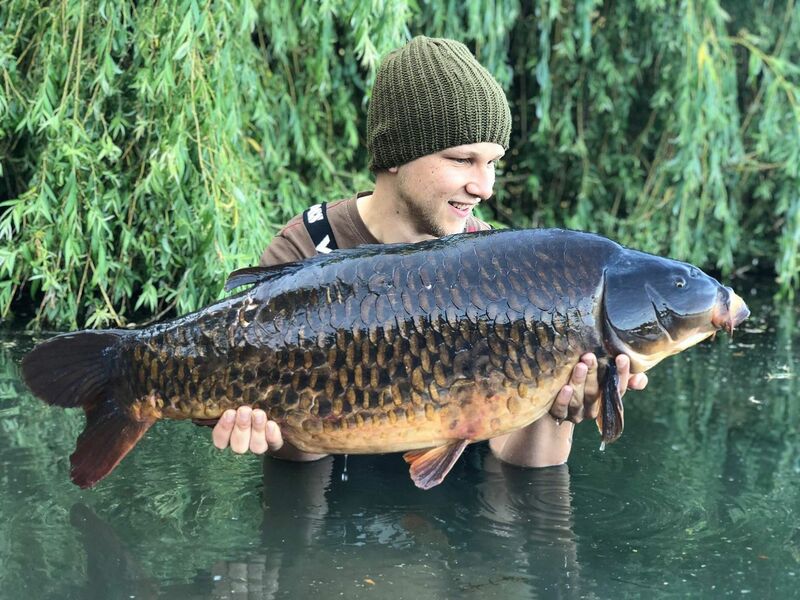 26th April Reece Carpenter lands a 32lb 12oz Common from Sandmartin Lake on an overnight session, it fell to responsive baits pineapple and n-butric pop up fished on a short chod rig. 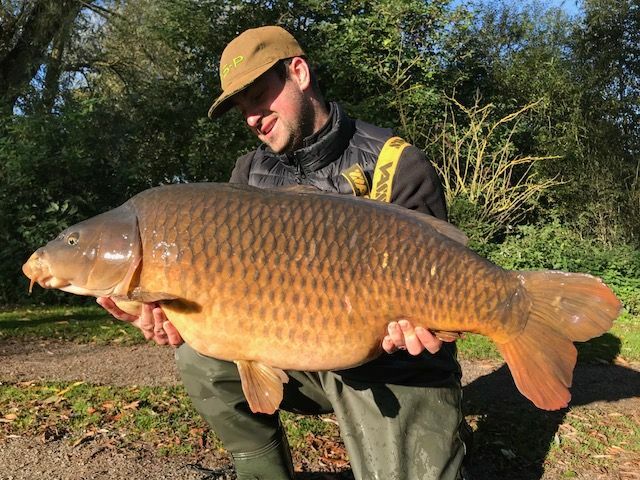 25th April Luke Depear lands a 38lb 08oz Common from Kingfisher Lake fishing two rod lengths out on the lock bank, using essential lb and a scattering of cell boilies. 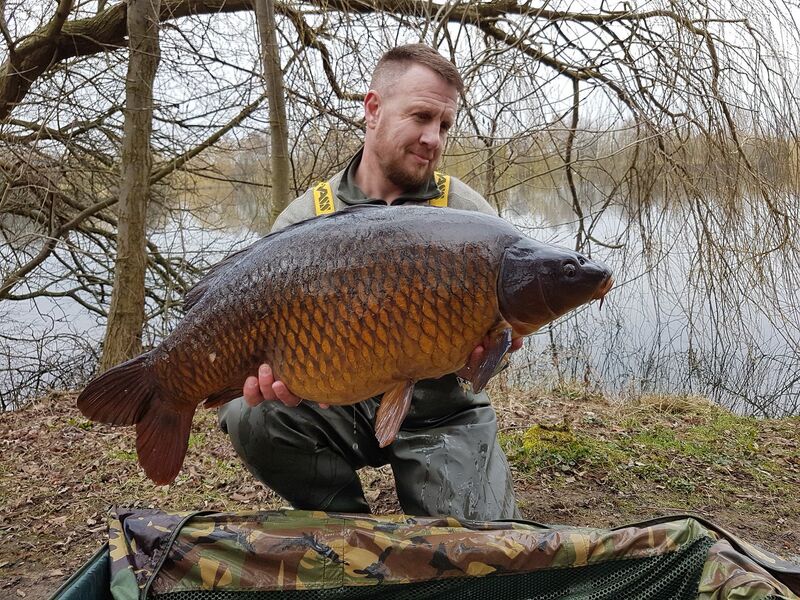 24th April Darren Proctor lands a 31lb 08oz Common from Kingfisher Lake. 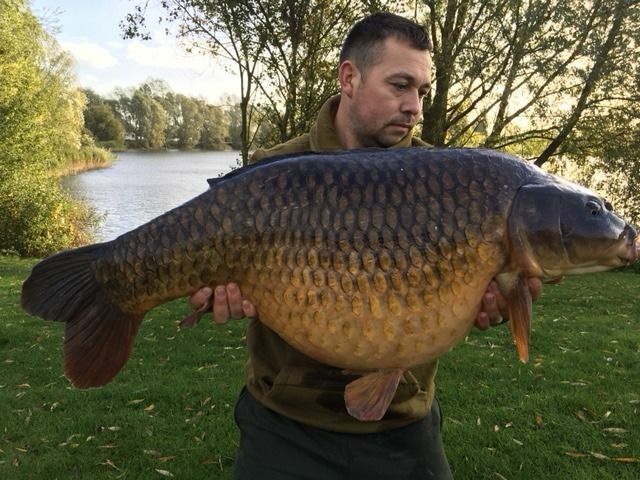 20th April Anthony Bluer Lands a 45lb 05oz Common from Kingfisher Lake. 15th April Nigel Ramsbottom lands a 33lb Mirror from Kingfisher Lake. 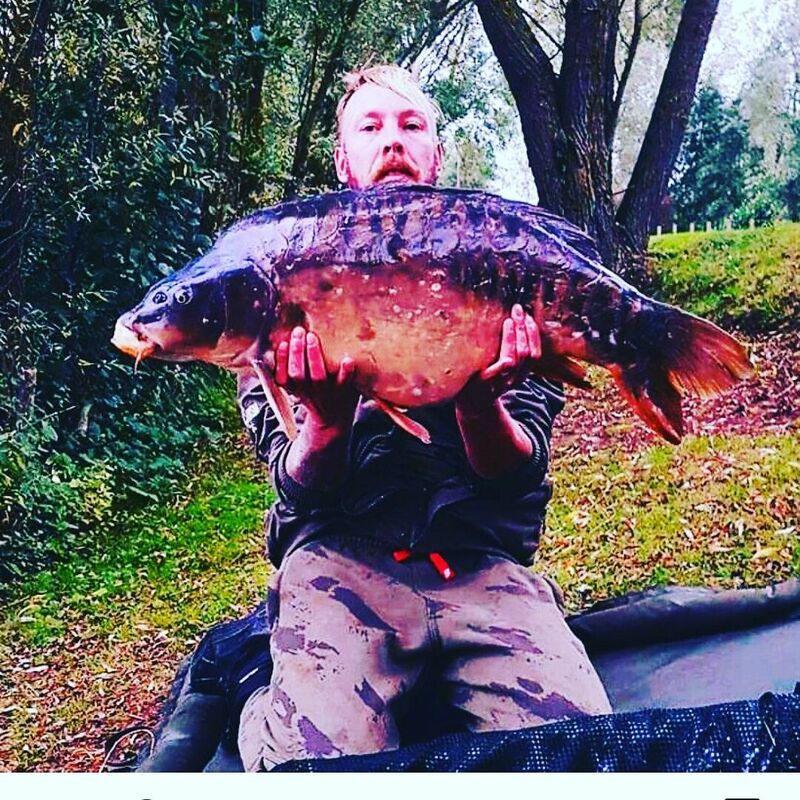 15th April unknown angler lands a 32lb Mirror from Mallard Lake. 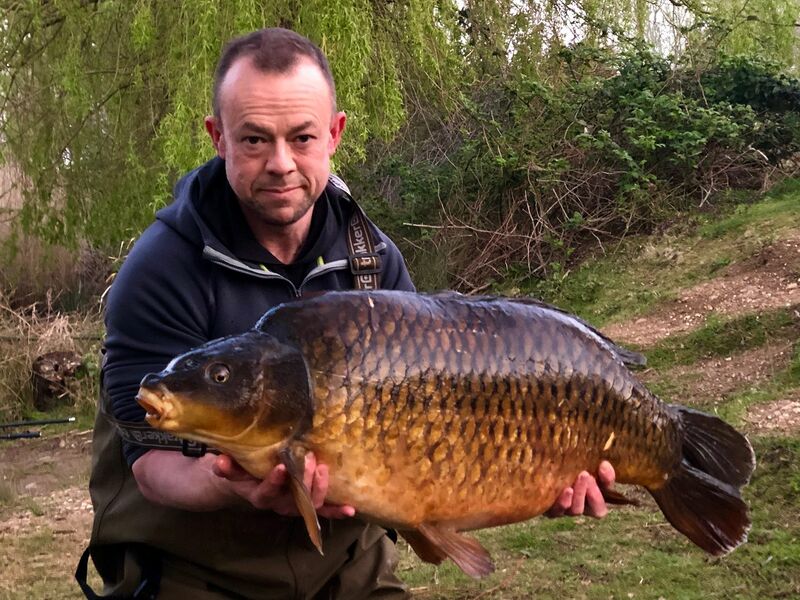 15th April unknown angler lands a 34lb Common from Mallard Lake. 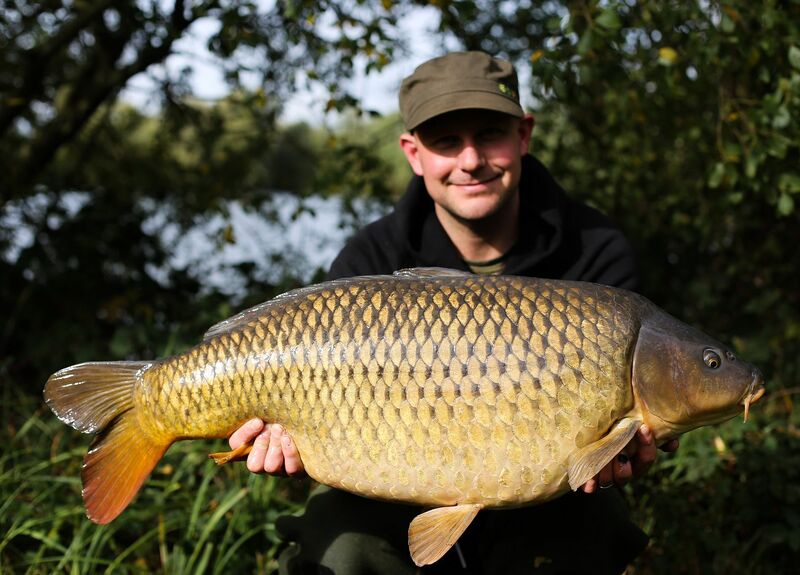 14th April unknown angler lands a 31lb Common from Kingfisher Lake. 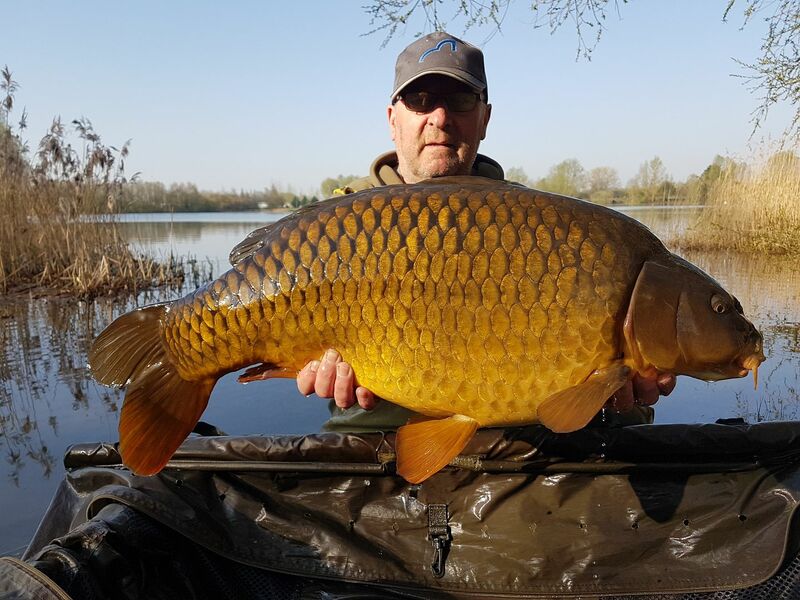 14th April unknown angler lands a 35lb Common from Swan Lake. 12th April Carl Beresford lands a 35lb Common from Swan Lake. 11th April Paul Talbot lands a 2 30lb Common's from Kingfisher Lake. 11th April John Truelove lands a 30lb 02 Common from Mallard Lake. 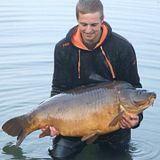 11th April Dan Bunn lands a 51lb Mirror from Swan Lake. 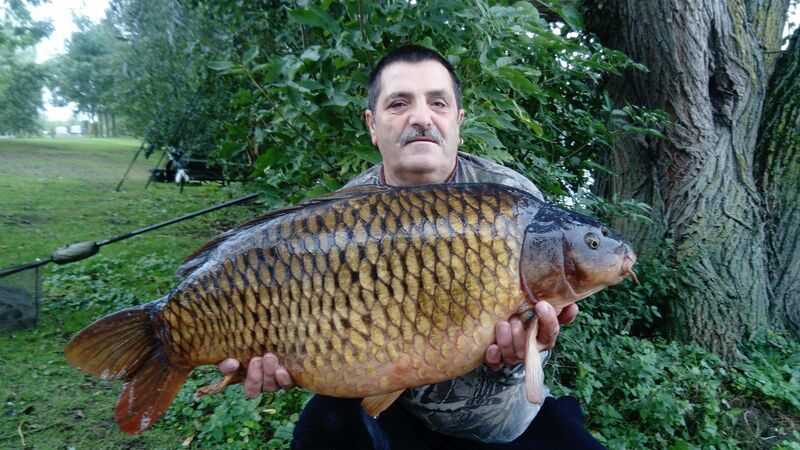 11th April Dave Kendon lands a 38lb Common from Swan Lake. 10th April Dan Edmundson Lands a 36lb and 32lb Commons from Kingfisher Lake. 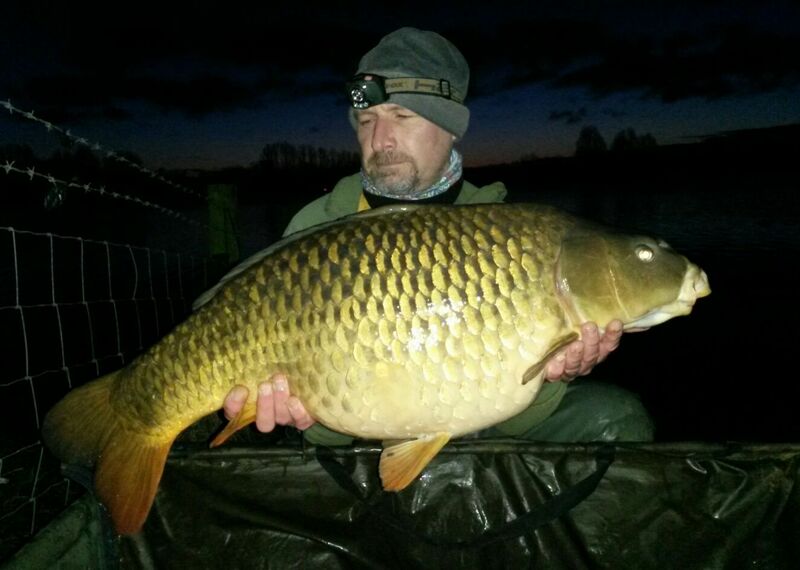 10th April Glen Morkinson lands a 31lb 12oz Common from Kingfisher Lake. 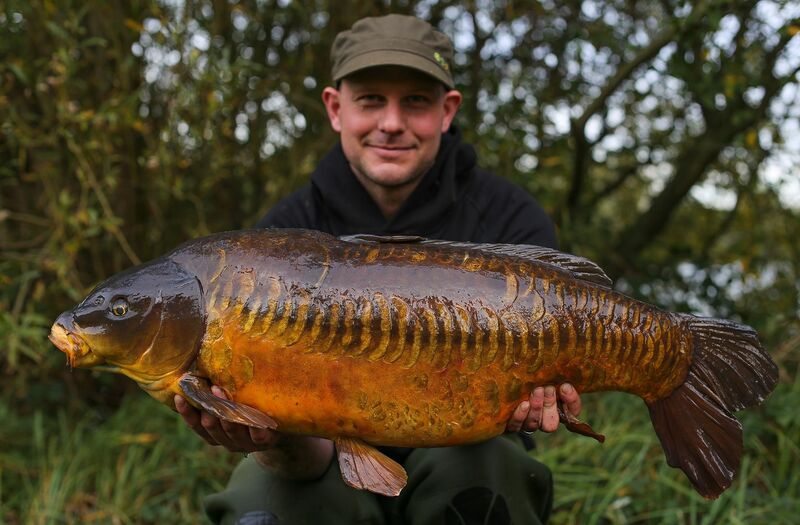 7th April Unknown Angler lands a 40lb+ Carp from Kingfisher Lake.